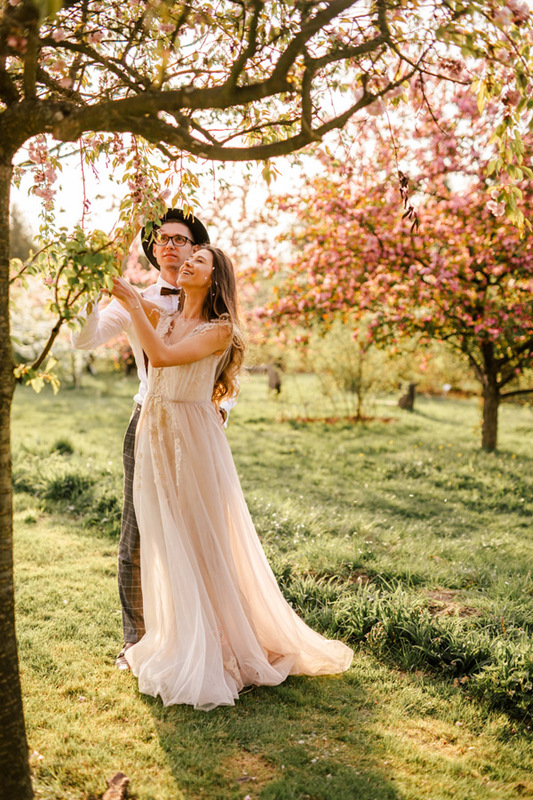 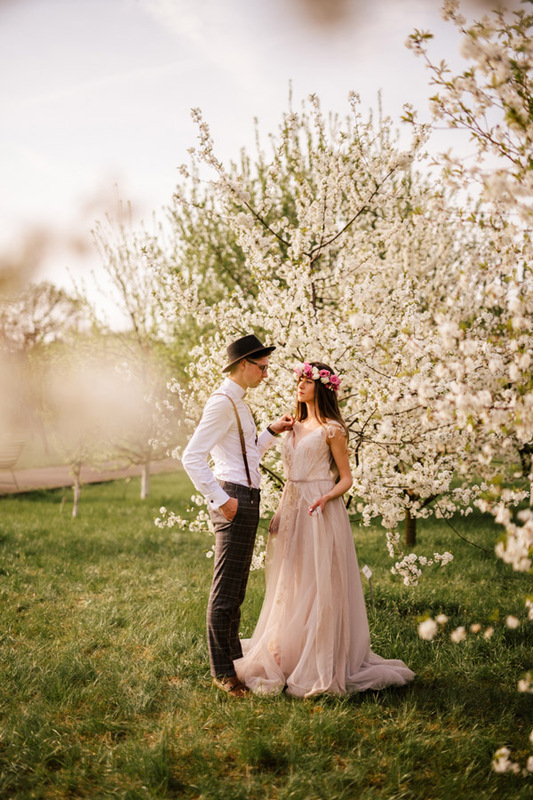 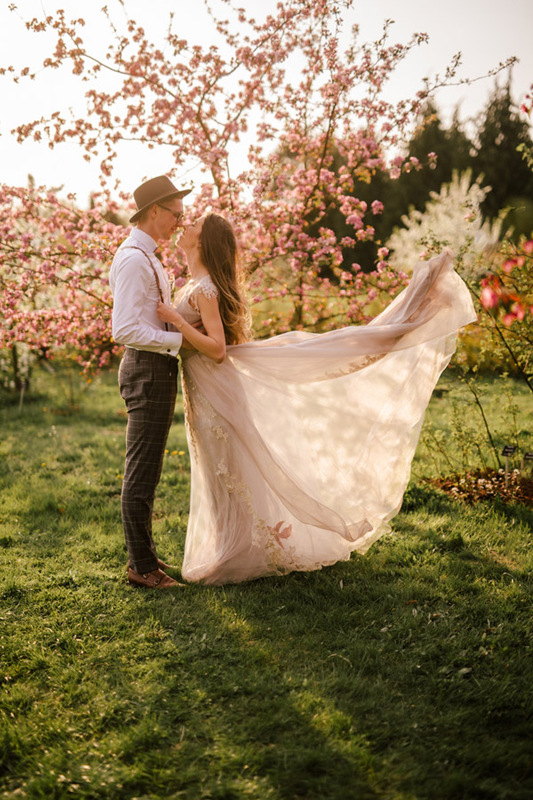 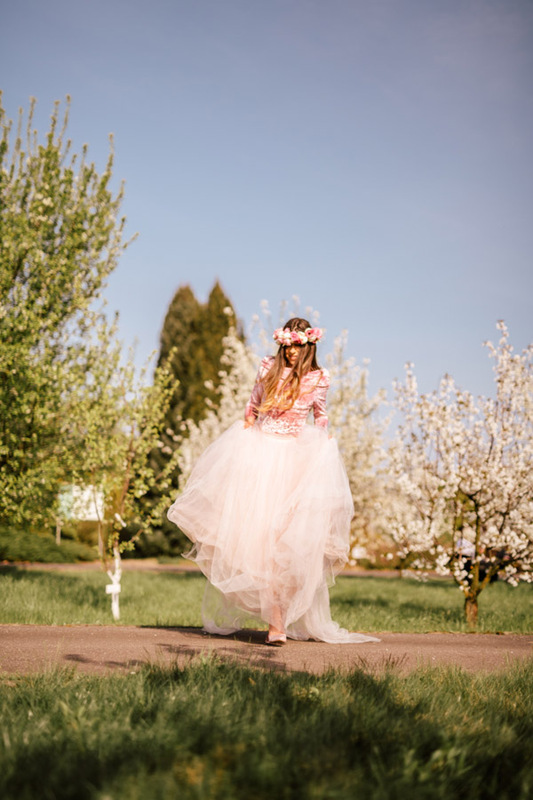 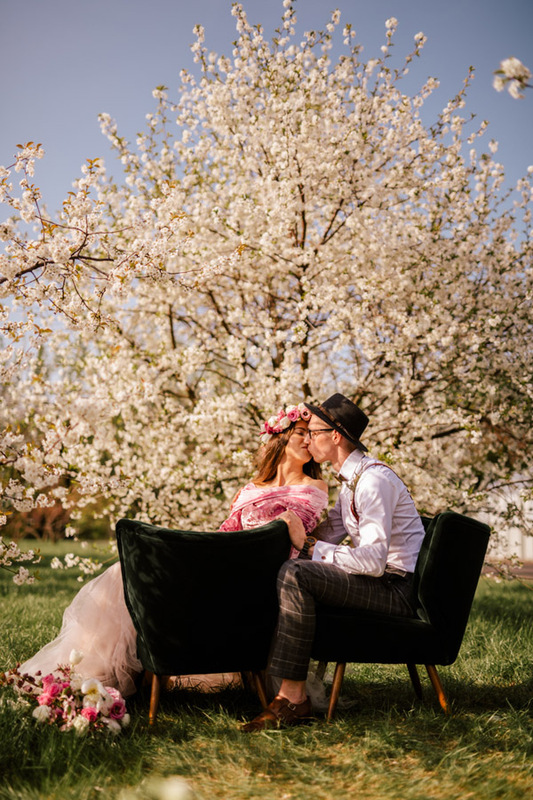 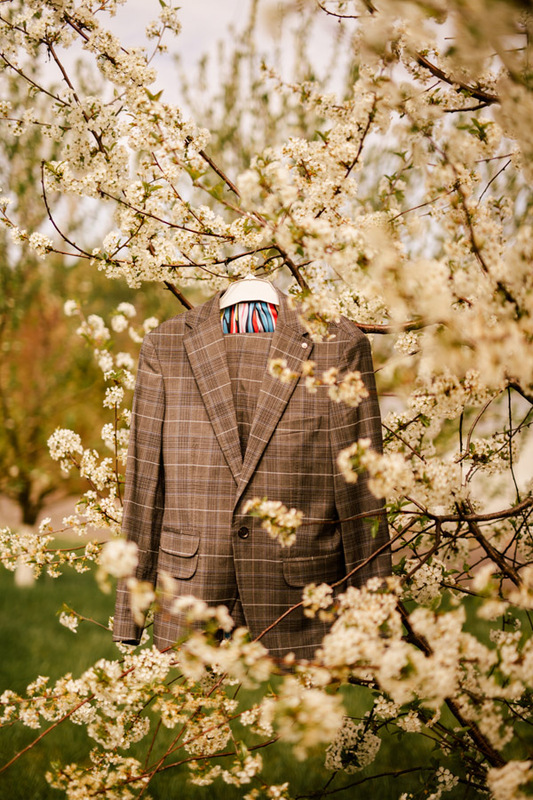 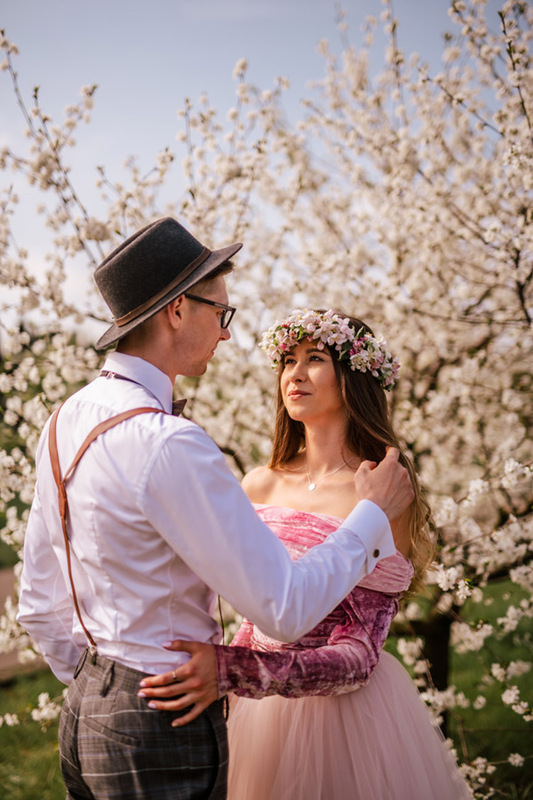 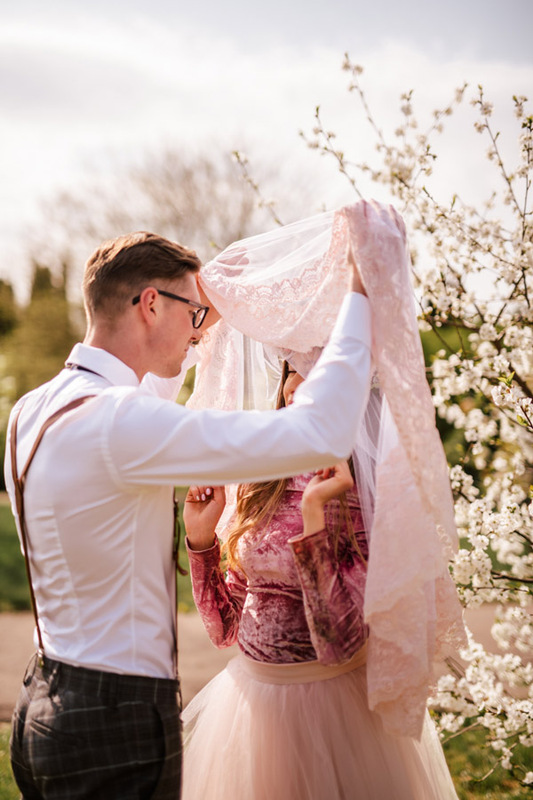 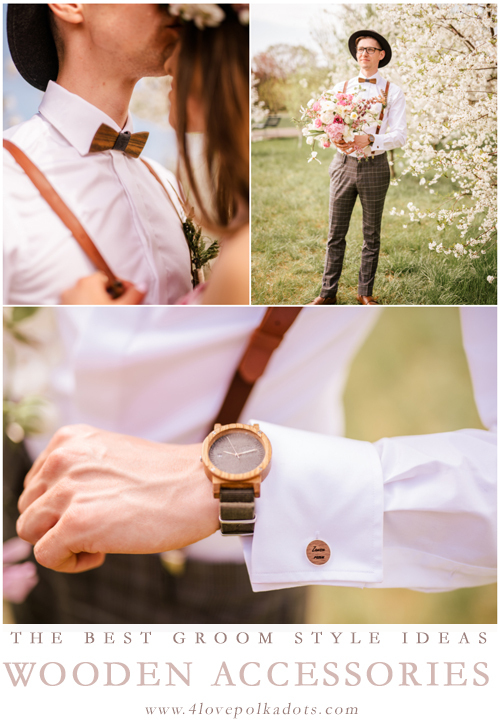 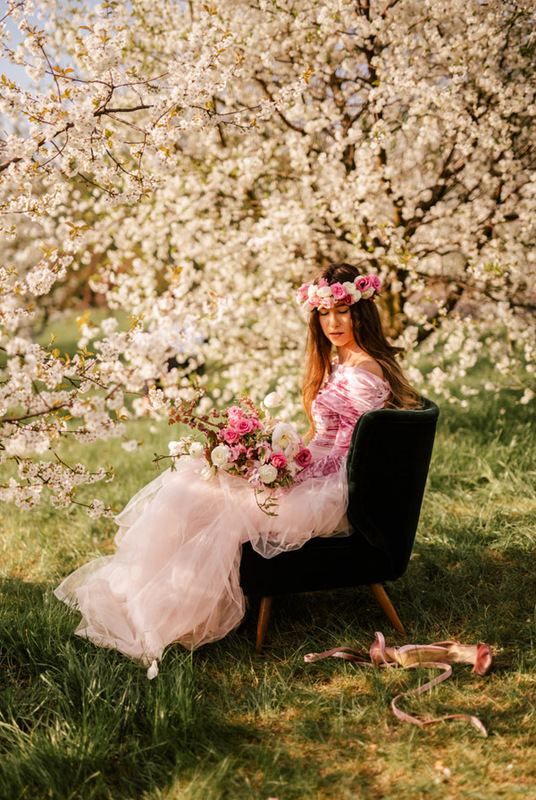 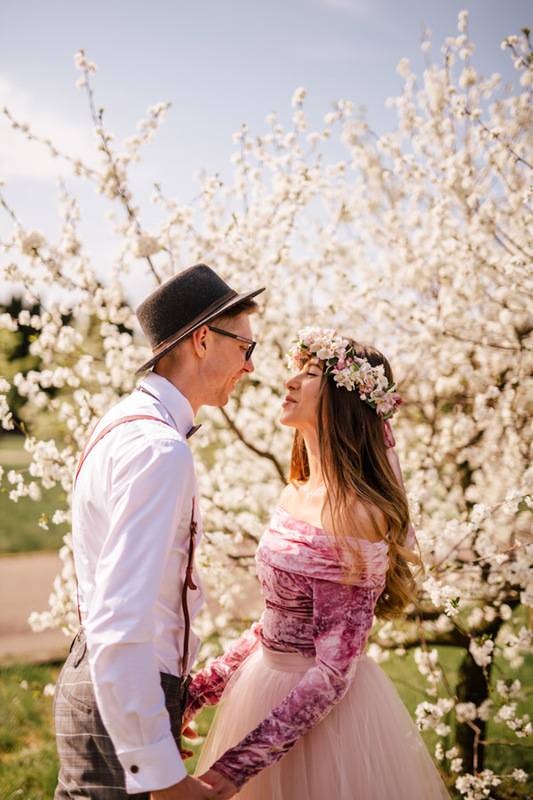 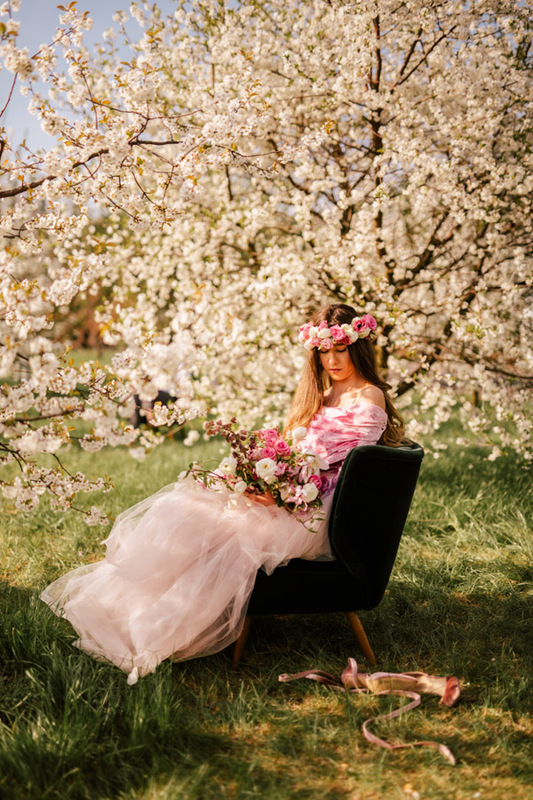 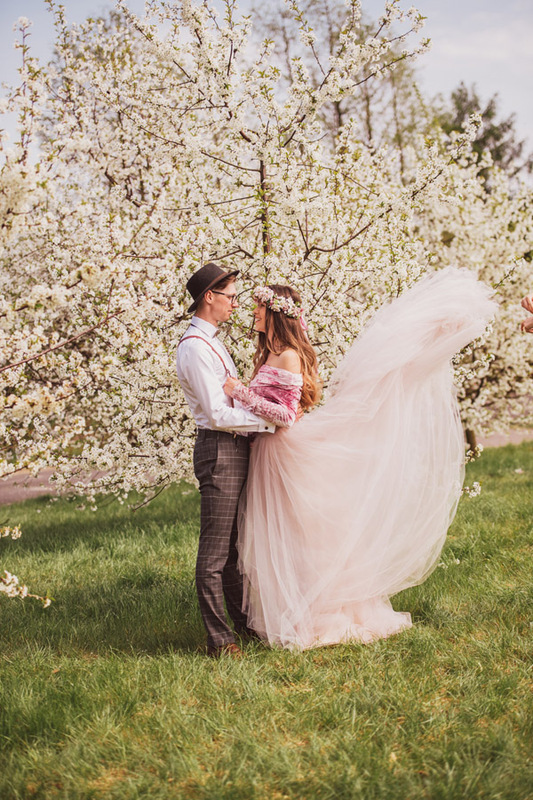 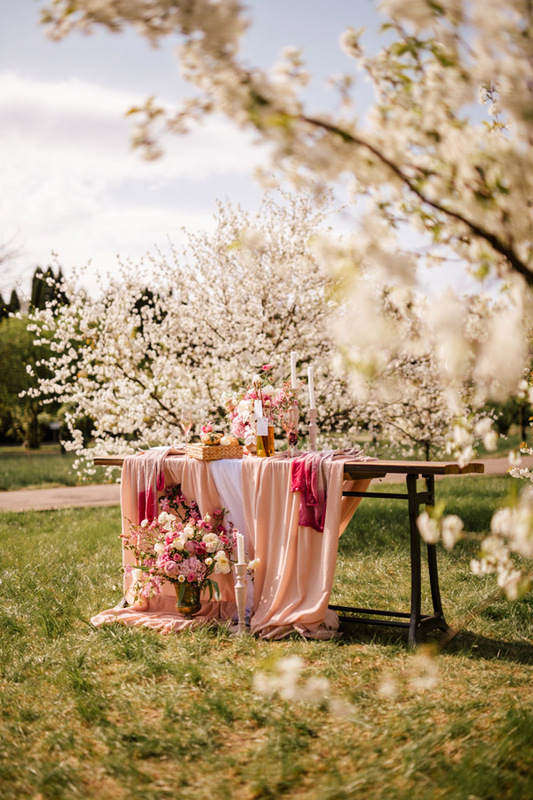 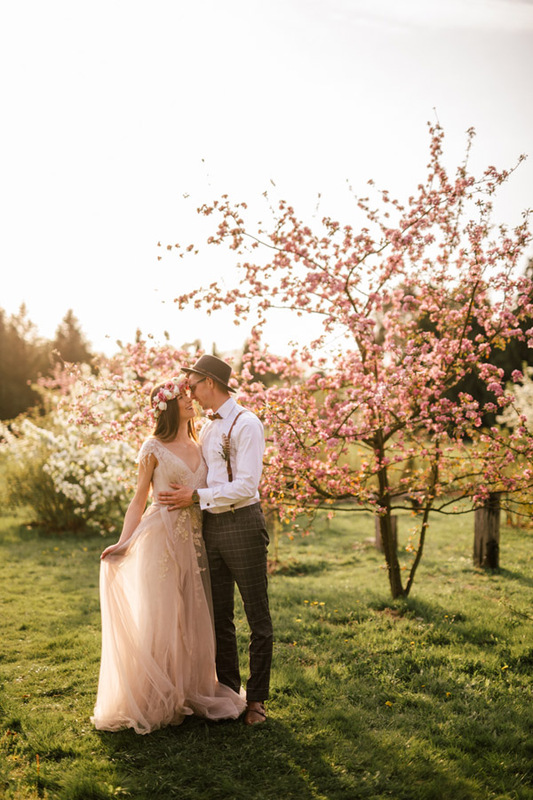 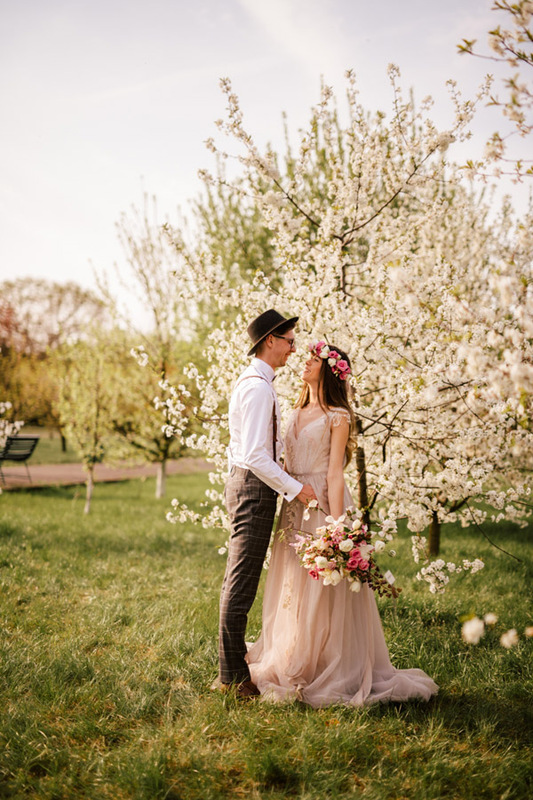 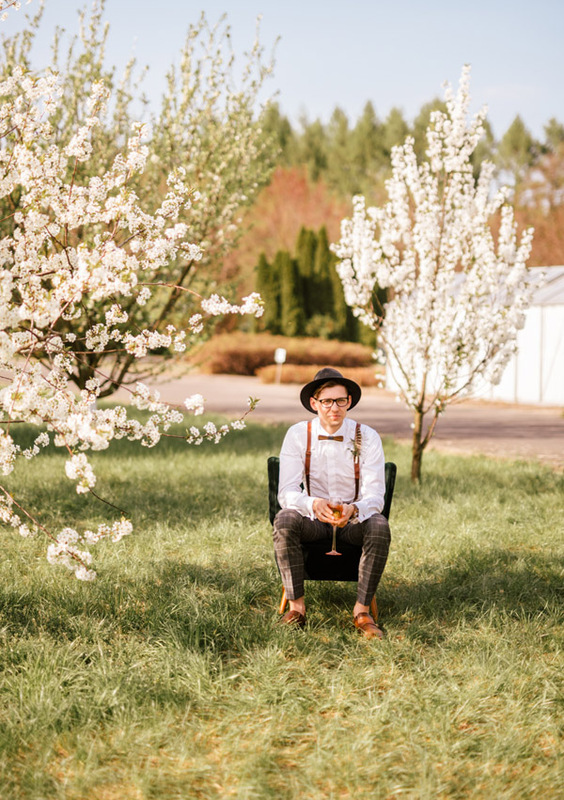 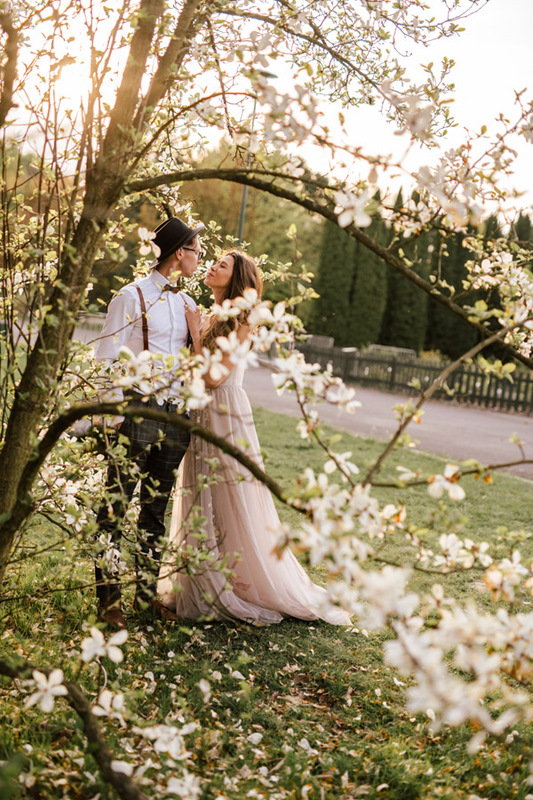 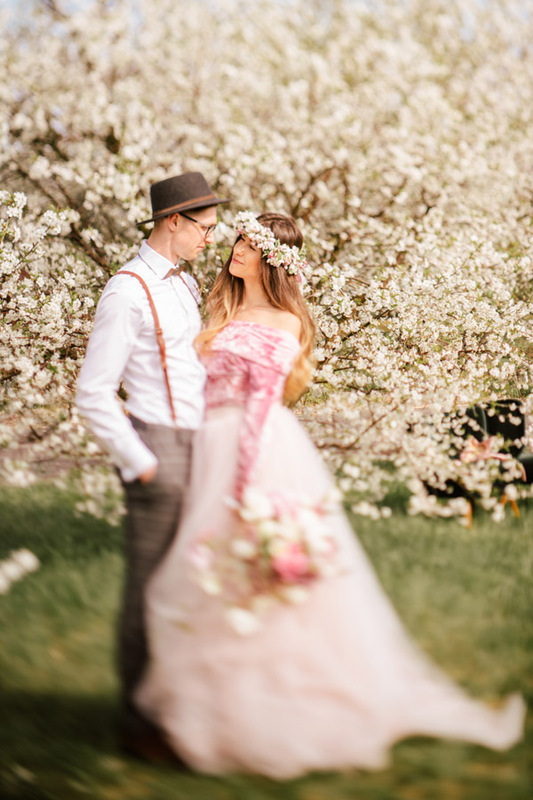 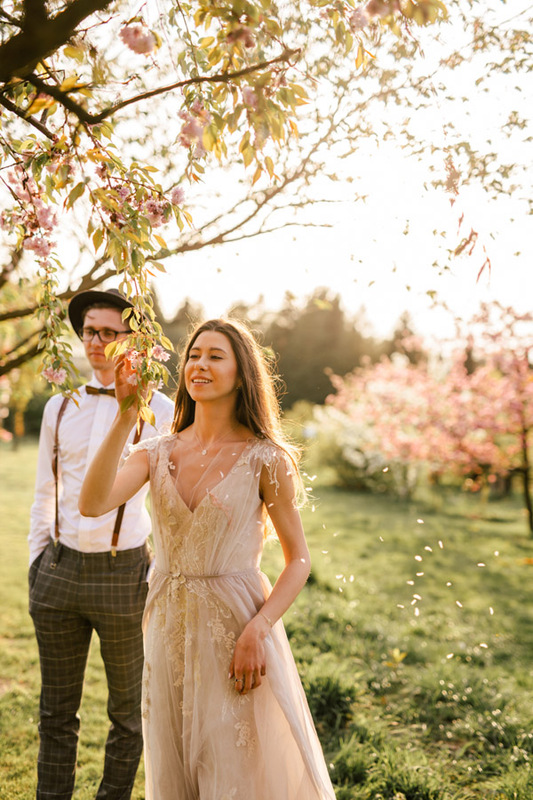 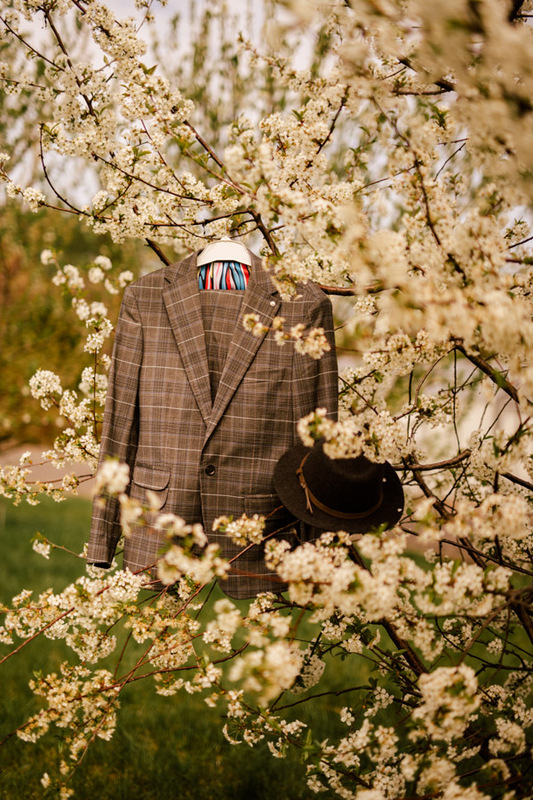 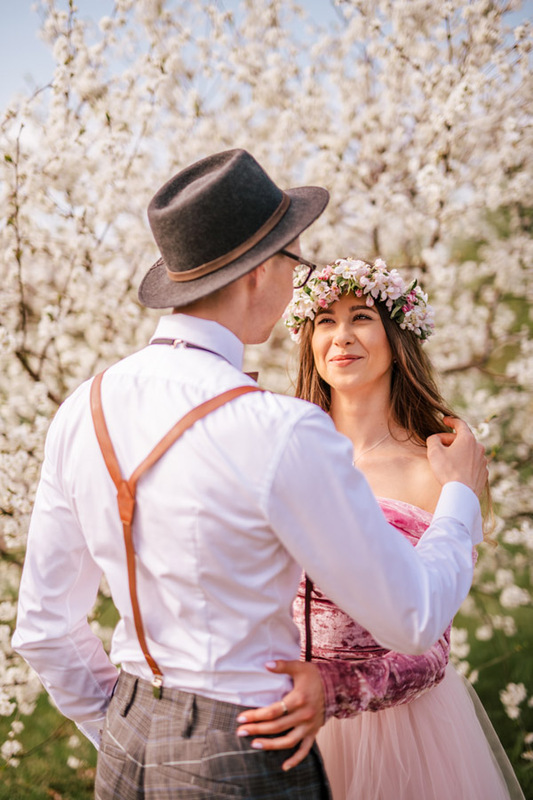 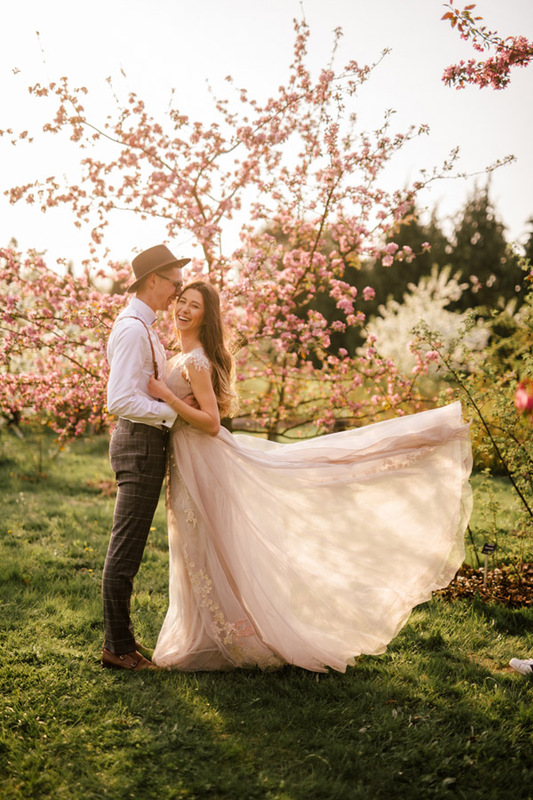 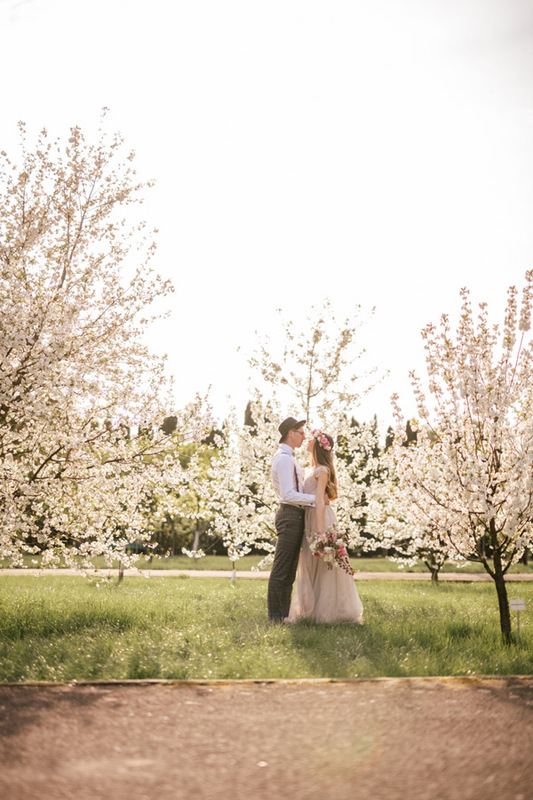 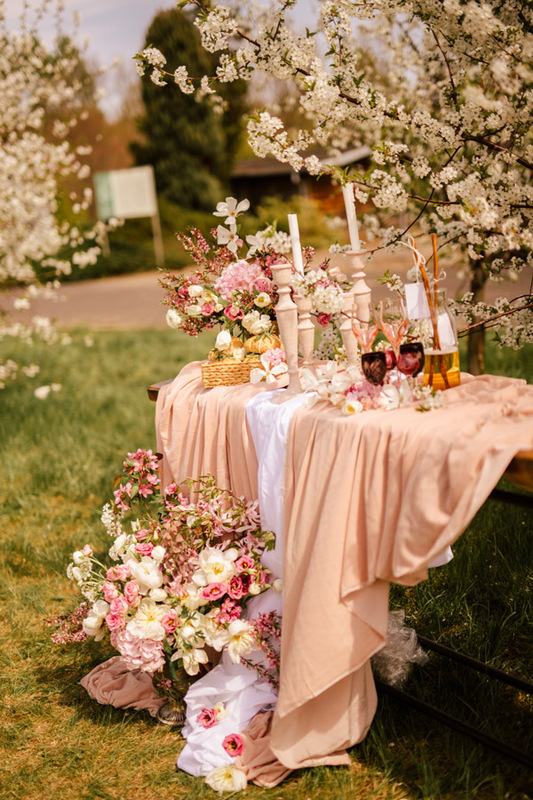 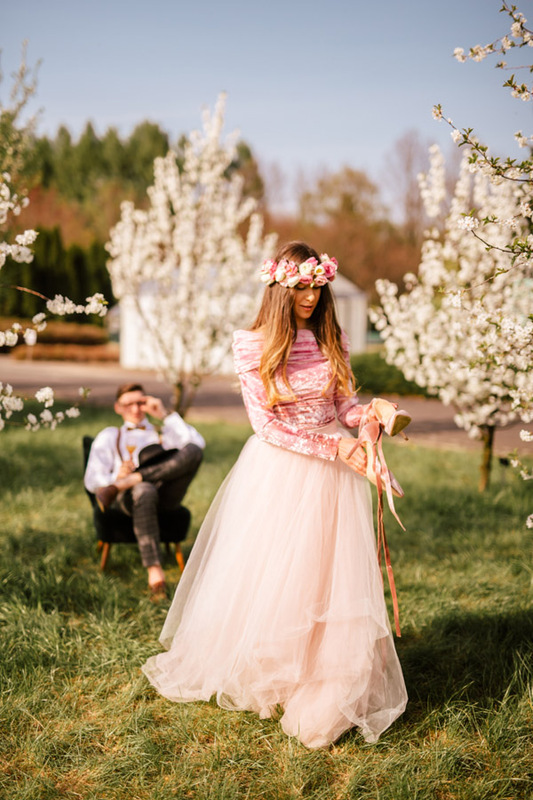 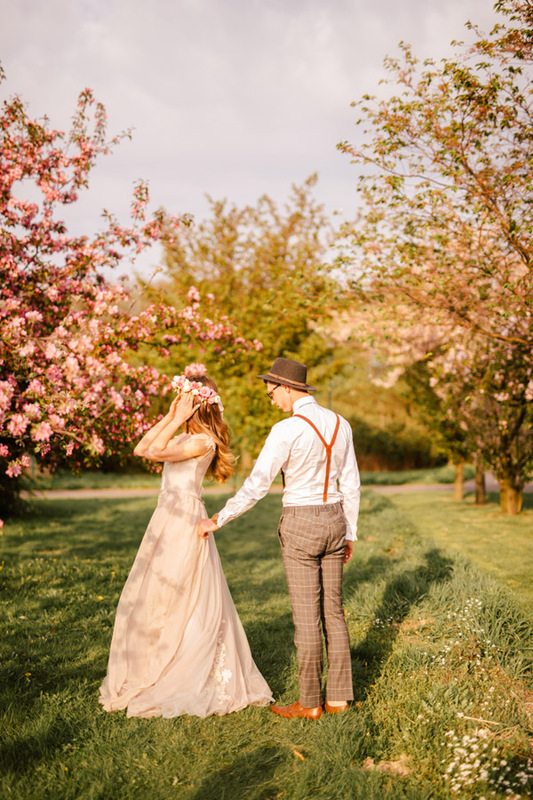 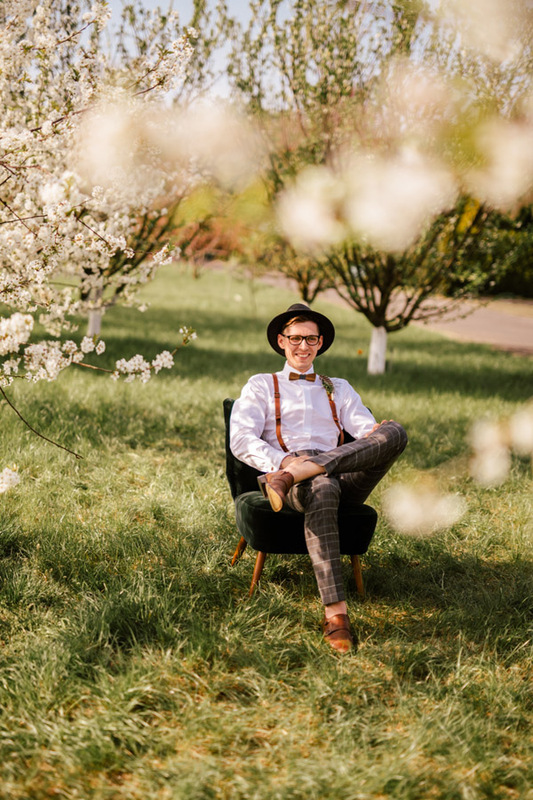 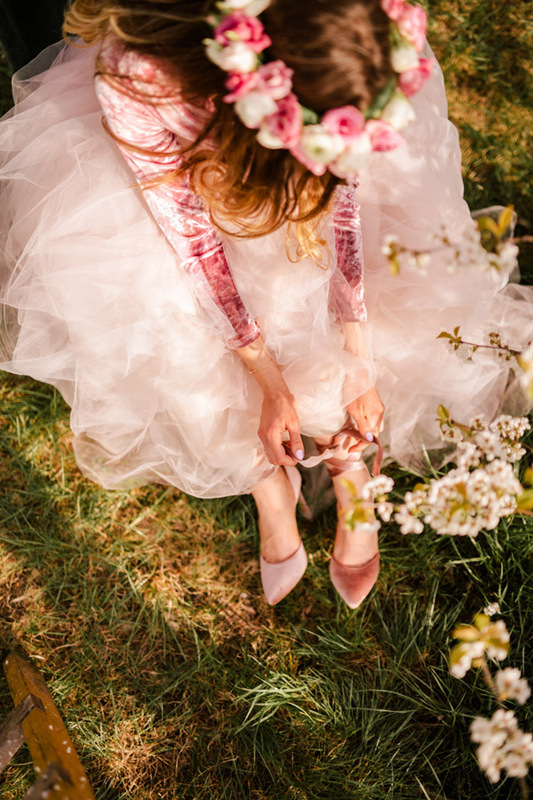 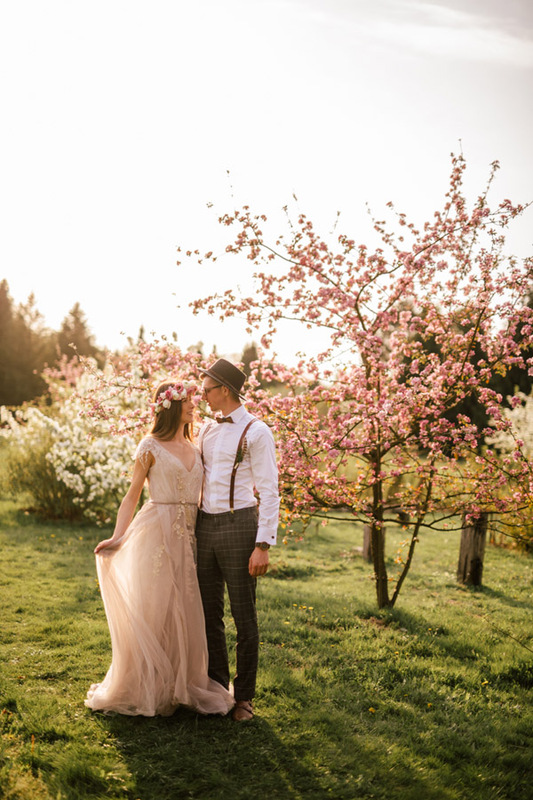 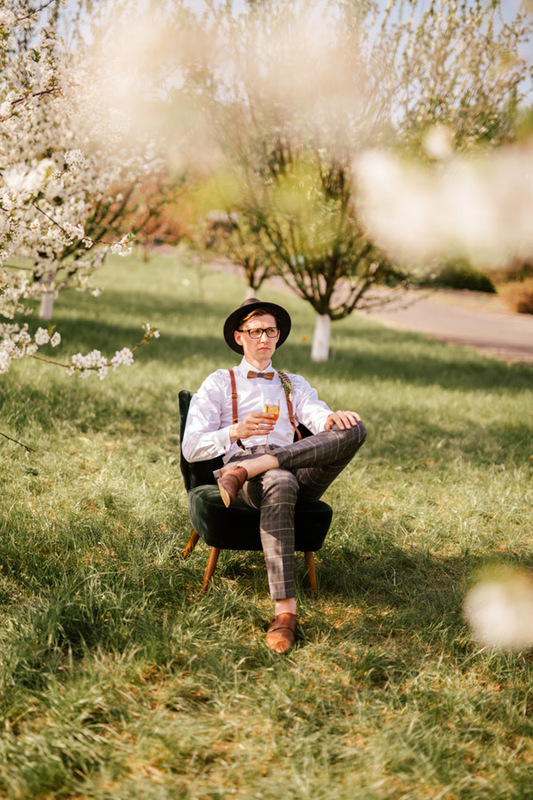 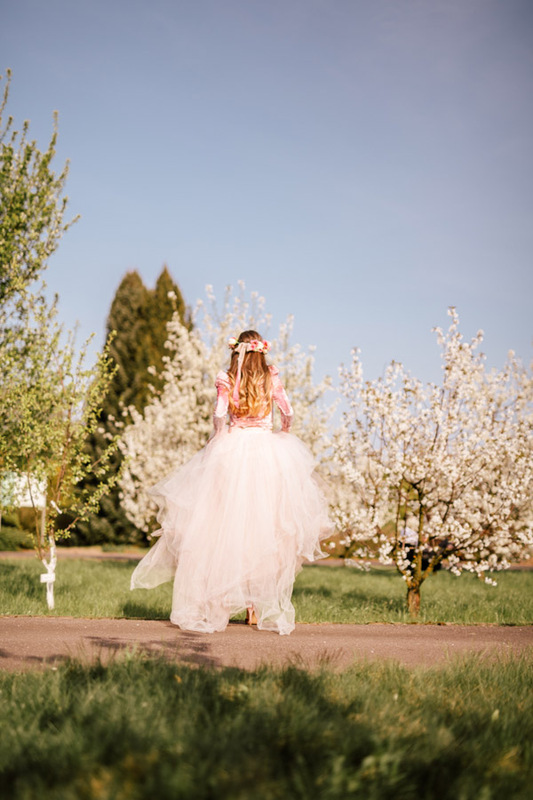 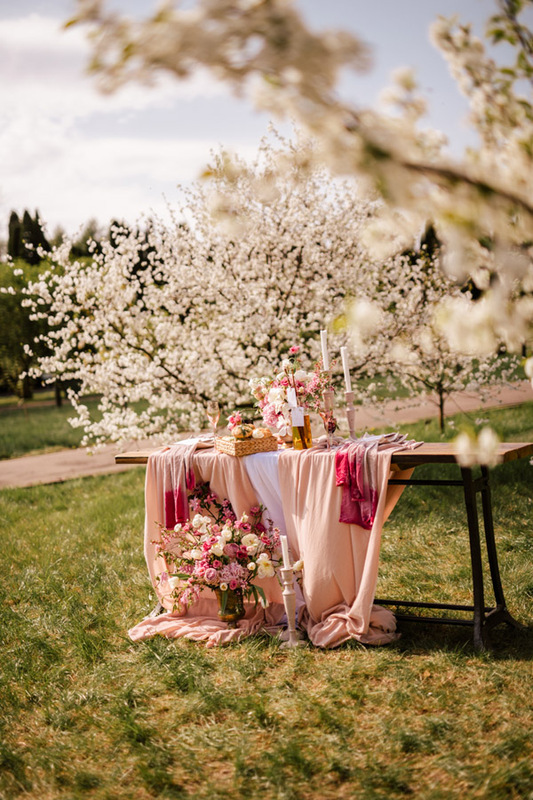 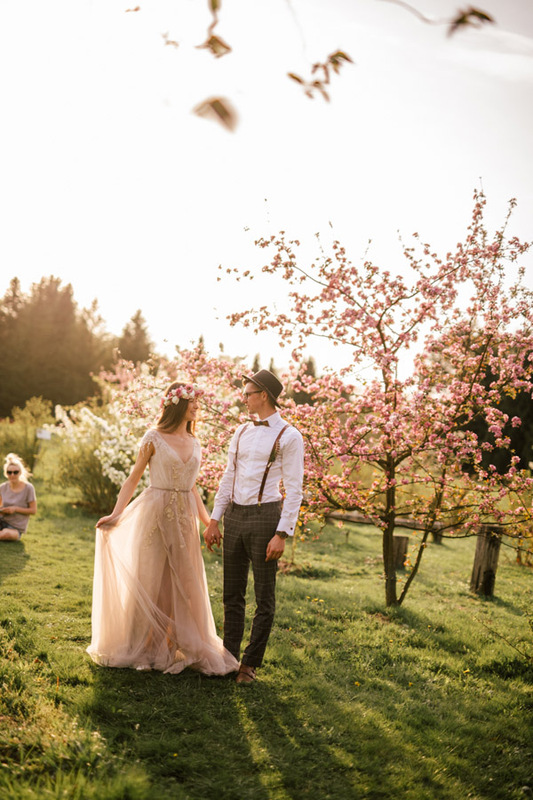 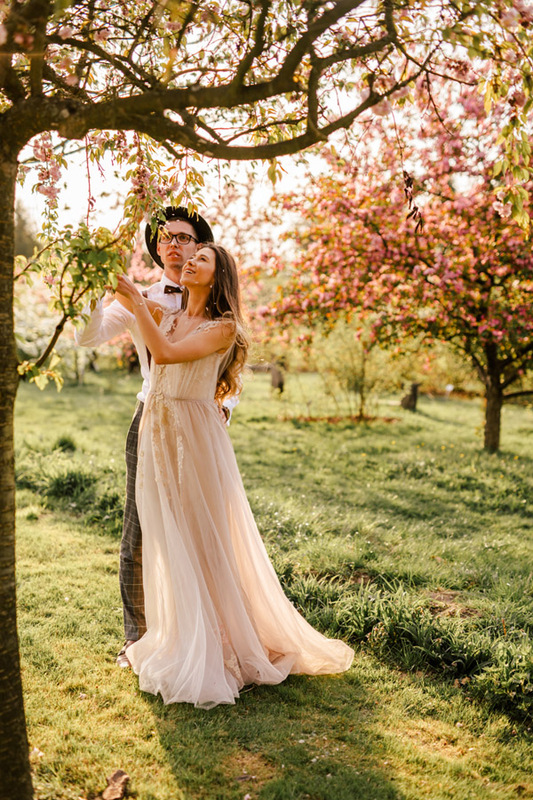 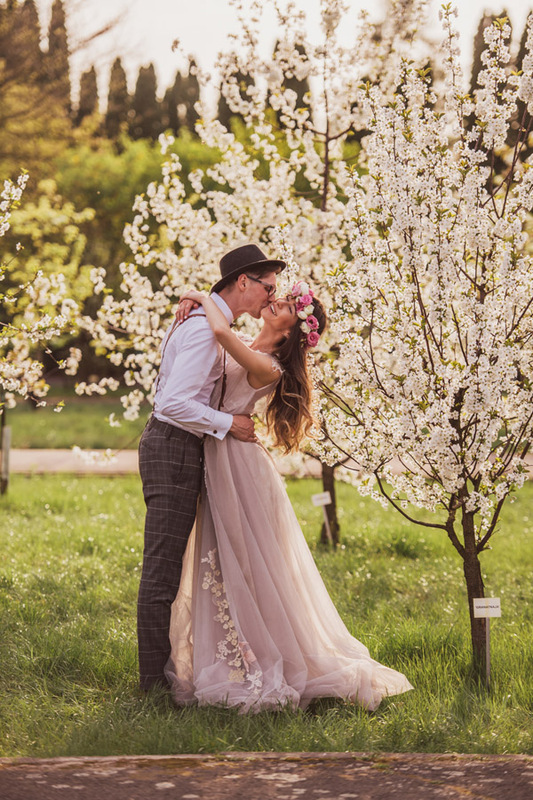 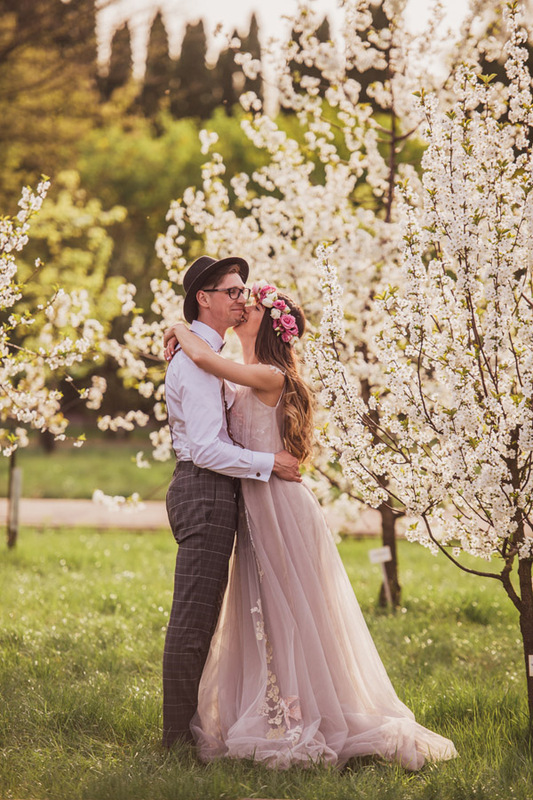 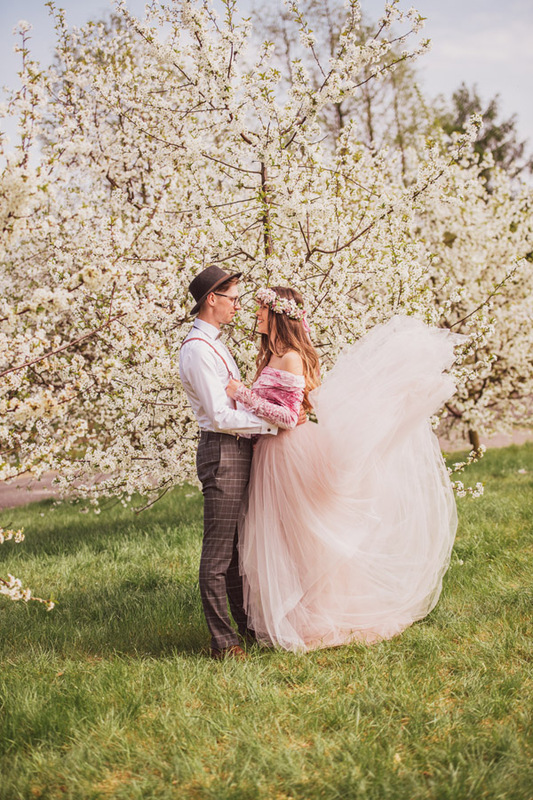 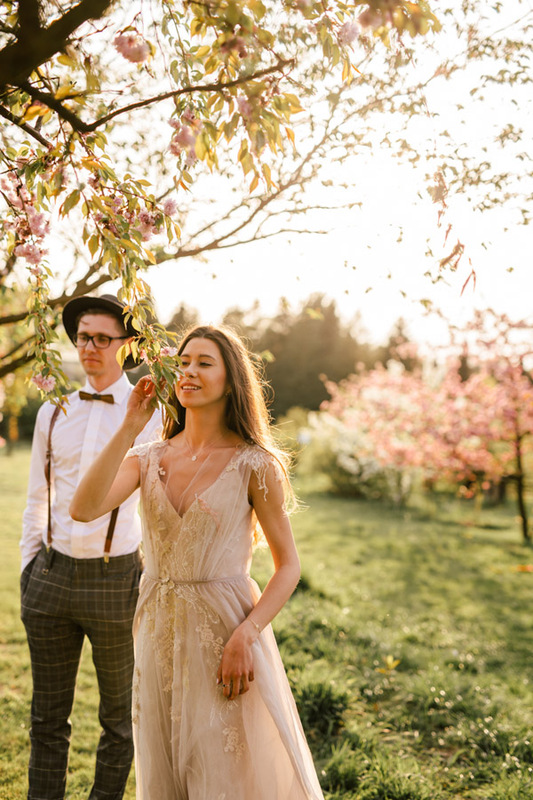 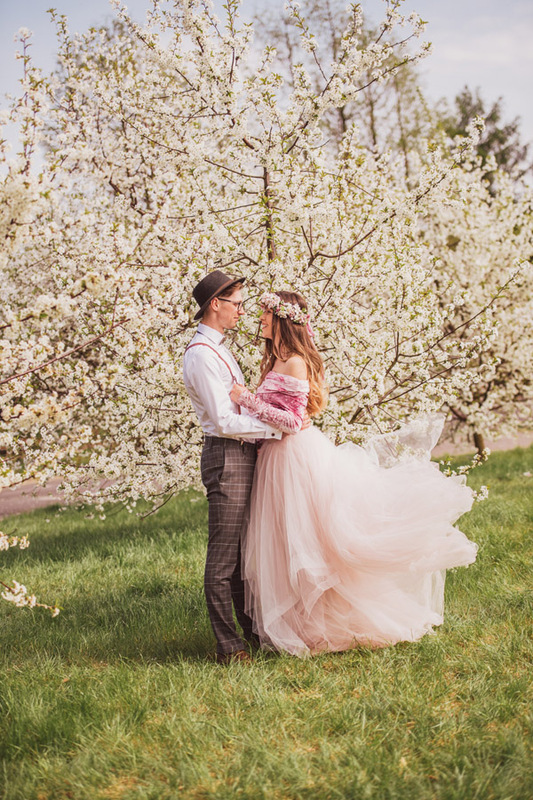 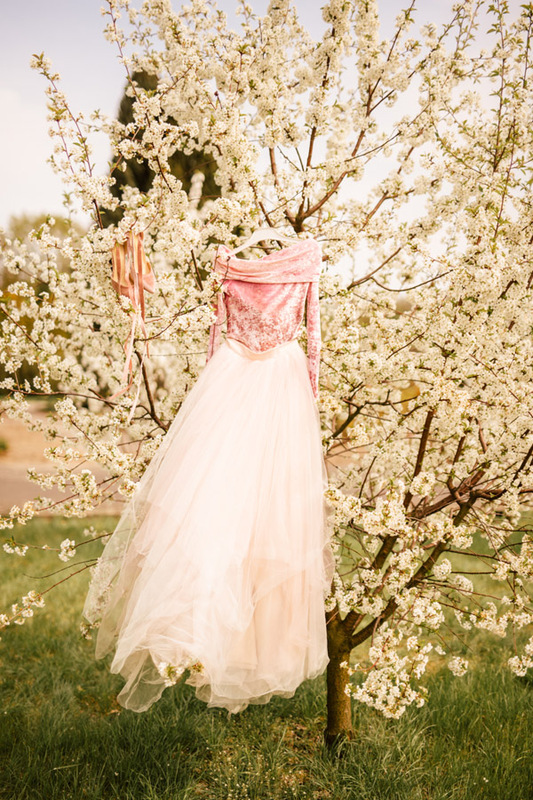 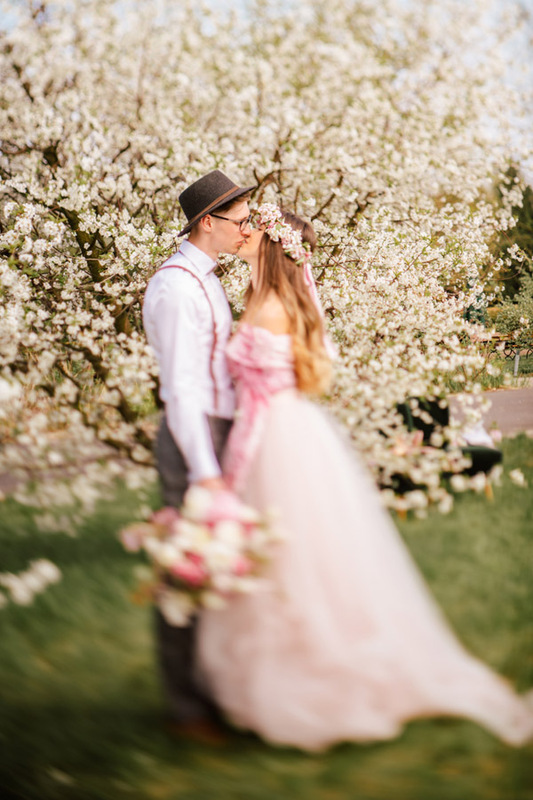 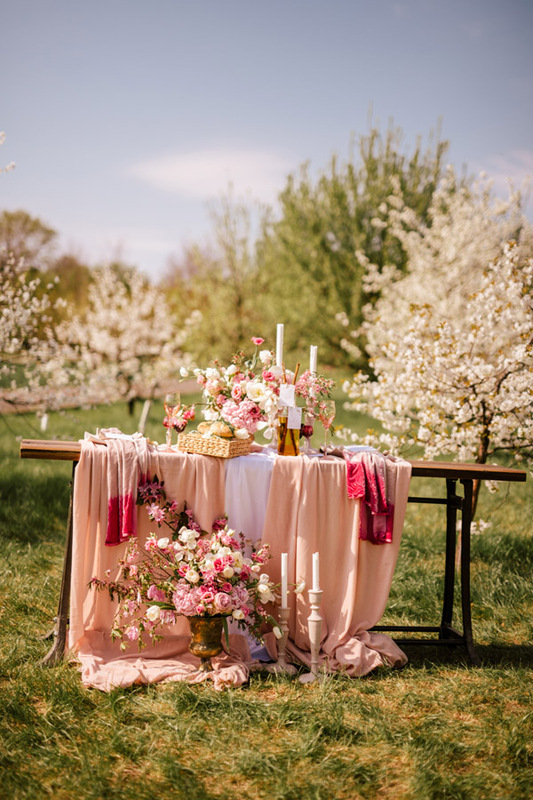 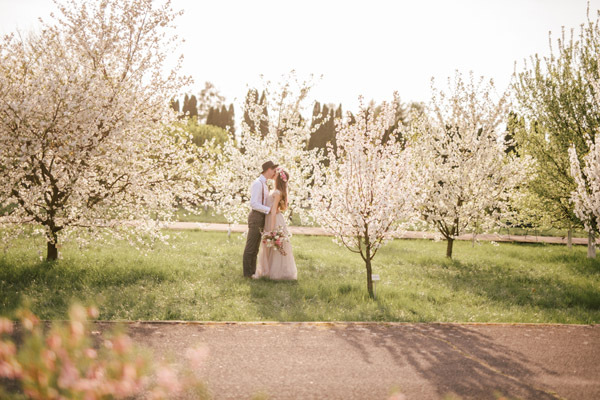 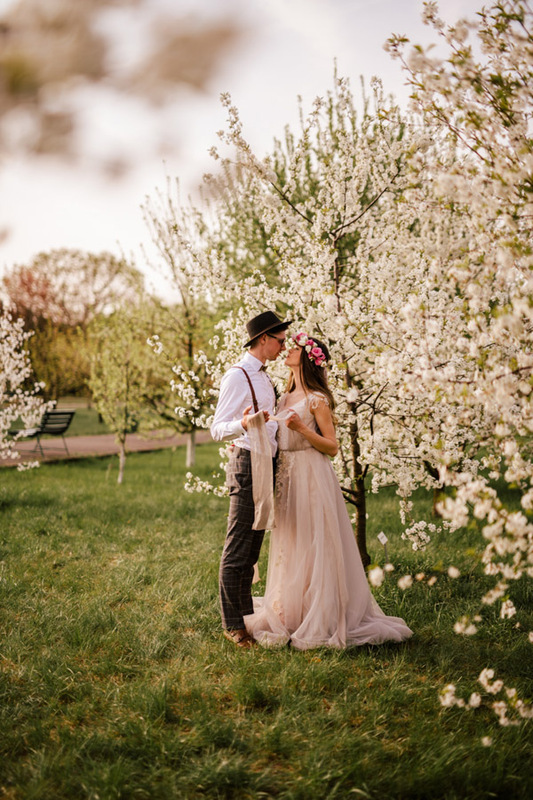 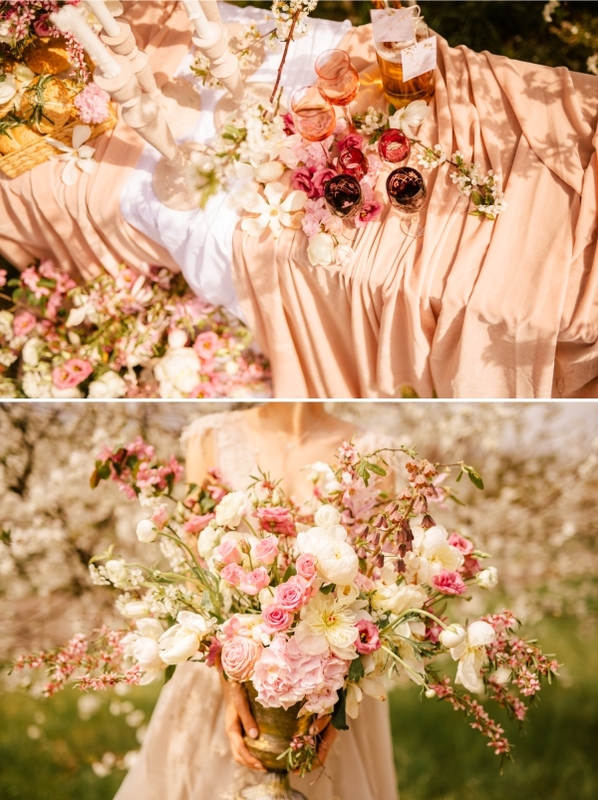 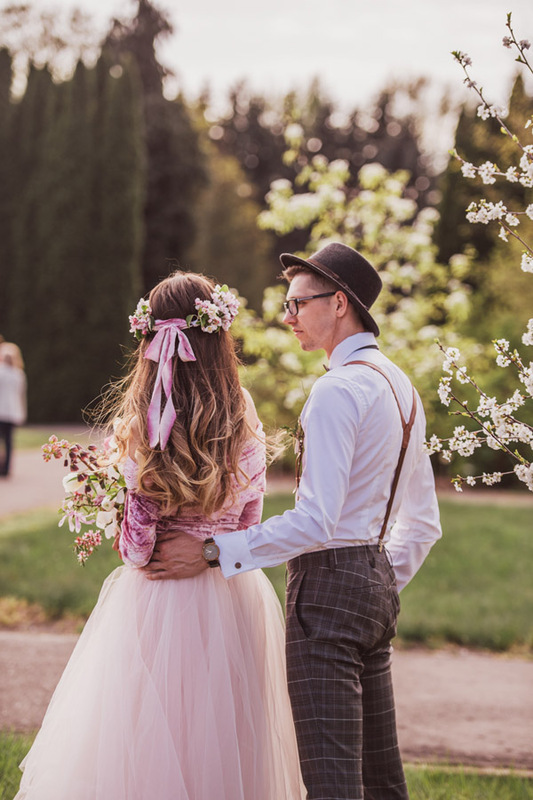 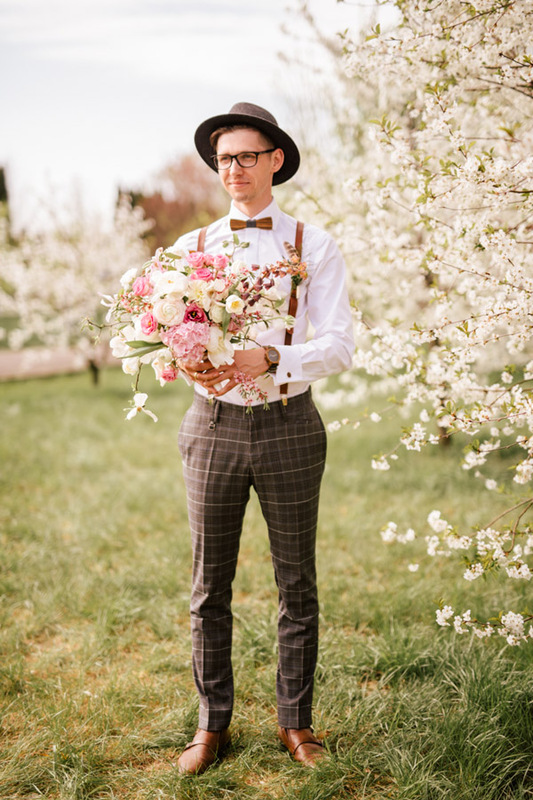 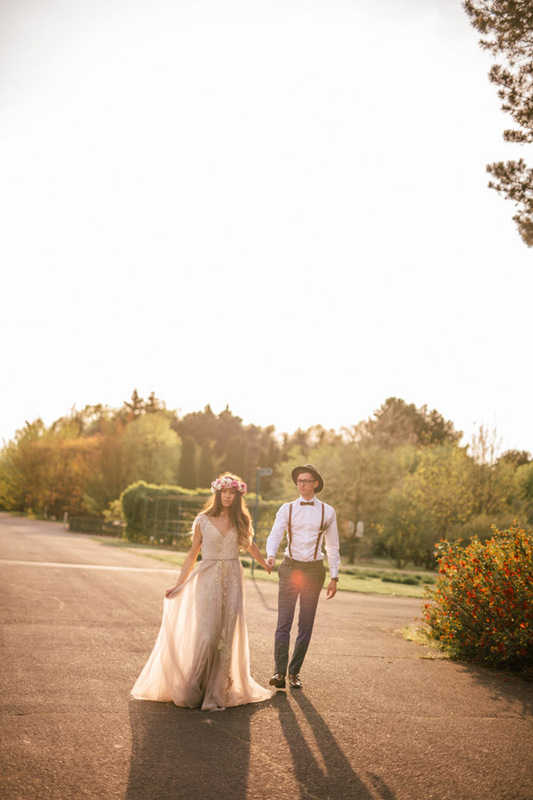 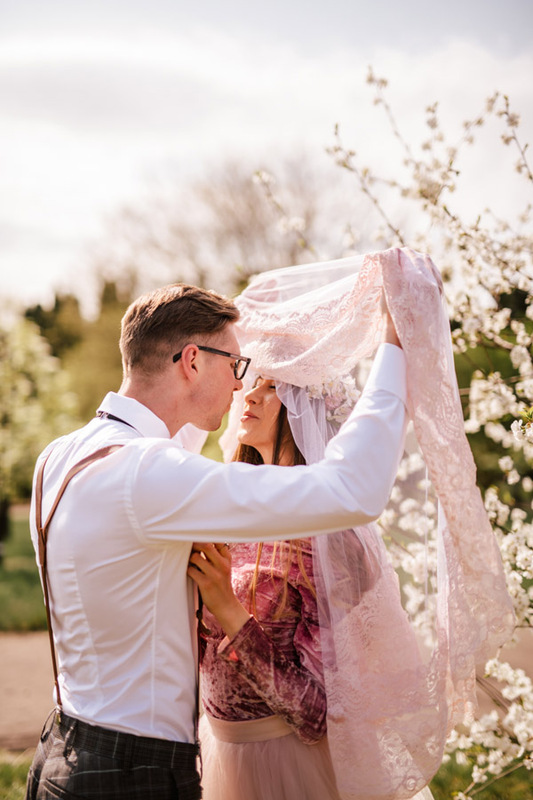 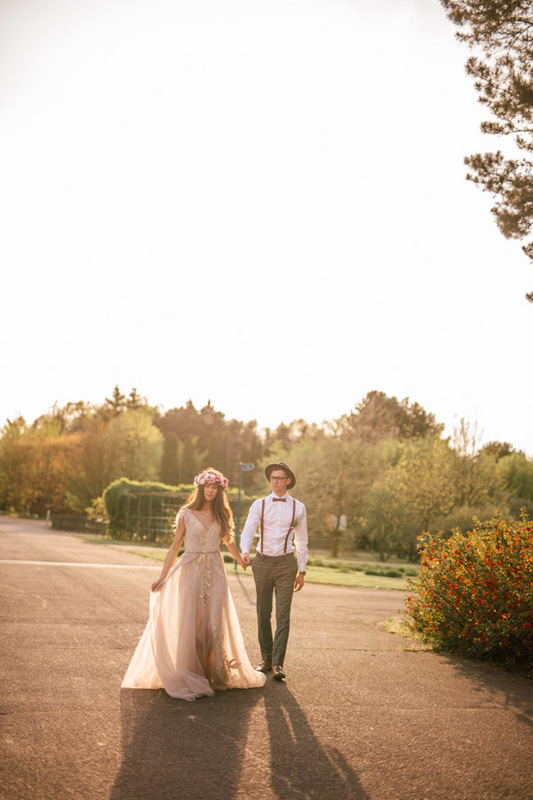 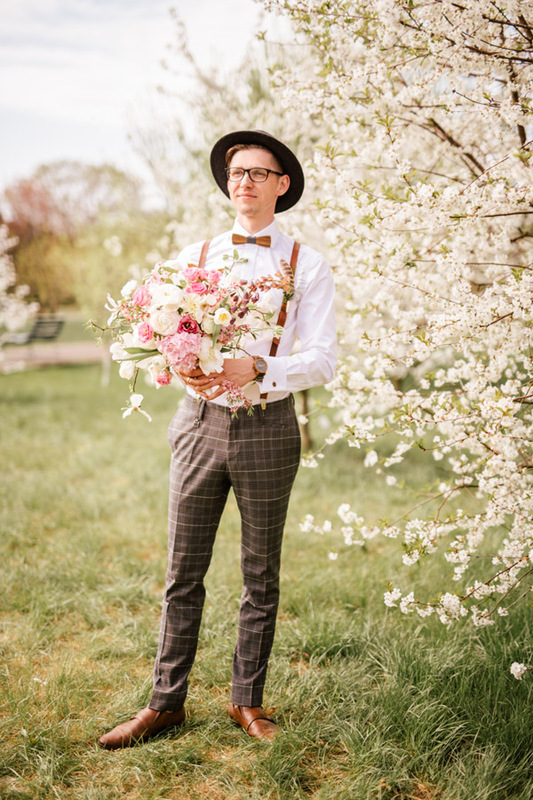 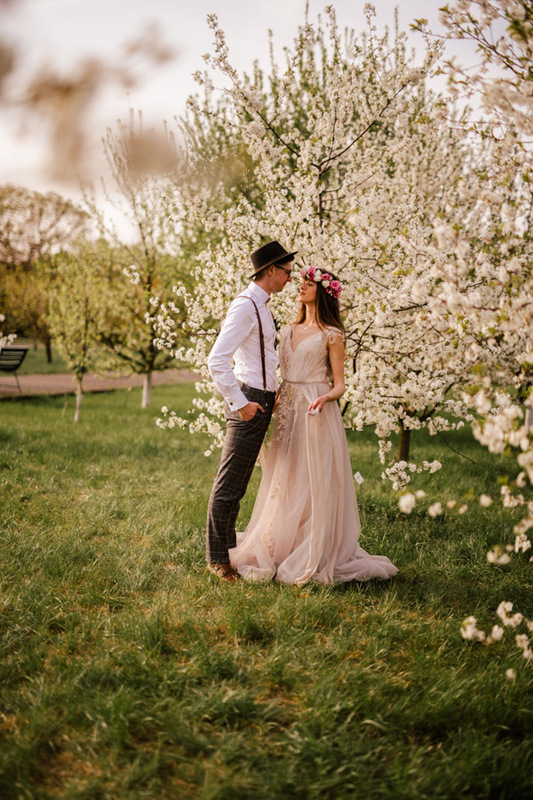 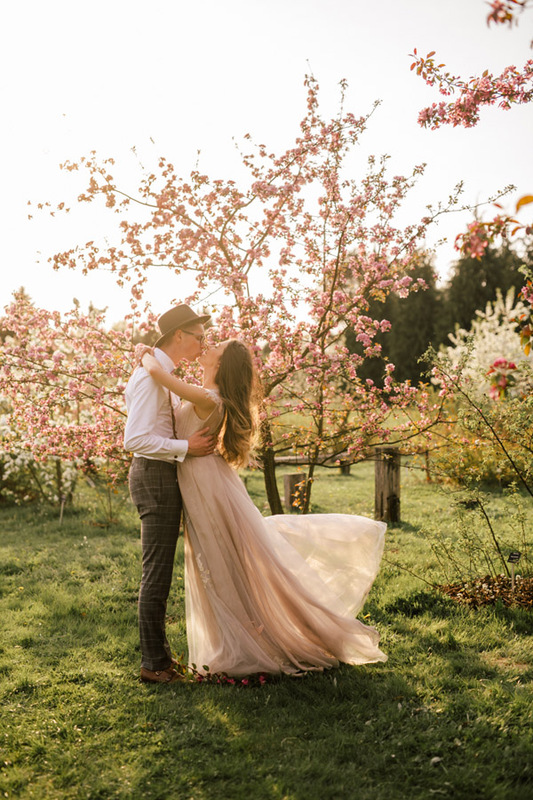 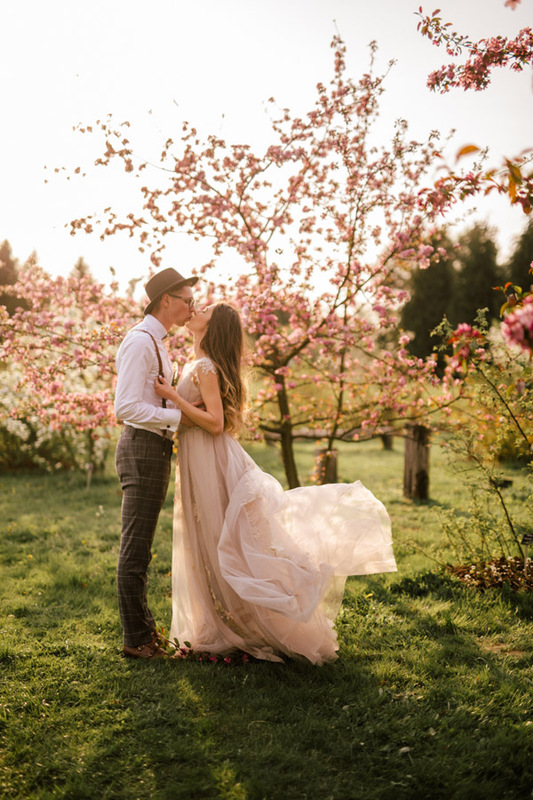 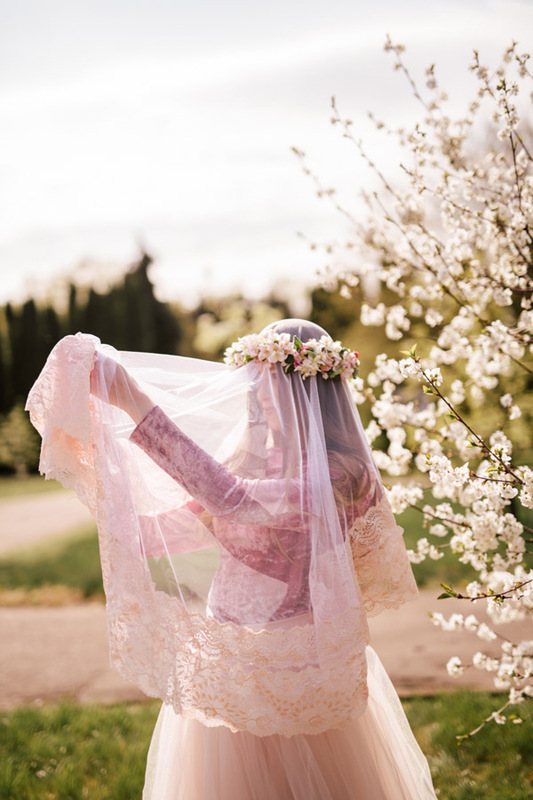 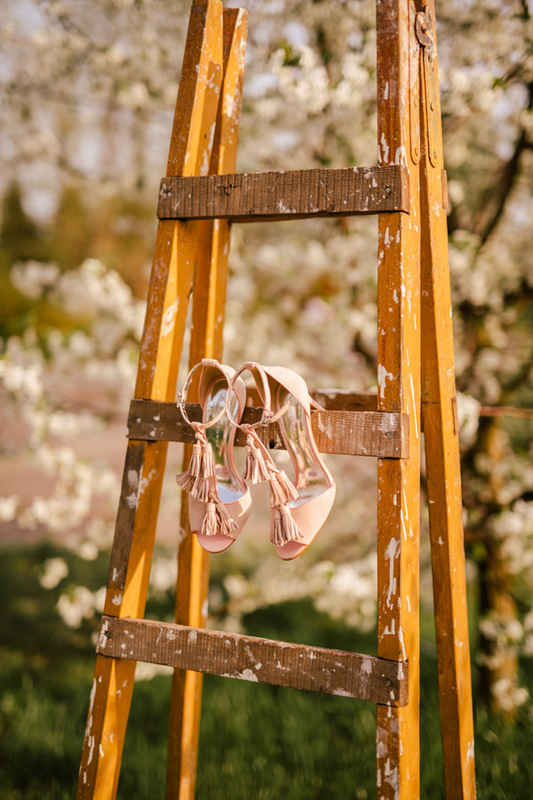 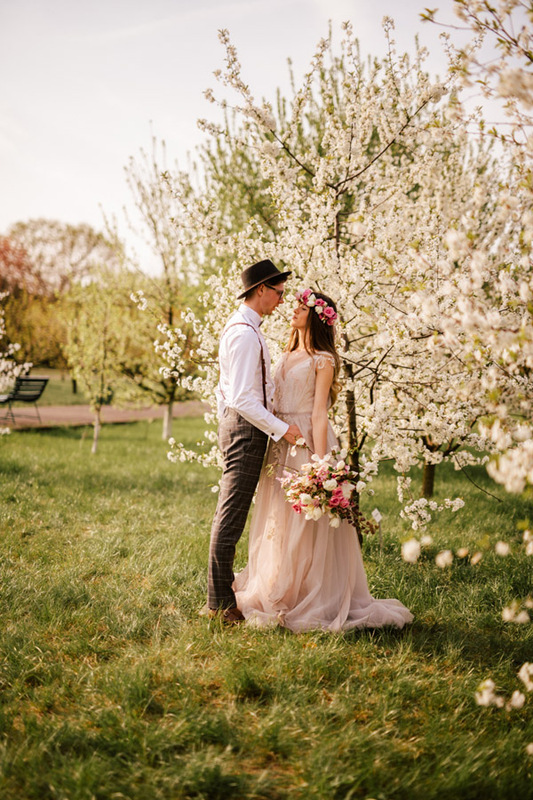 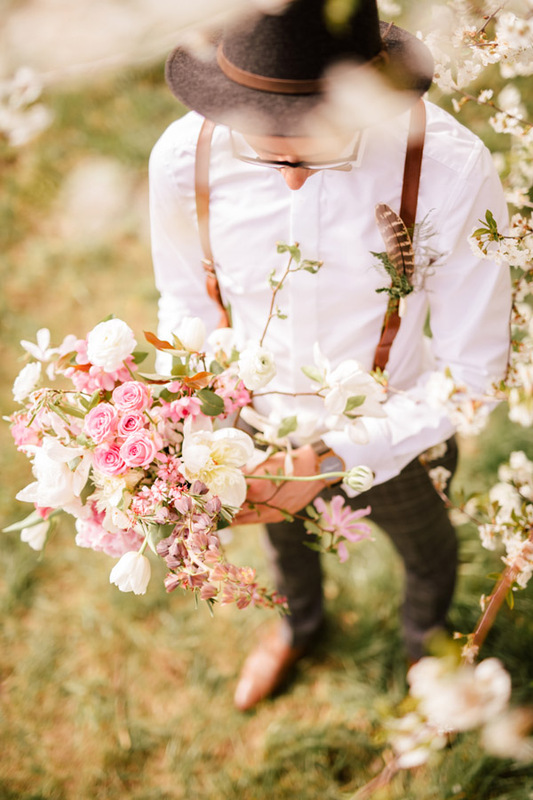 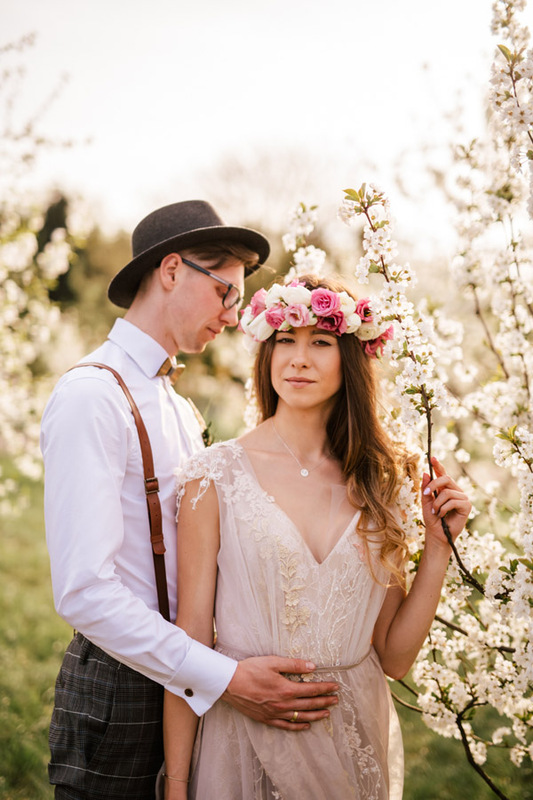 Spring Cherry blossom Wedding photo shoot was our unfulfilled dream until now! 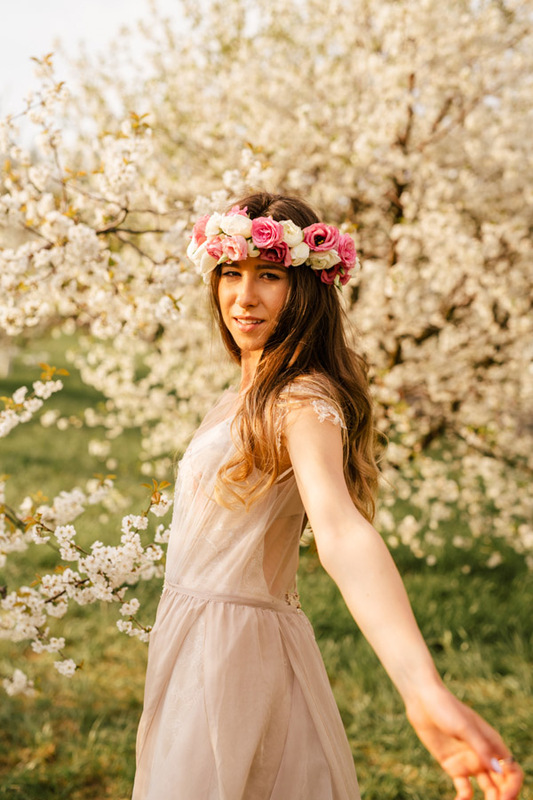 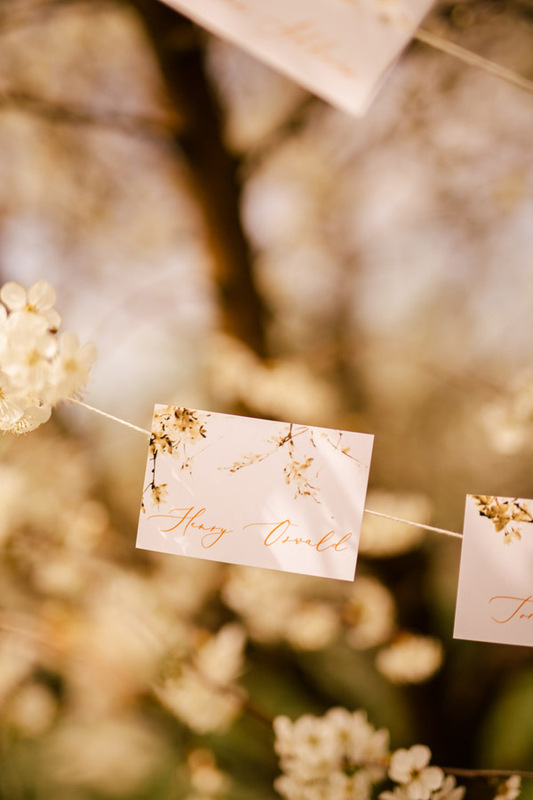 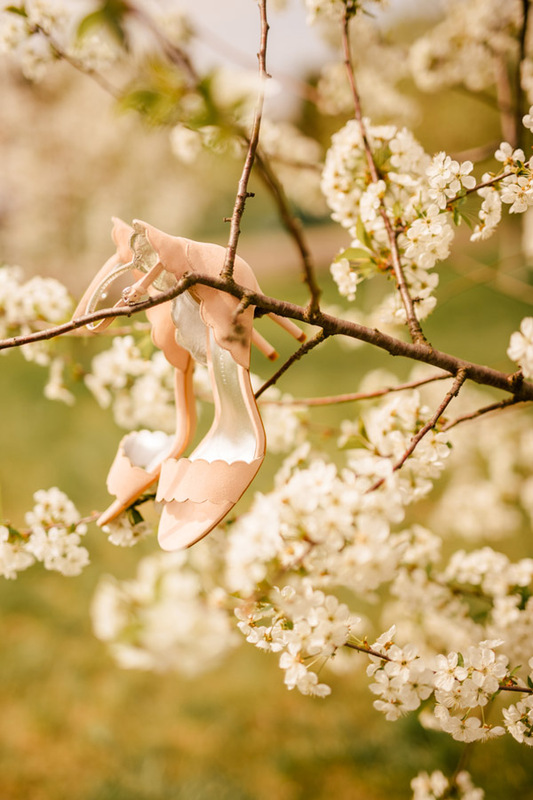 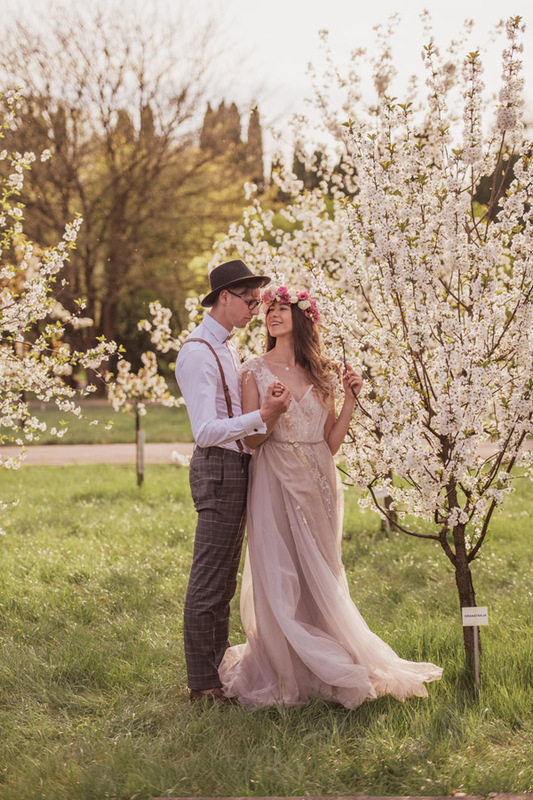 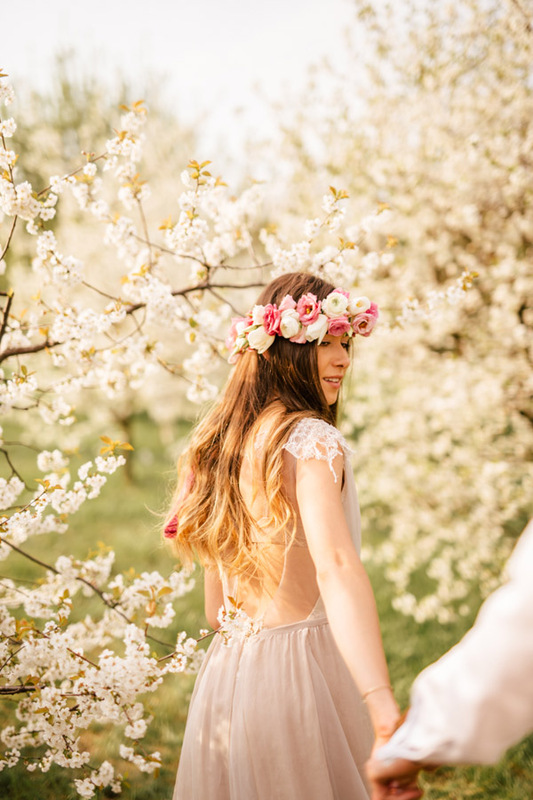 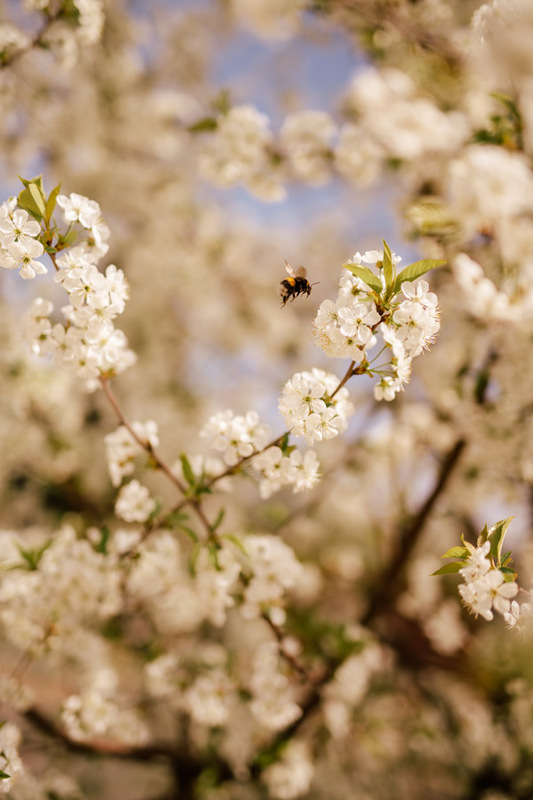 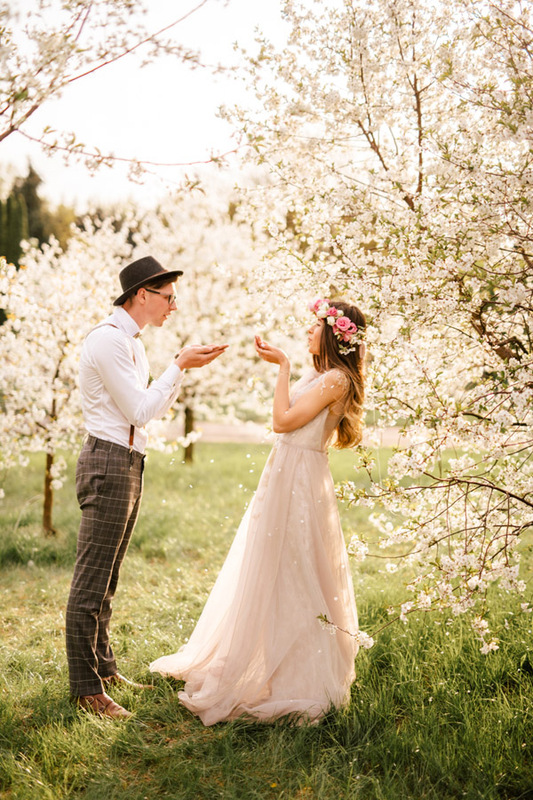 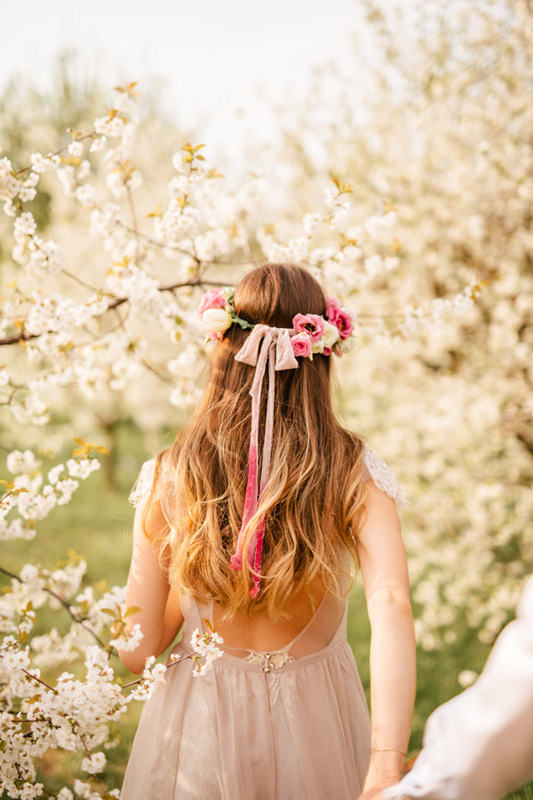 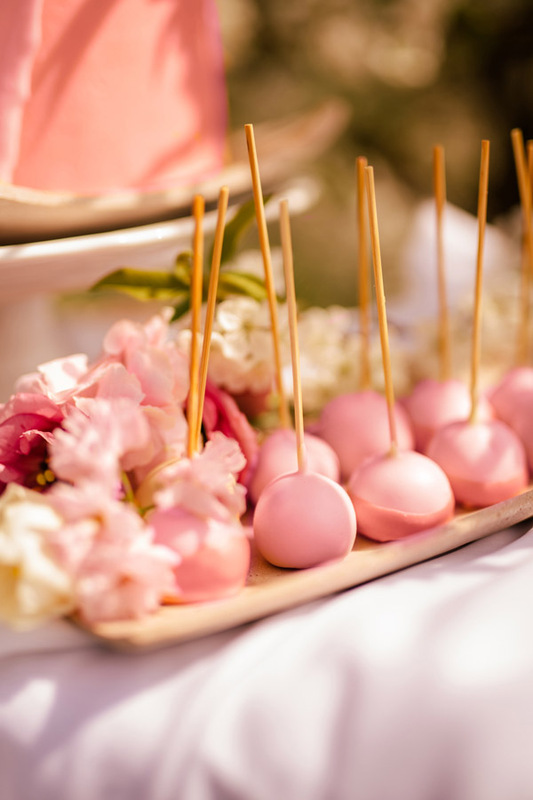 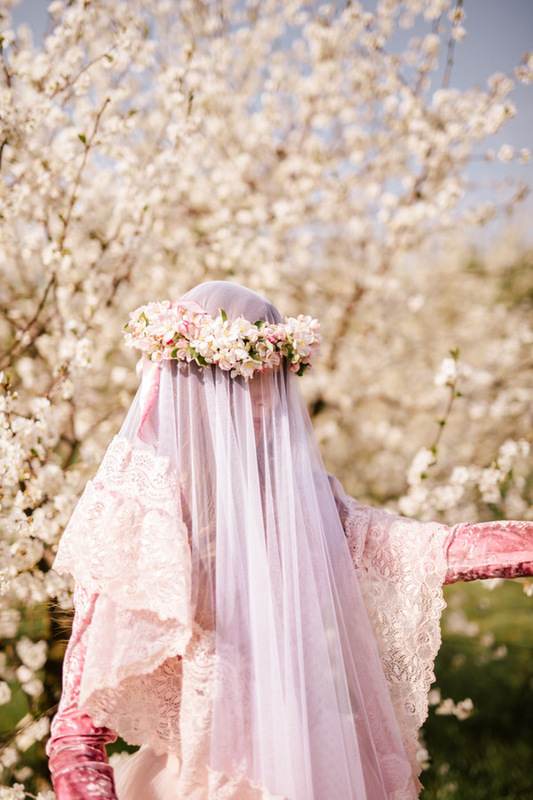 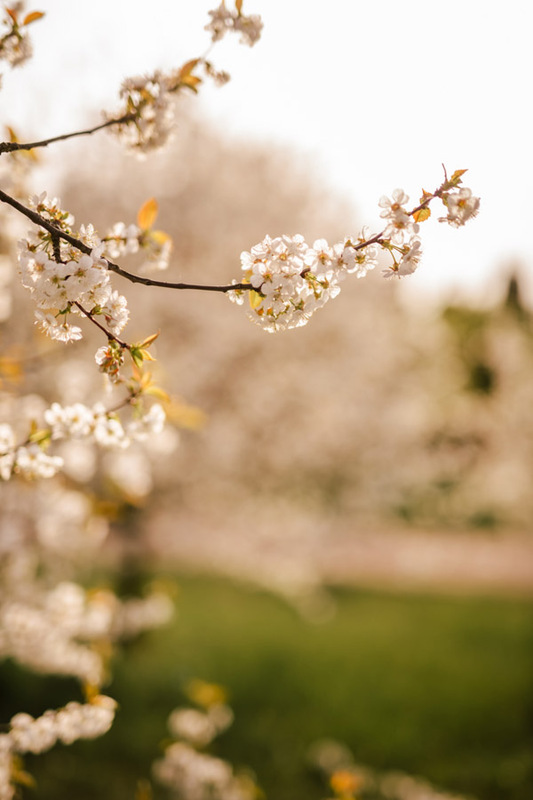 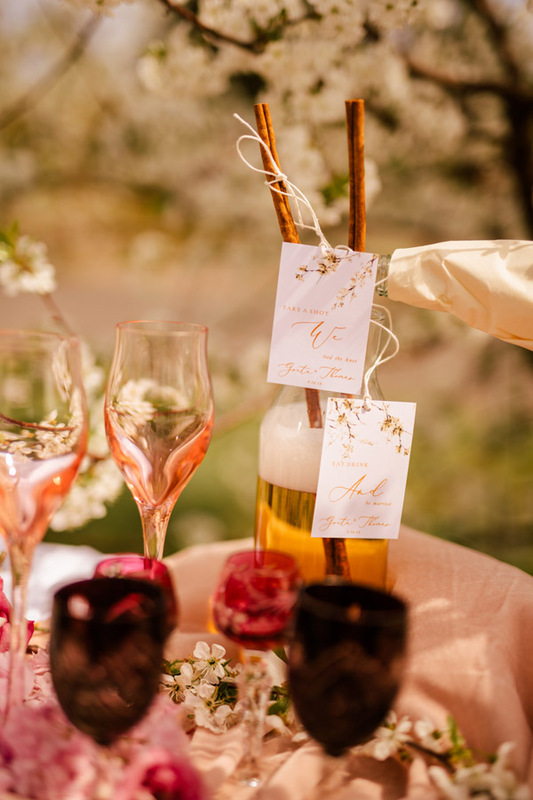 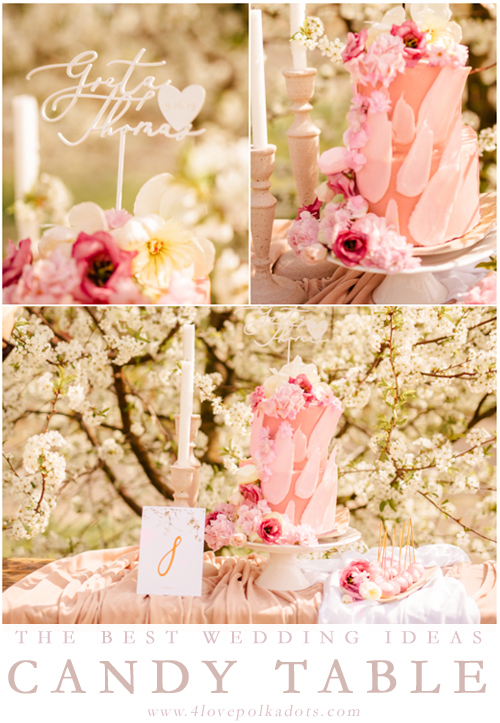 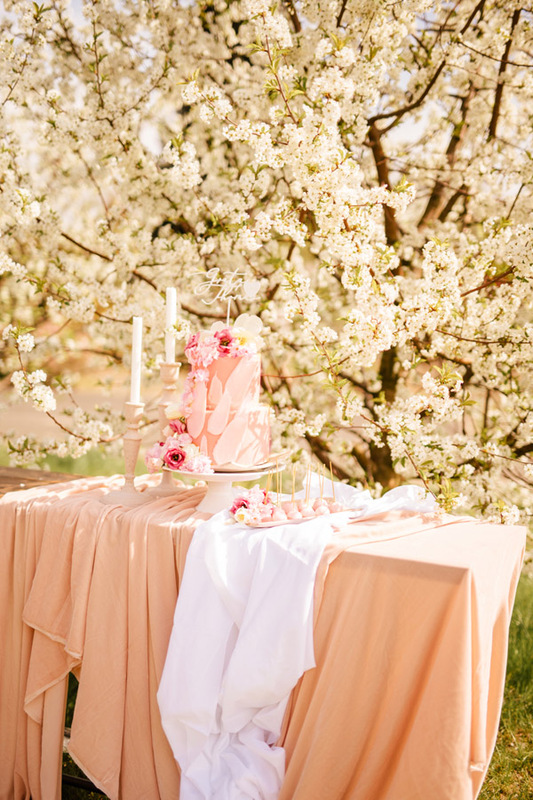 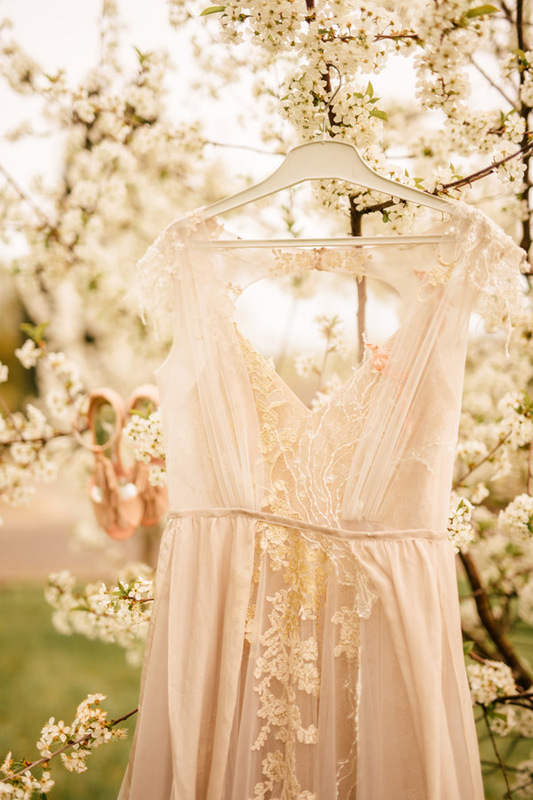 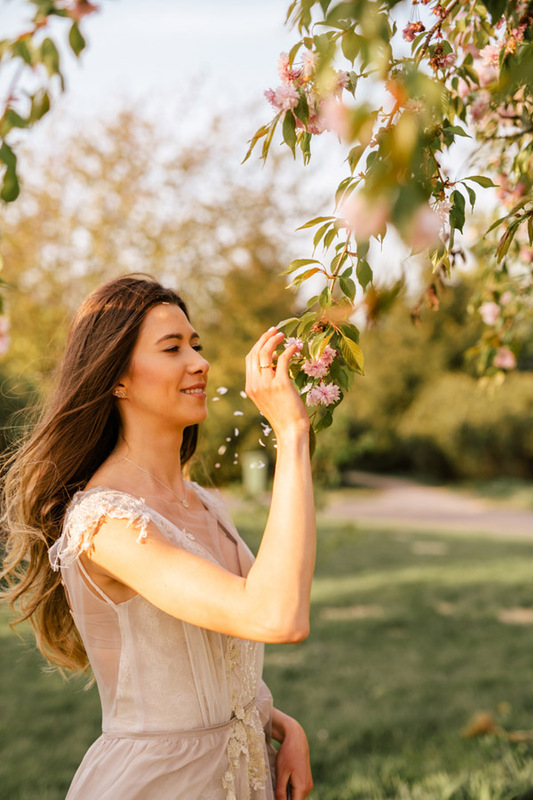 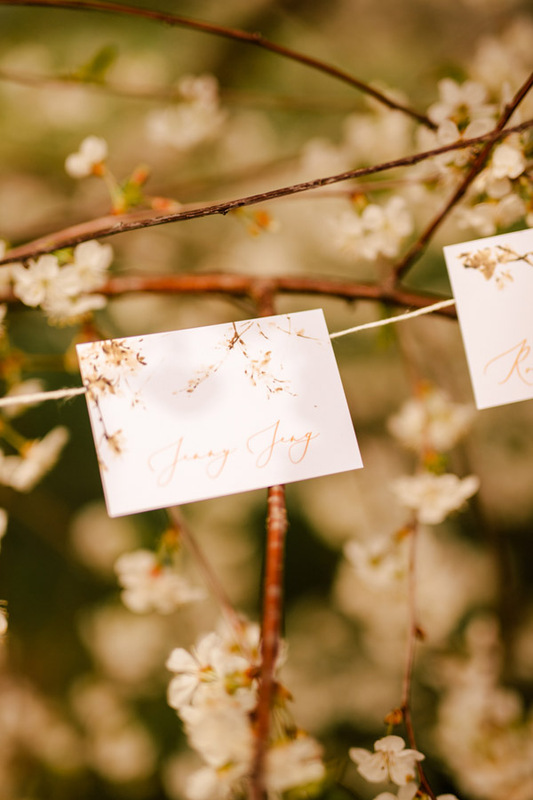 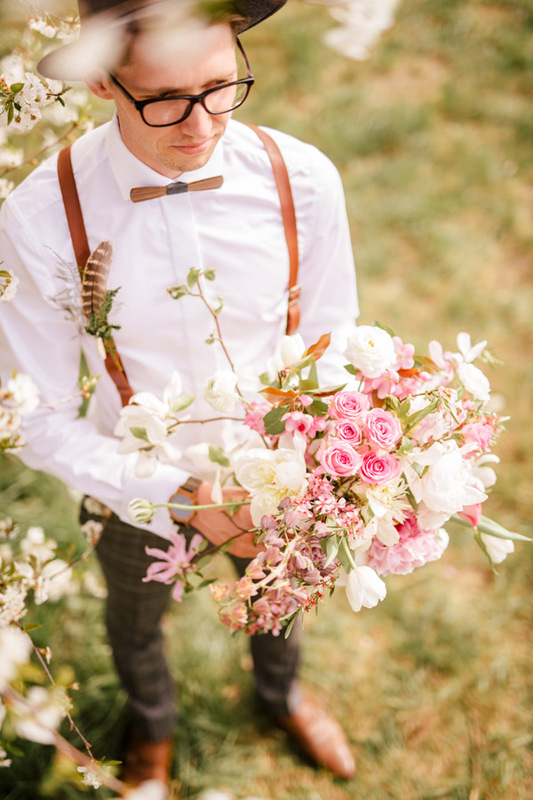 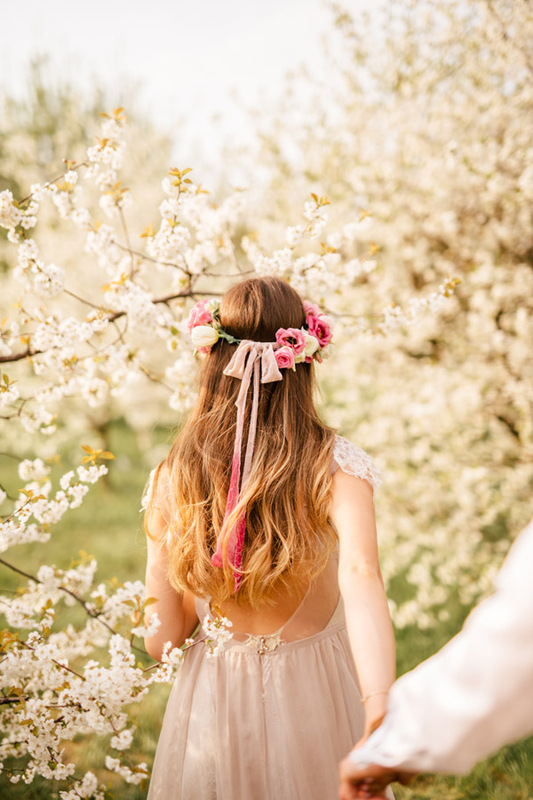 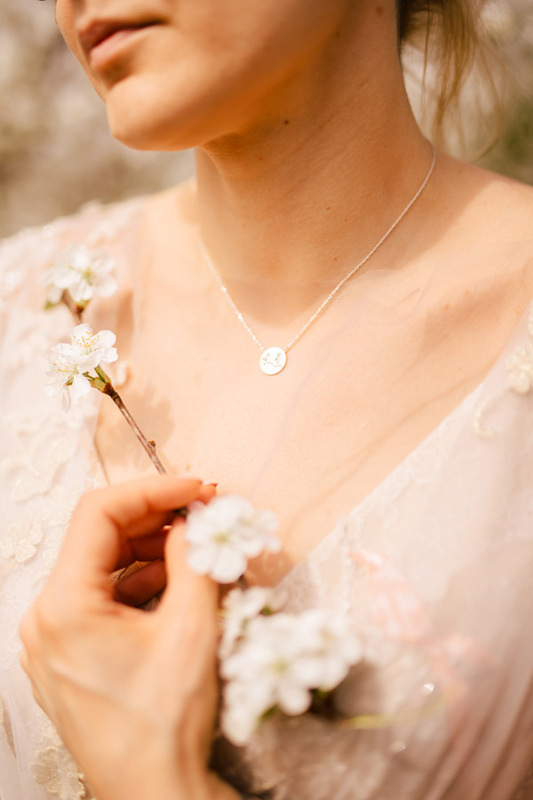 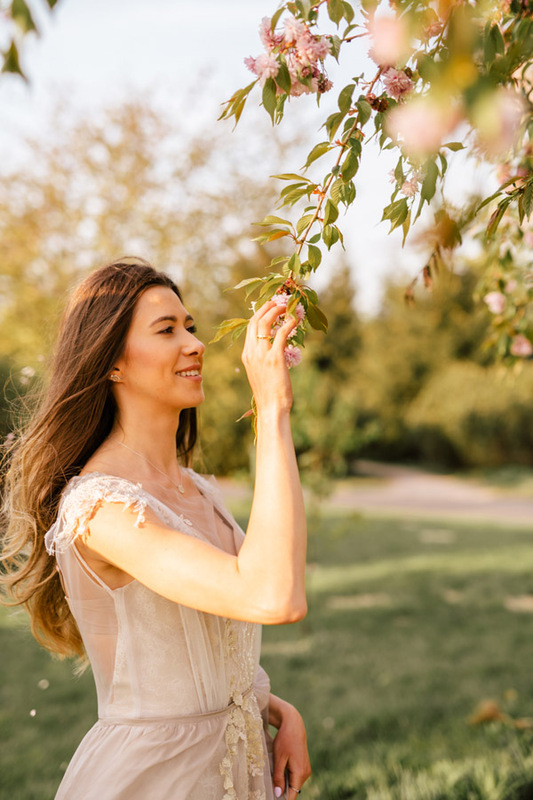 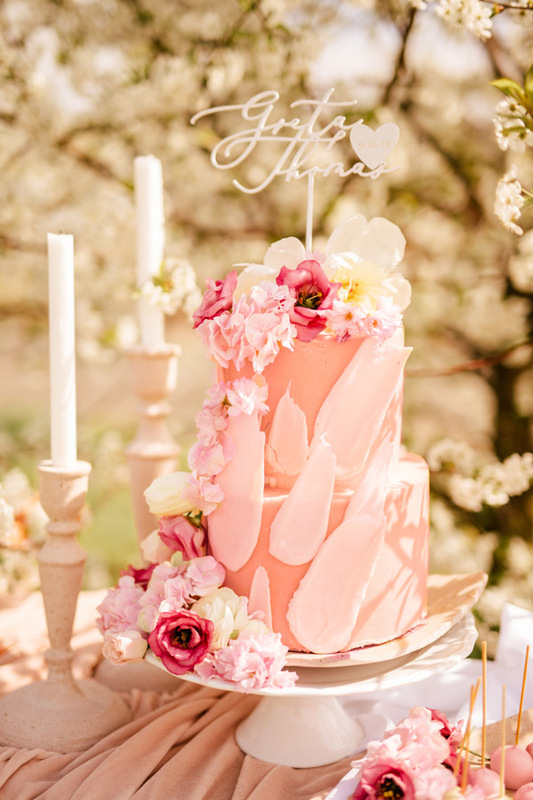 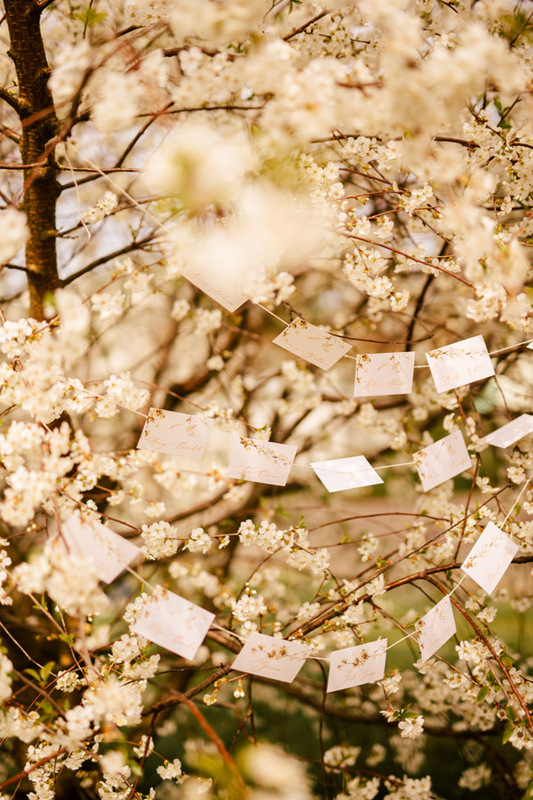 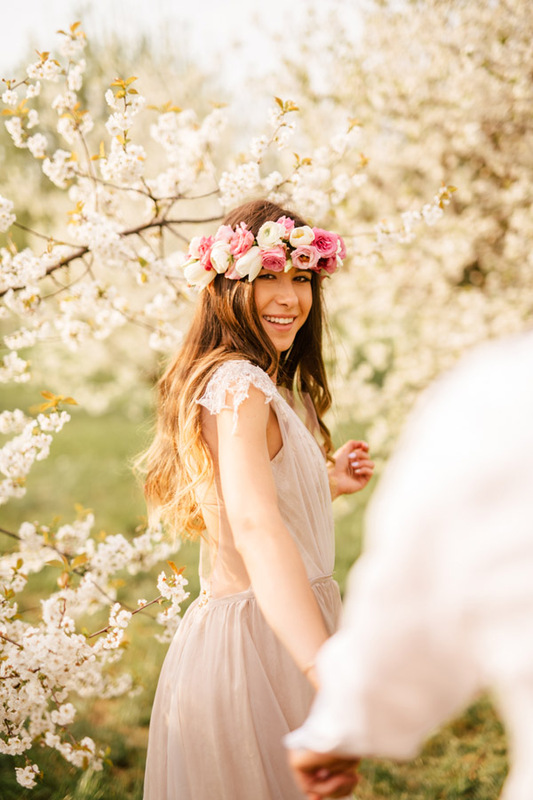 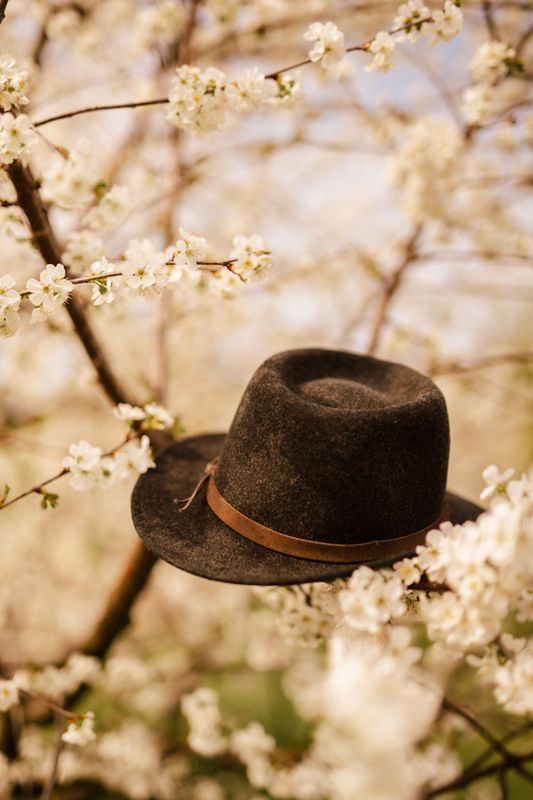 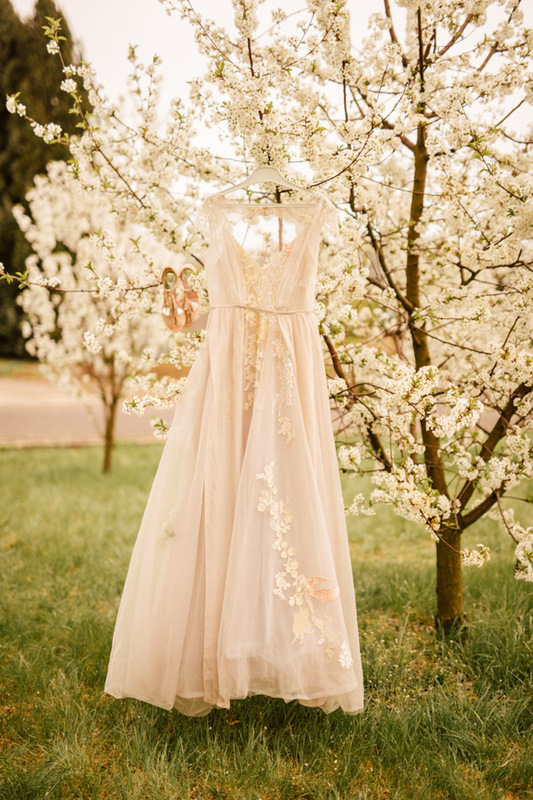 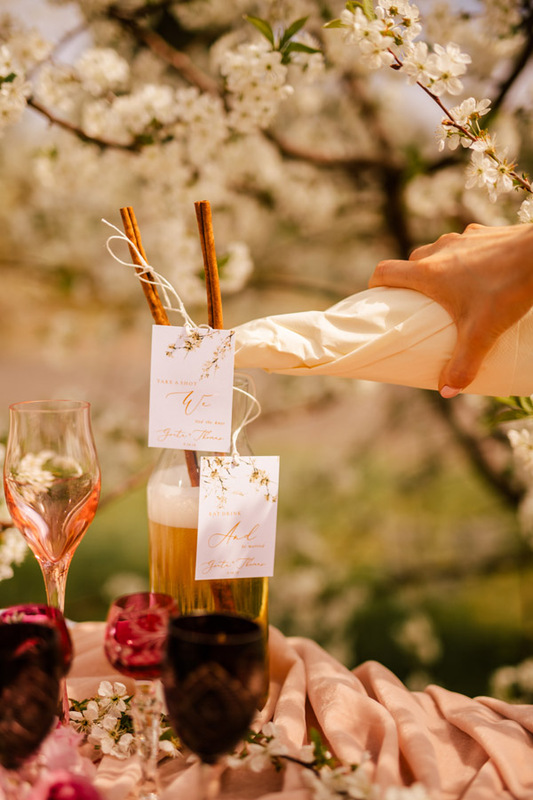 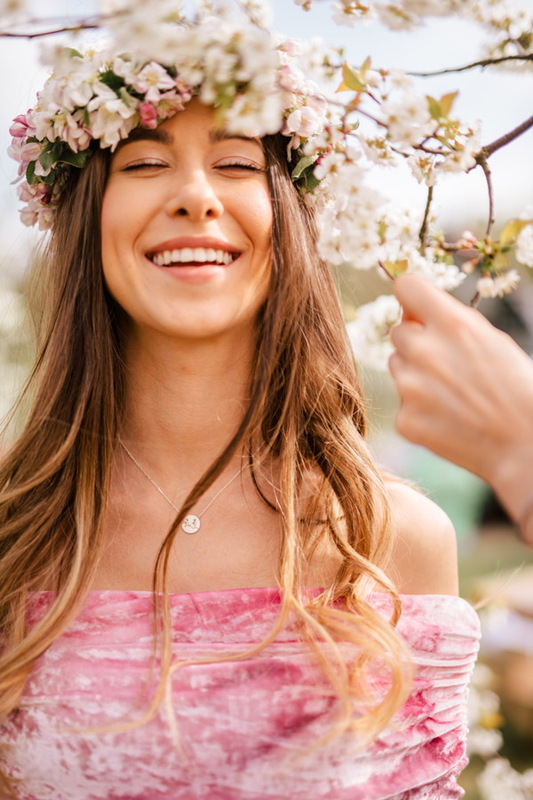 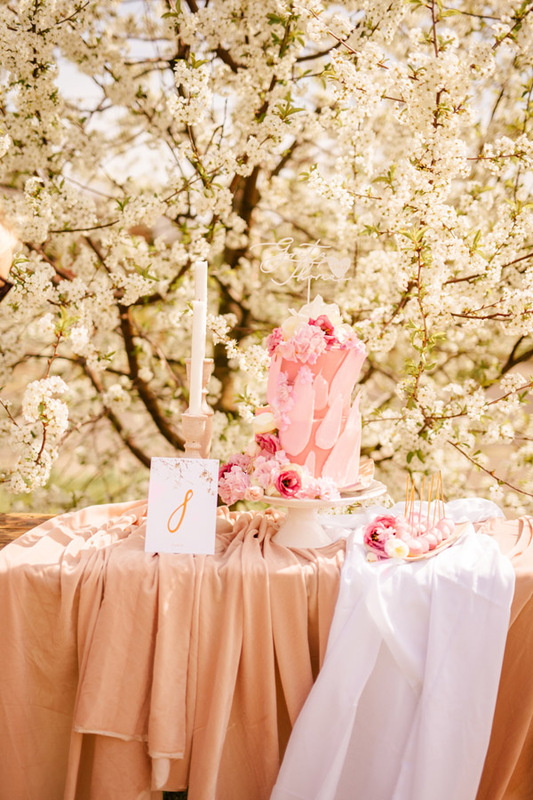 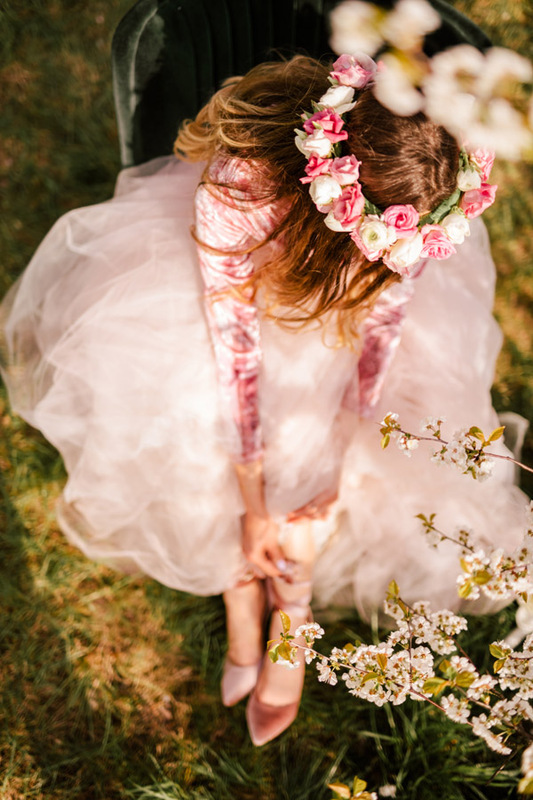 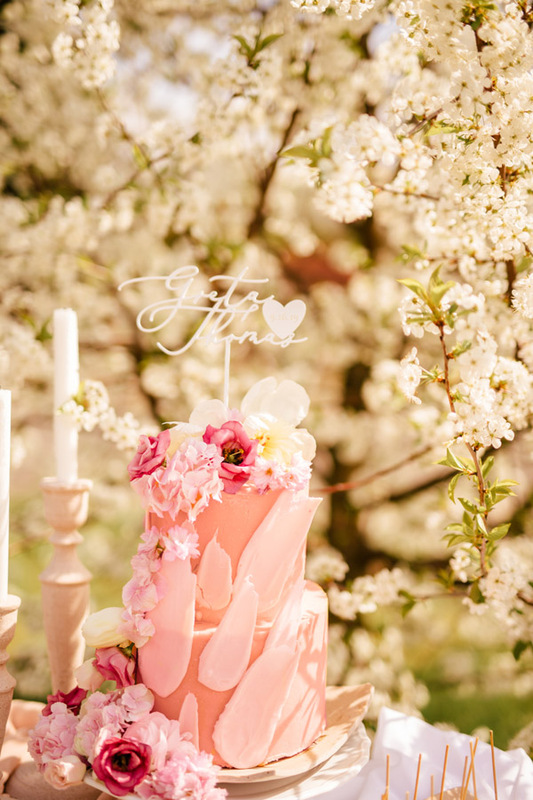 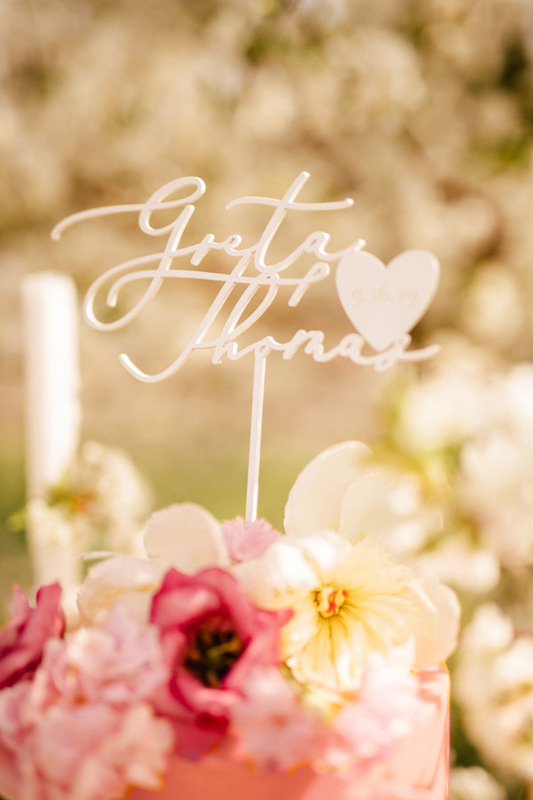 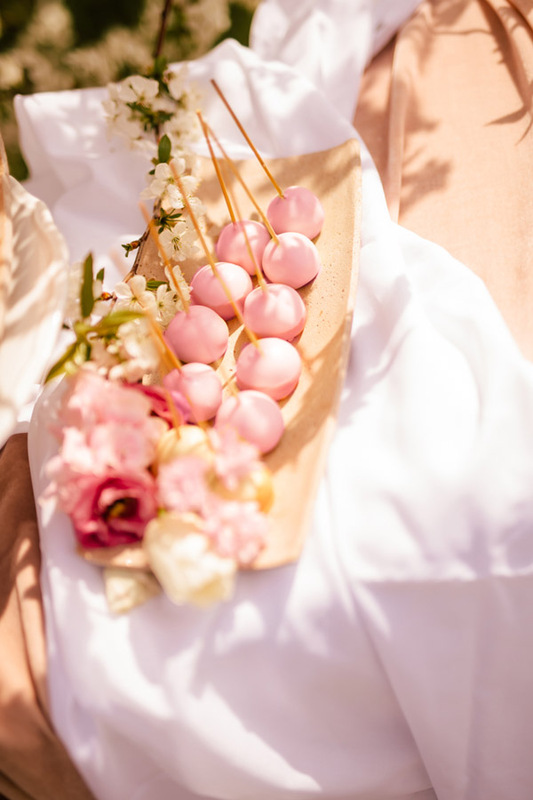 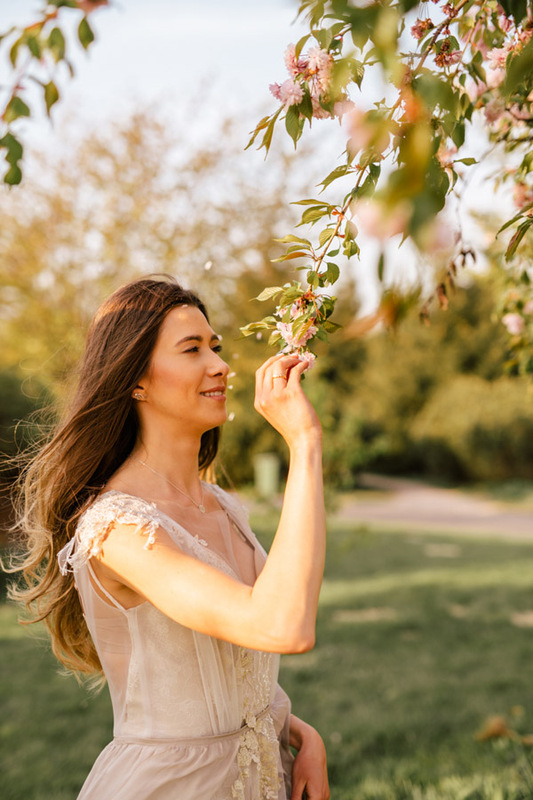 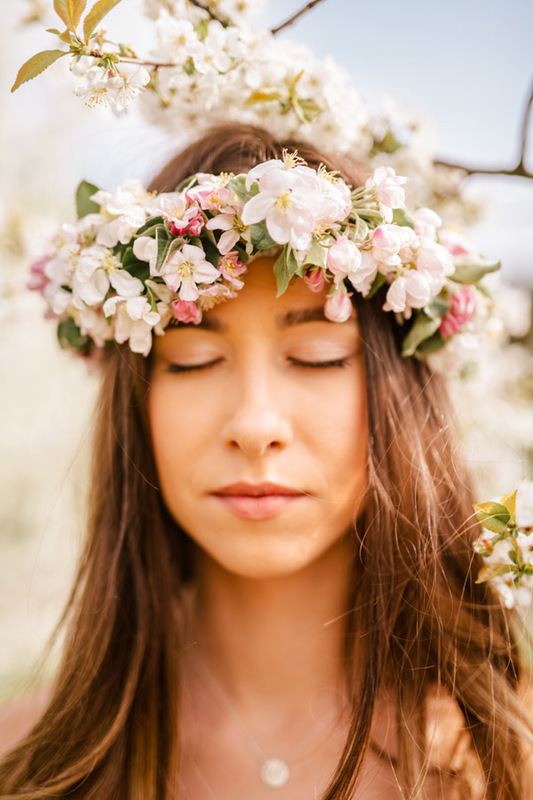 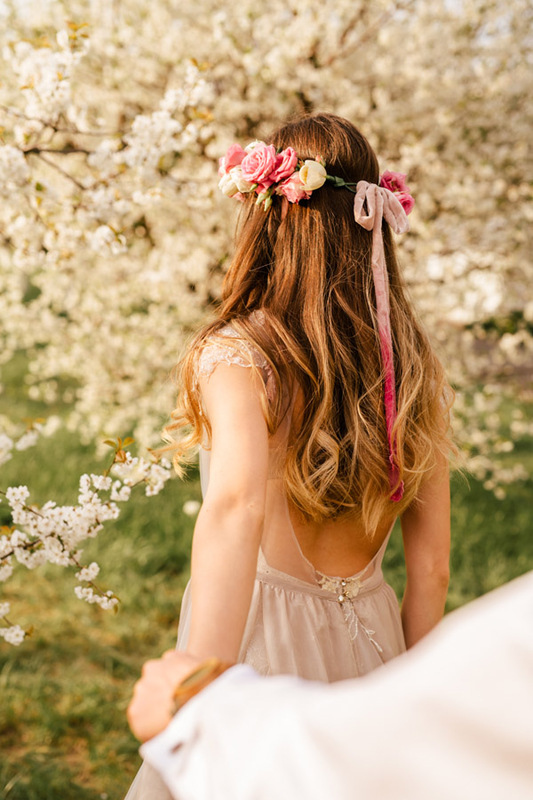 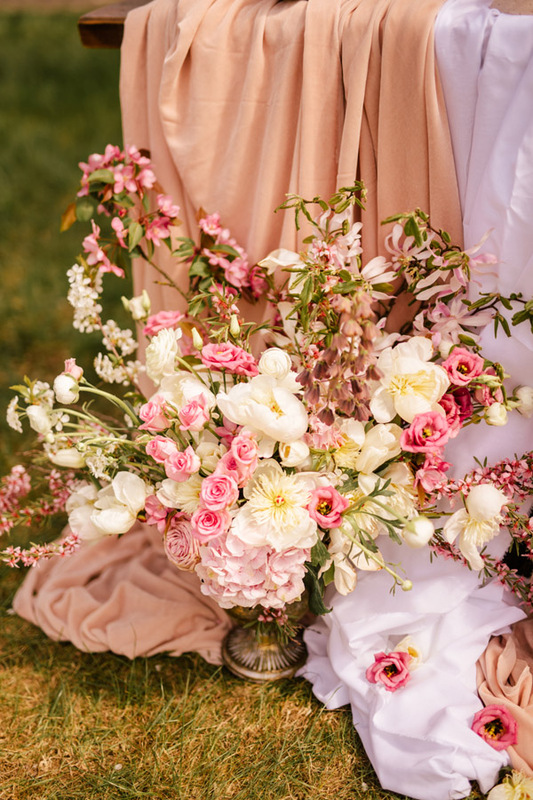 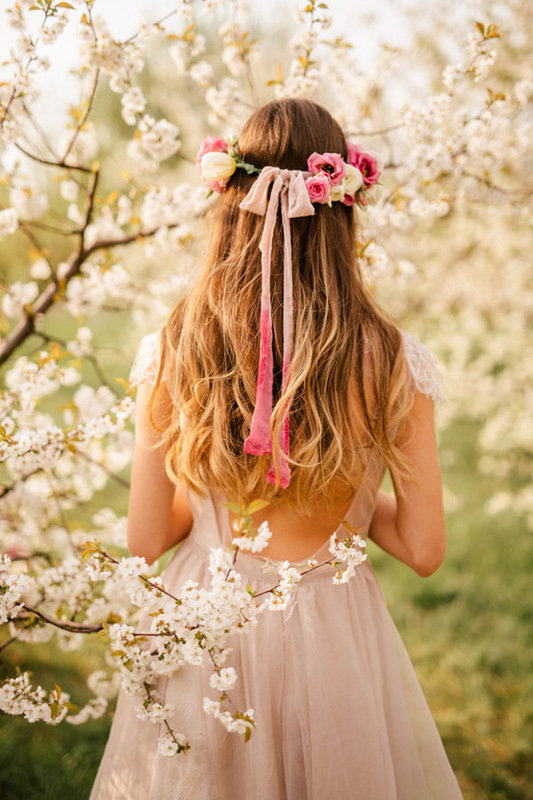 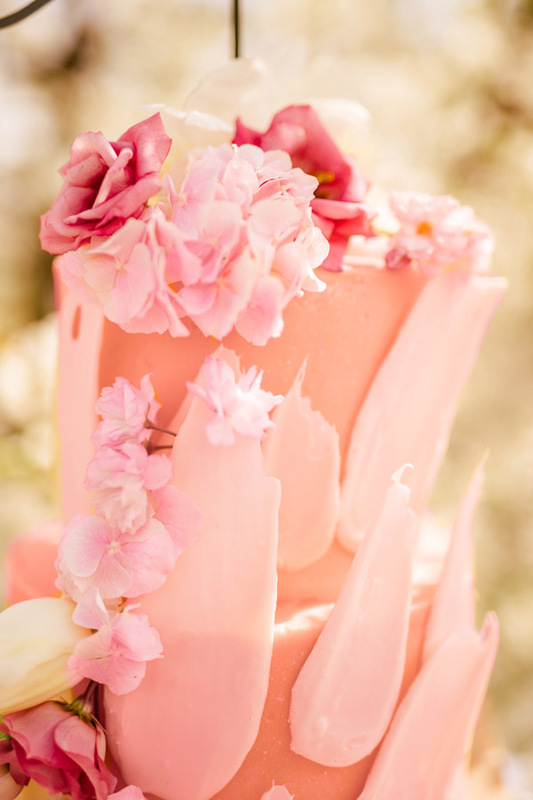 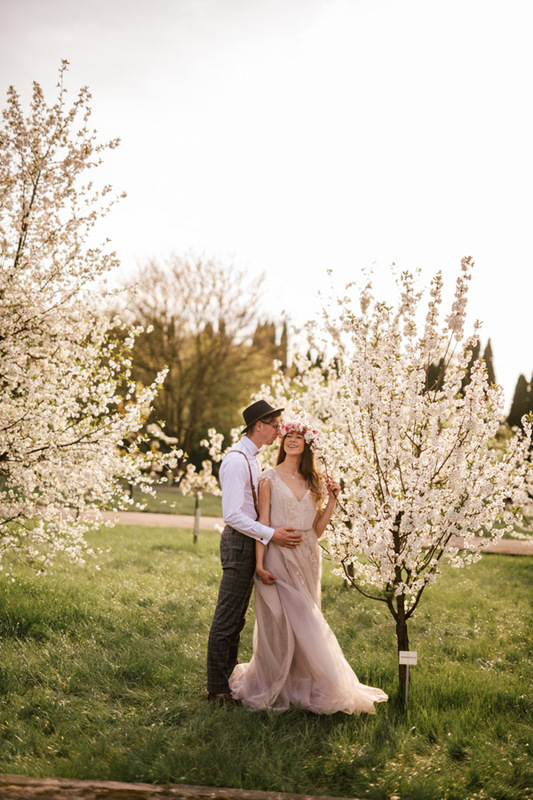 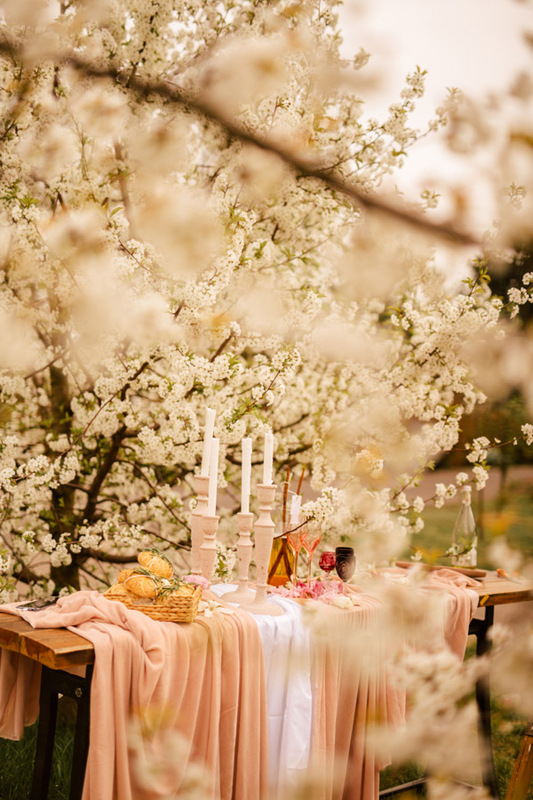 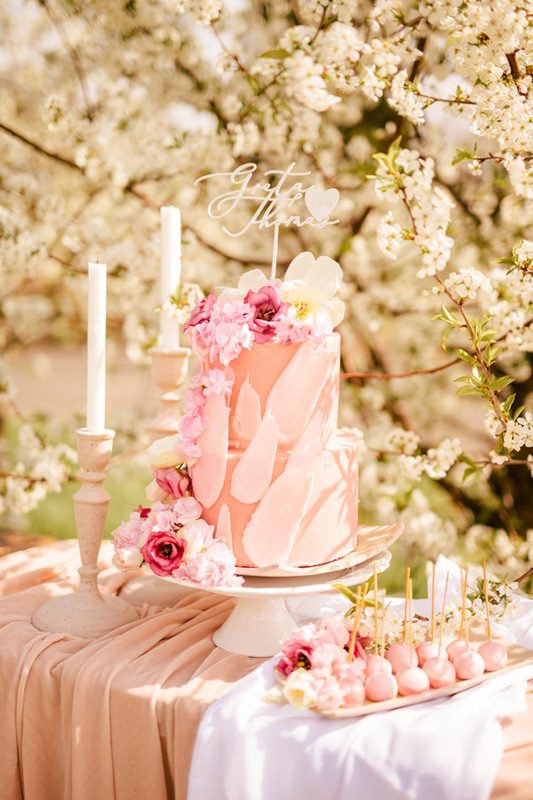 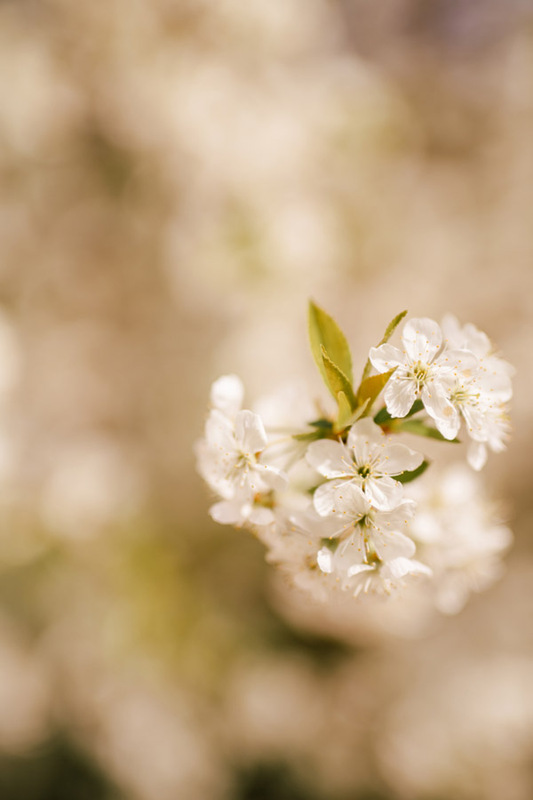 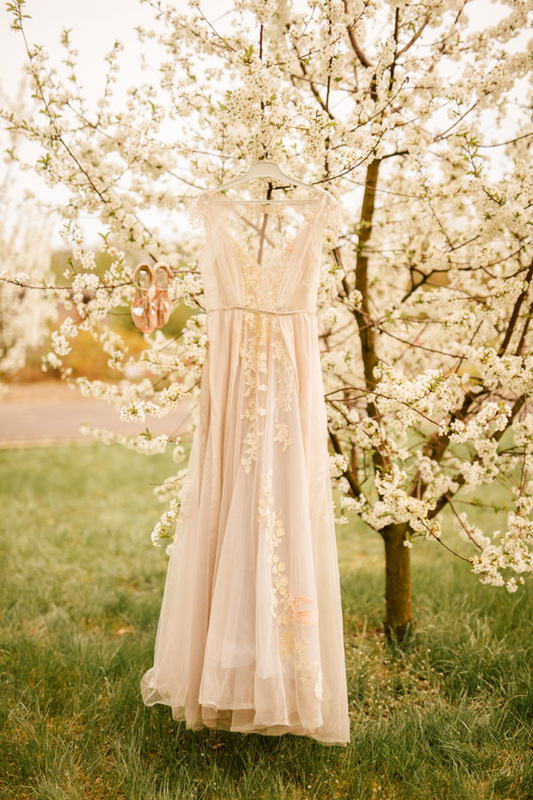 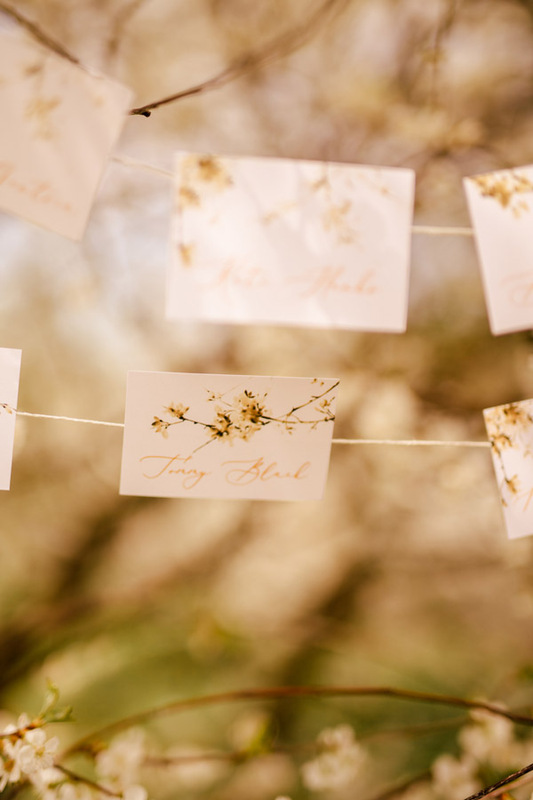 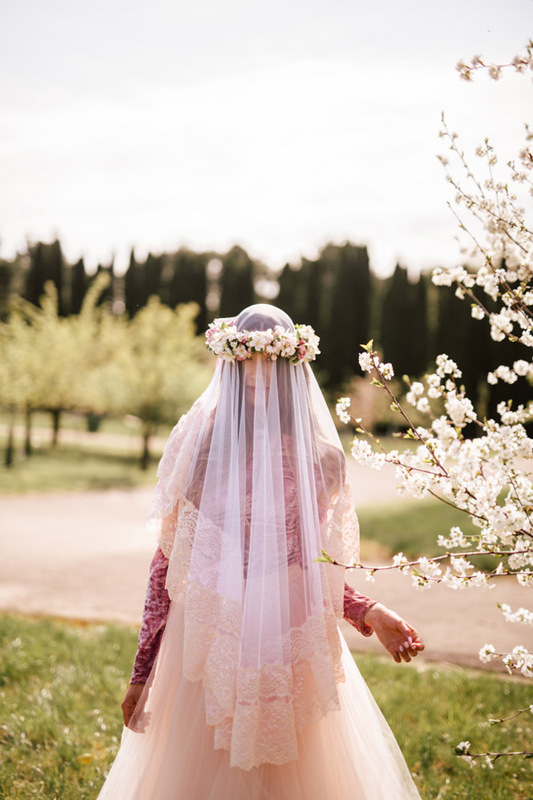 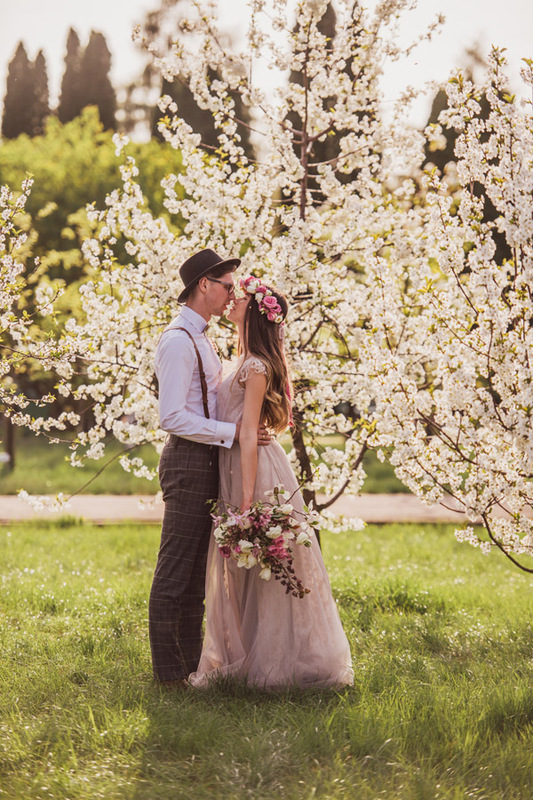 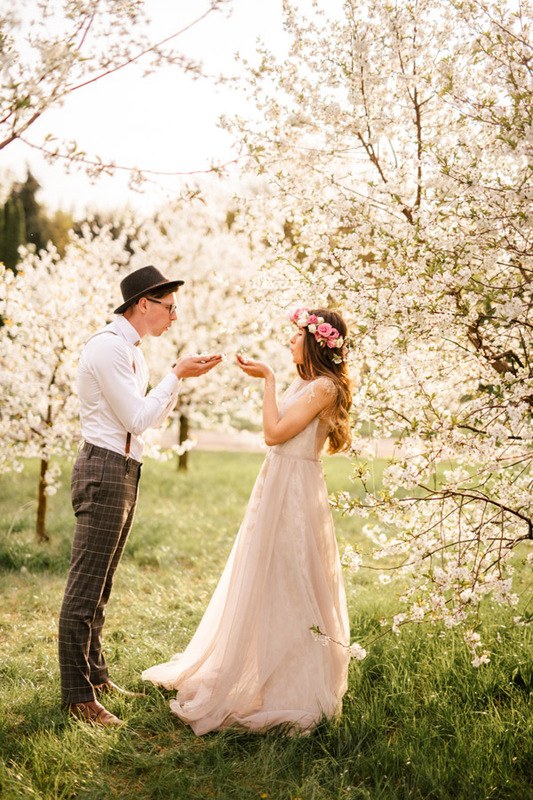 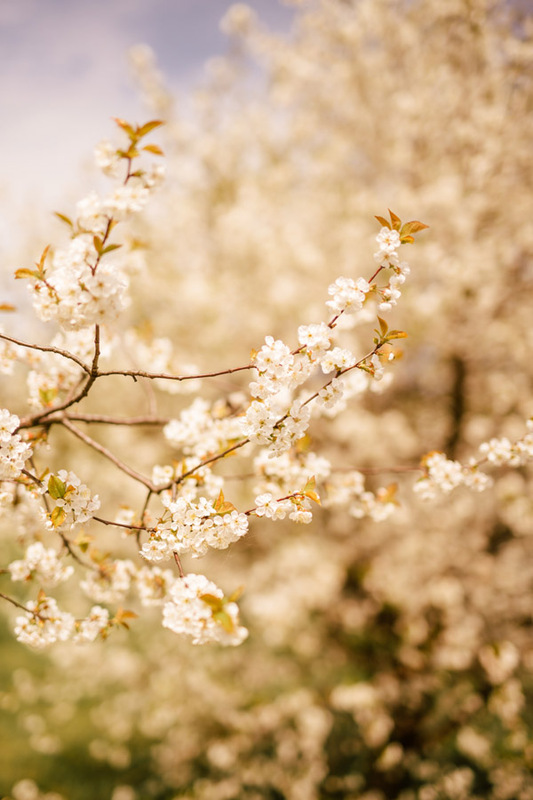 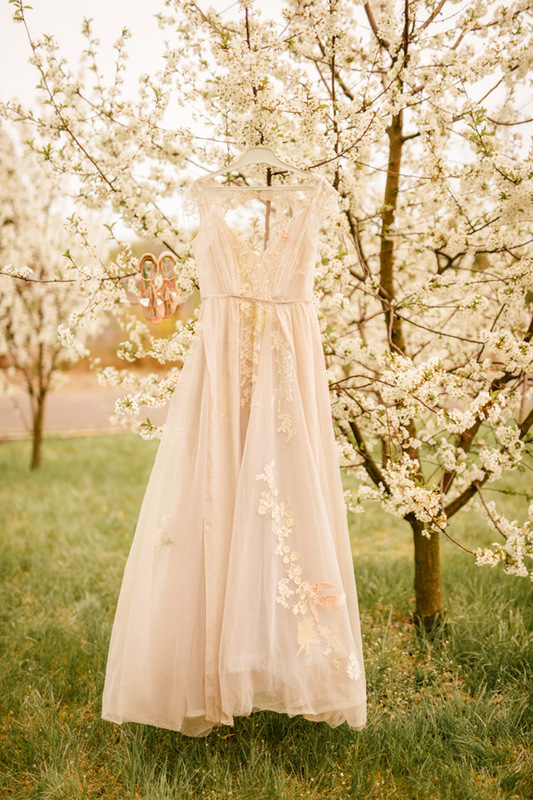 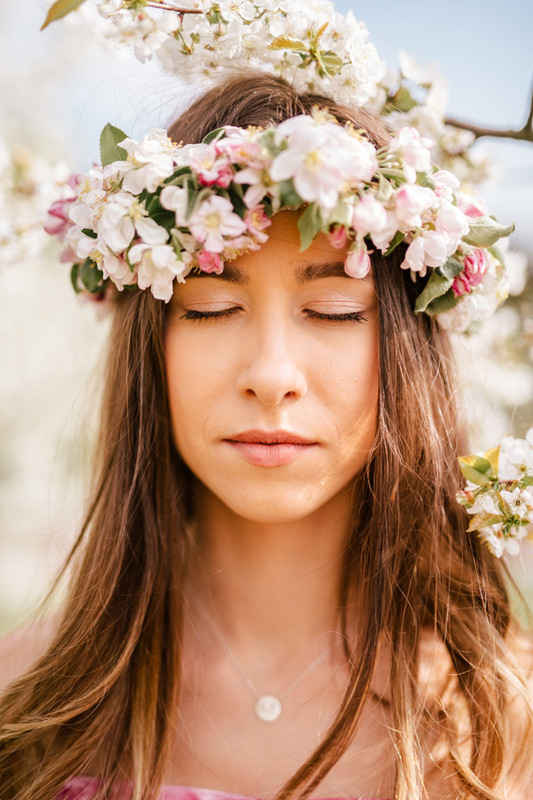 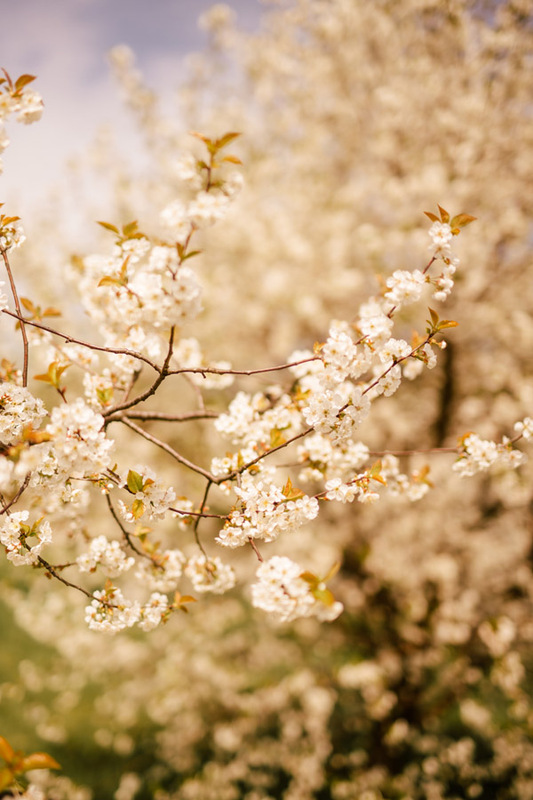 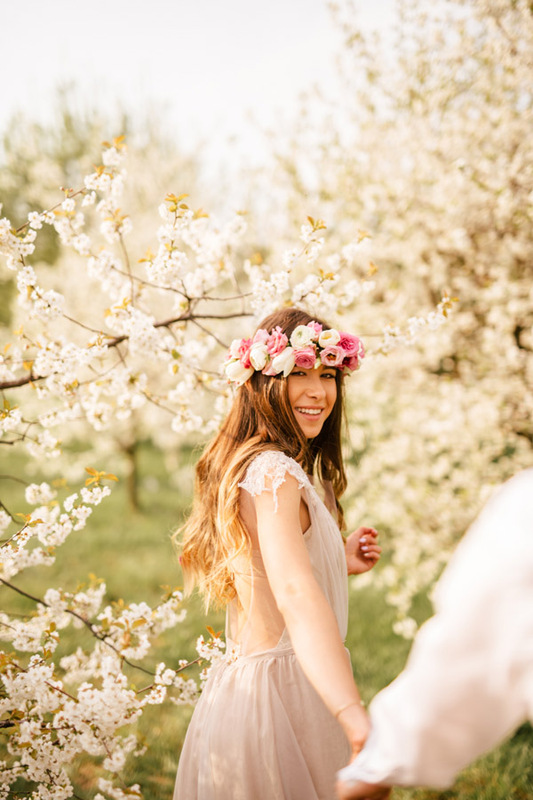 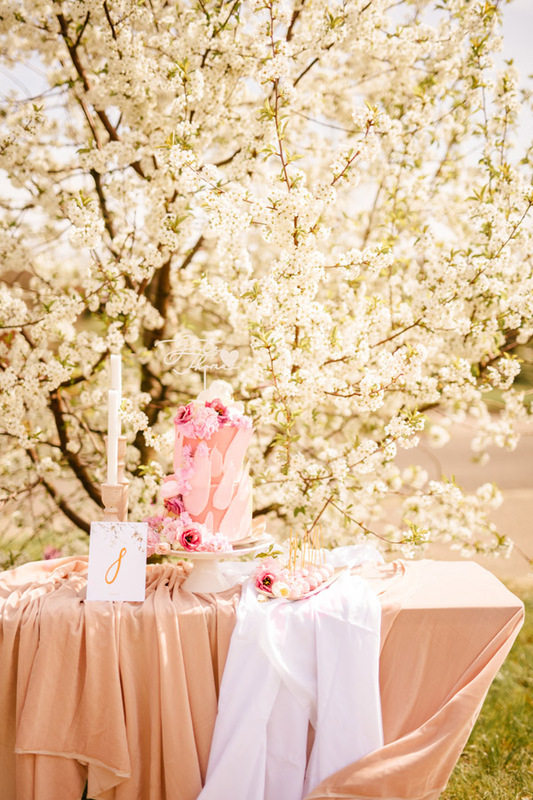 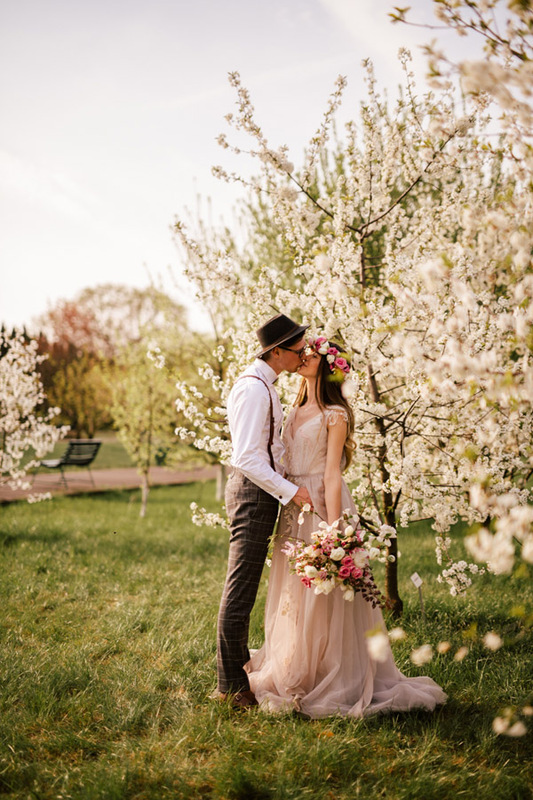 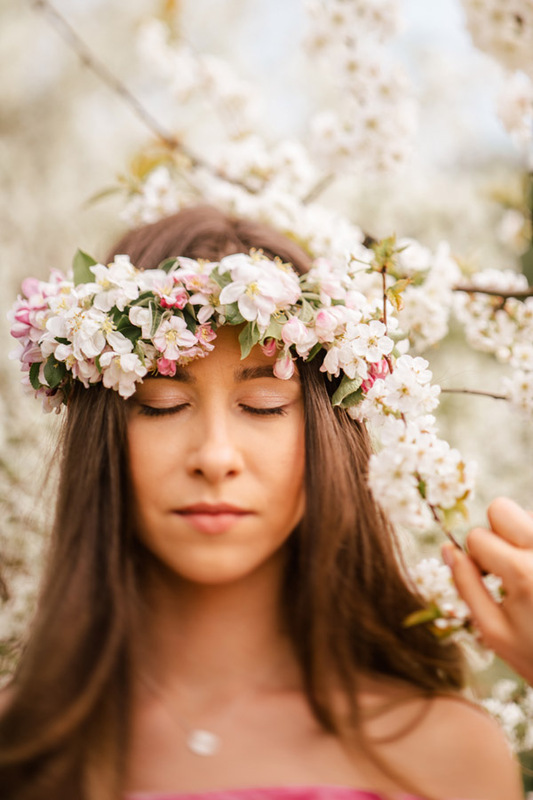 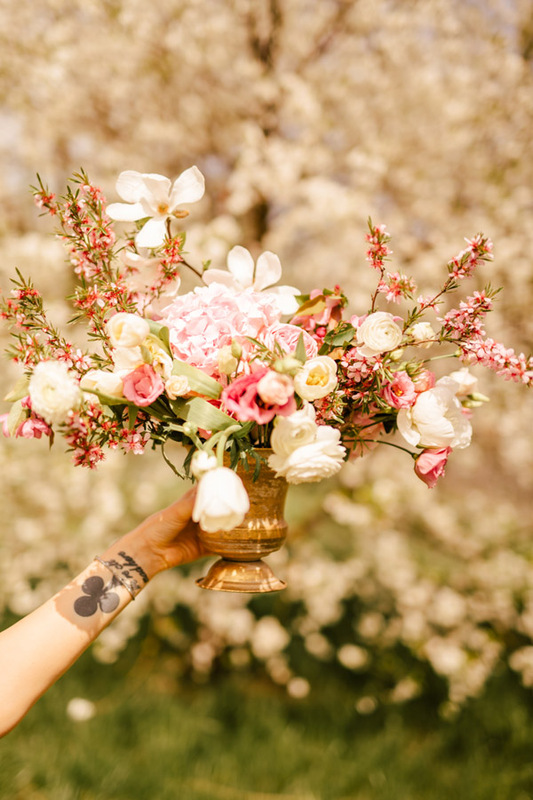 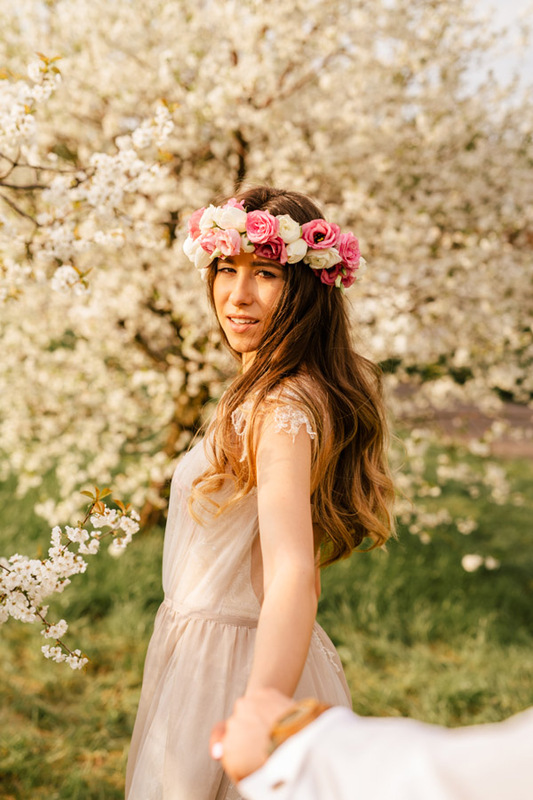 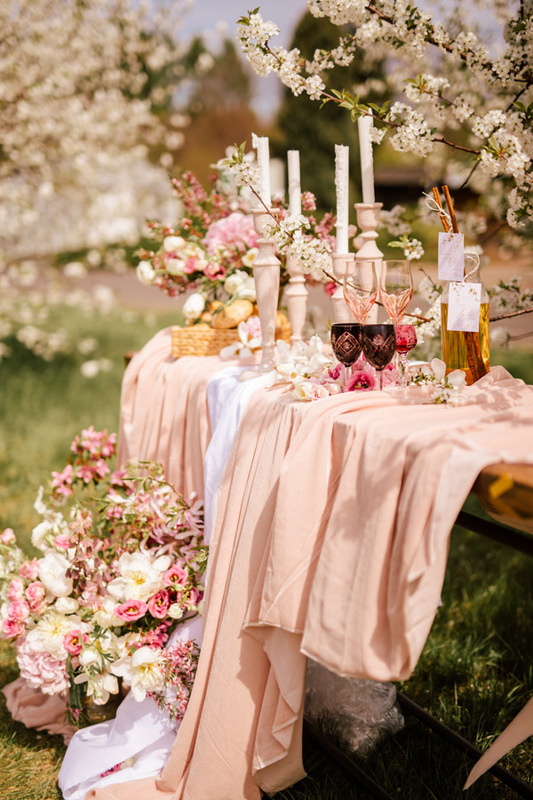 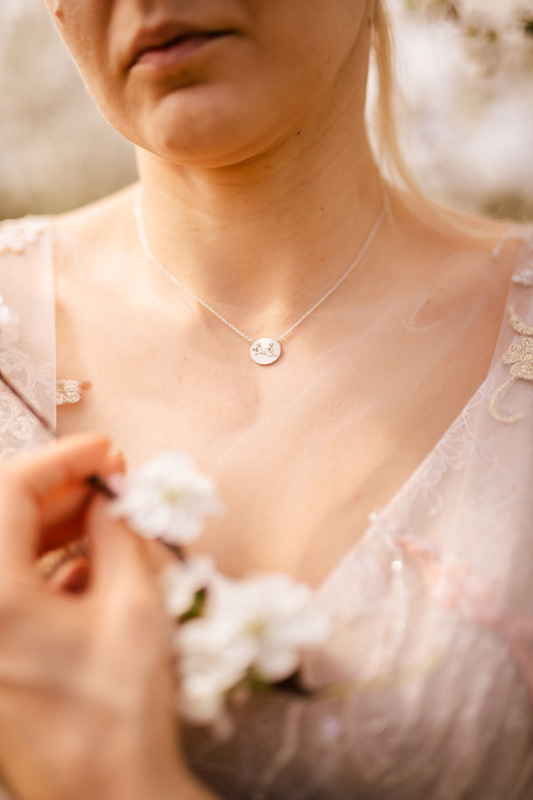 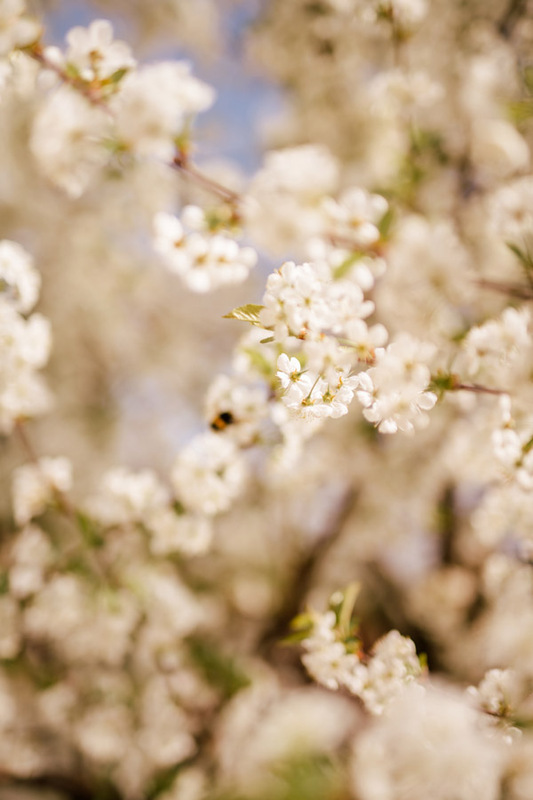 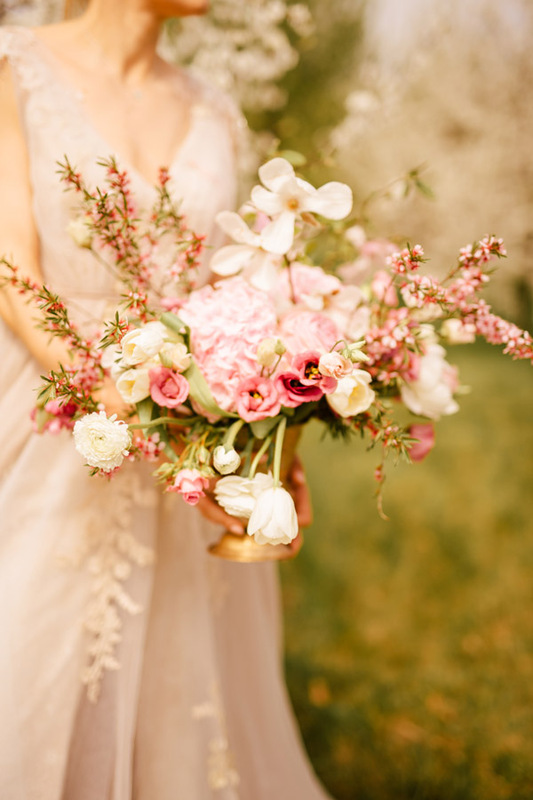 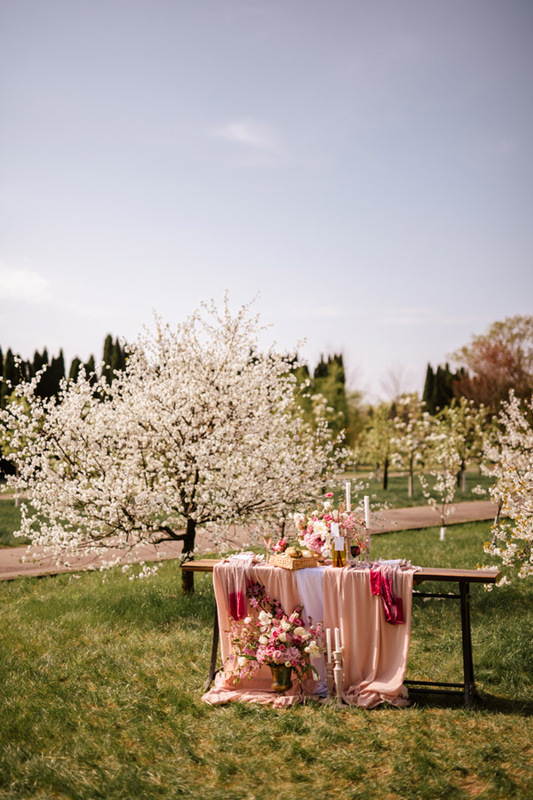 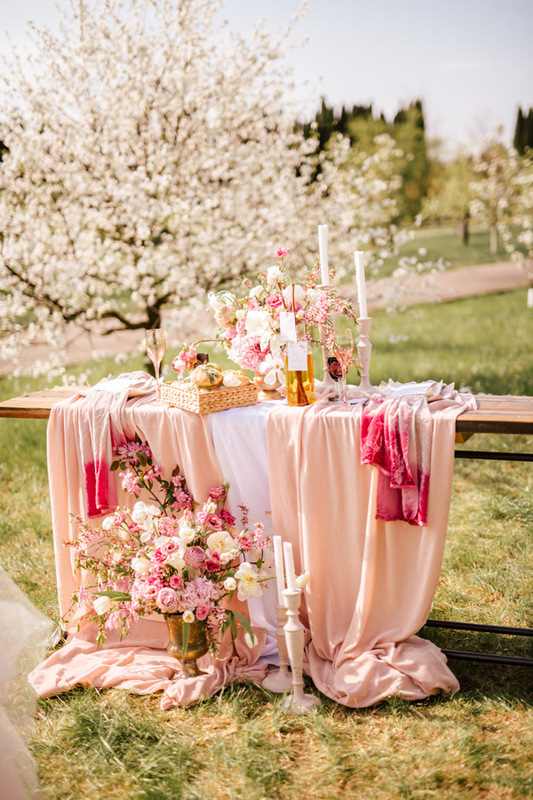 Cherry Blossoms are an extremely delicate and simple flower, perfect idea for your Big Day! 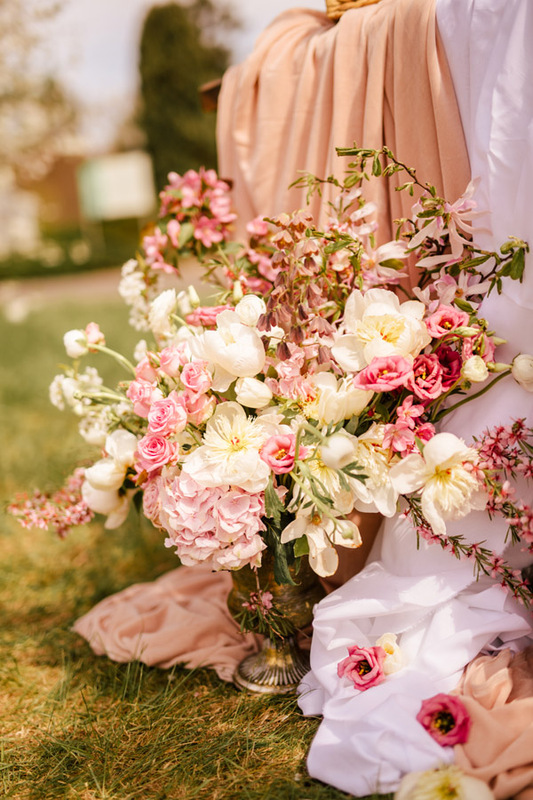 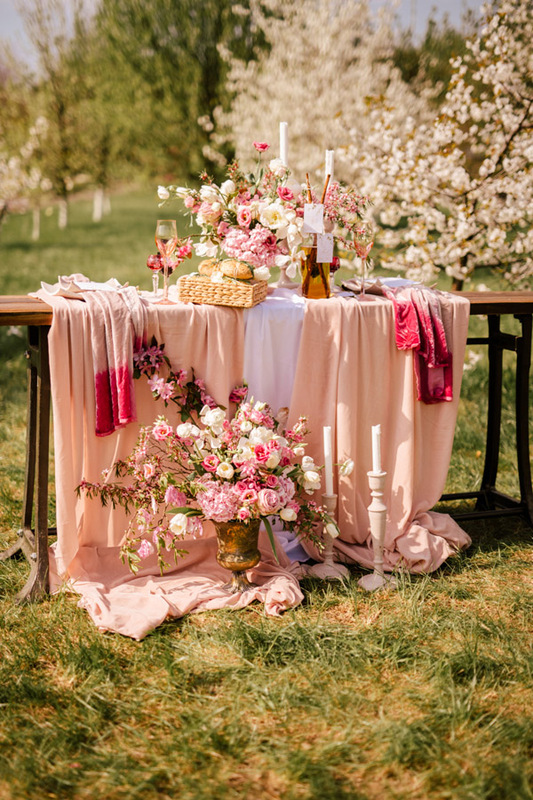 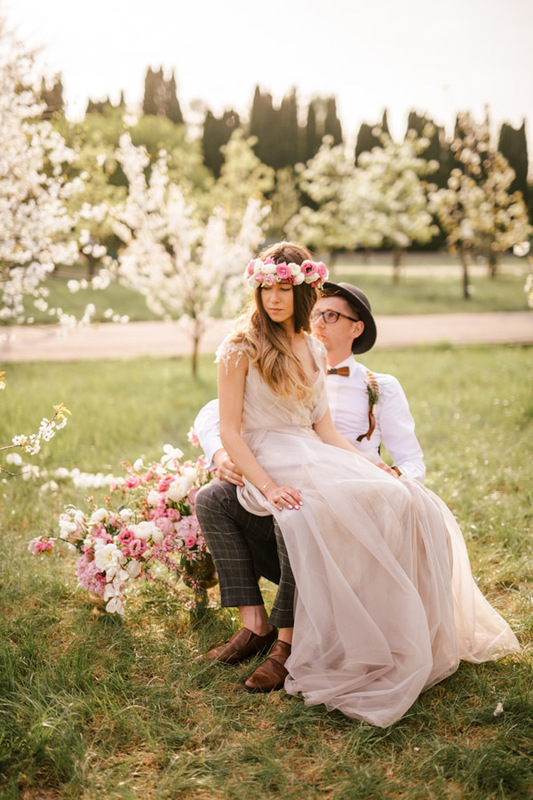 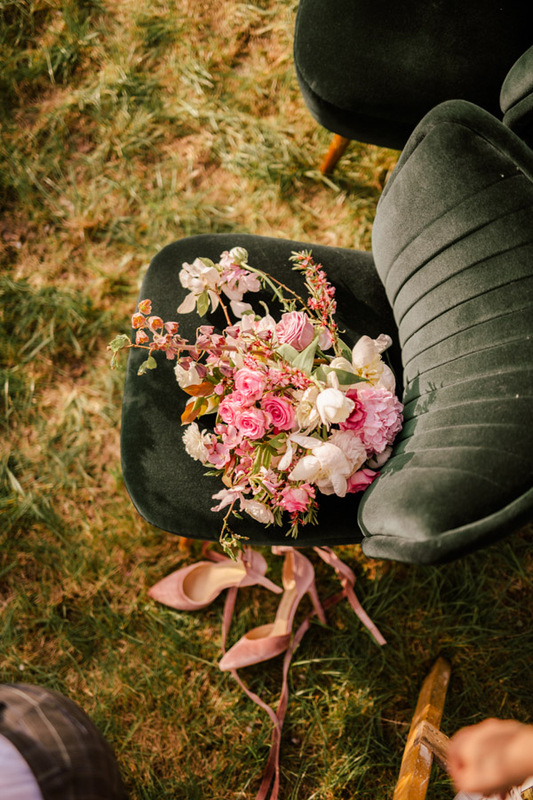 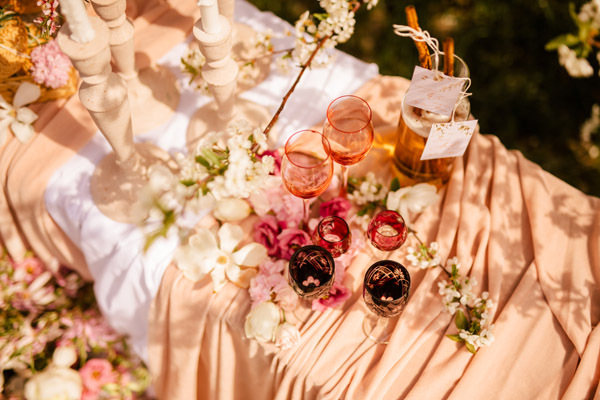 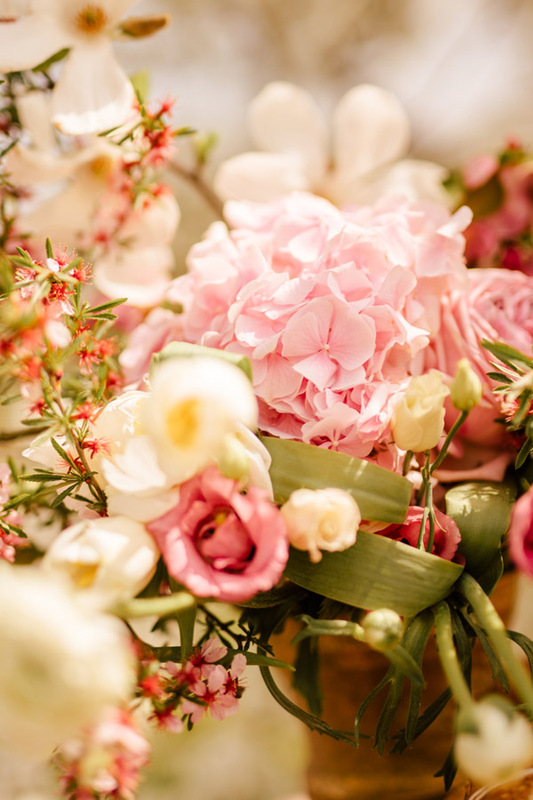 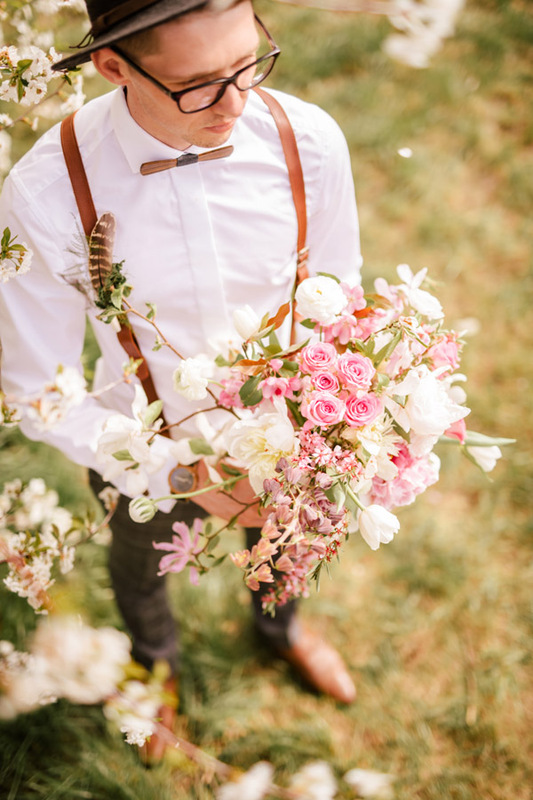 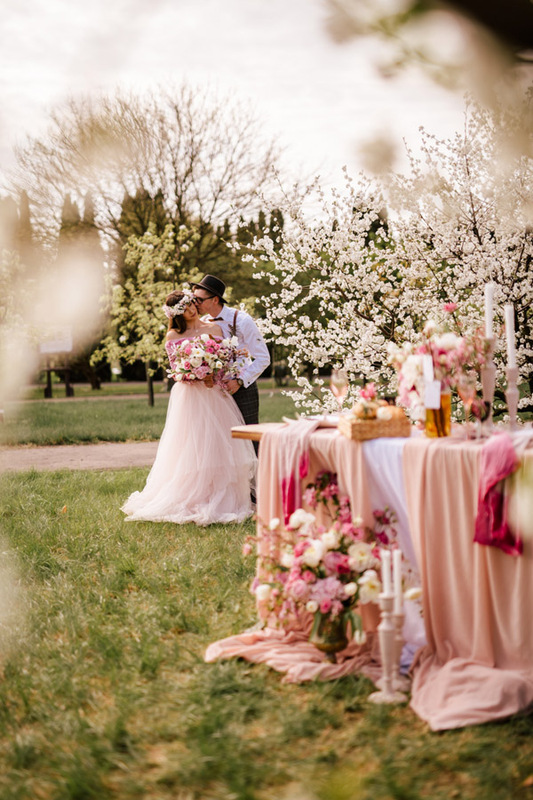 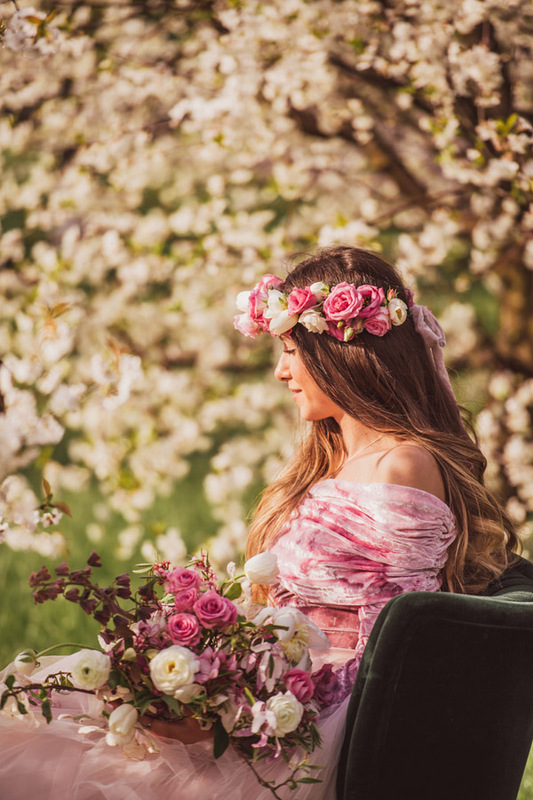 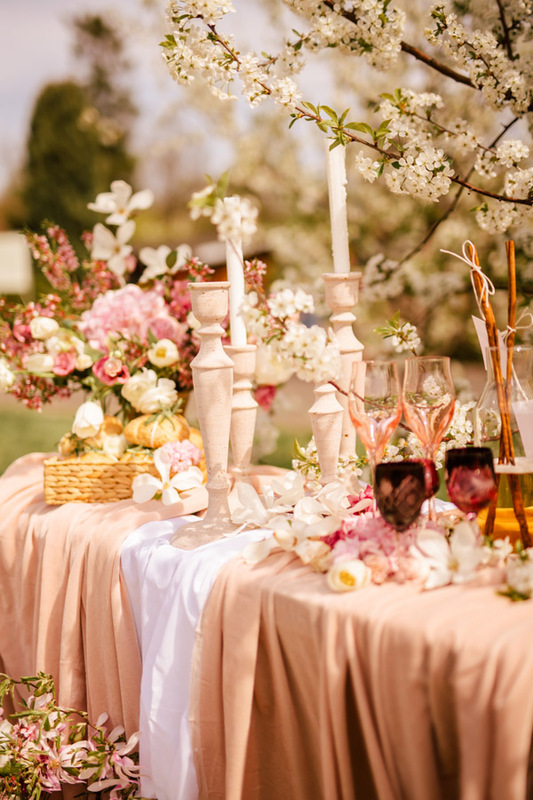 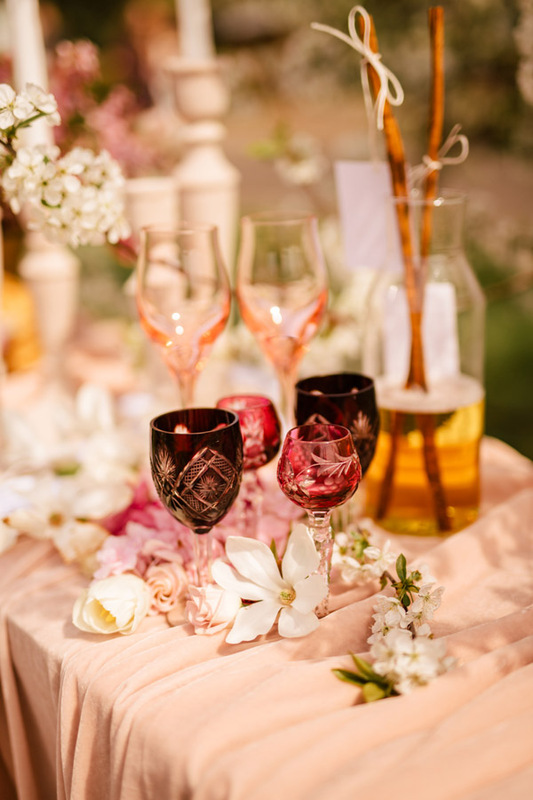 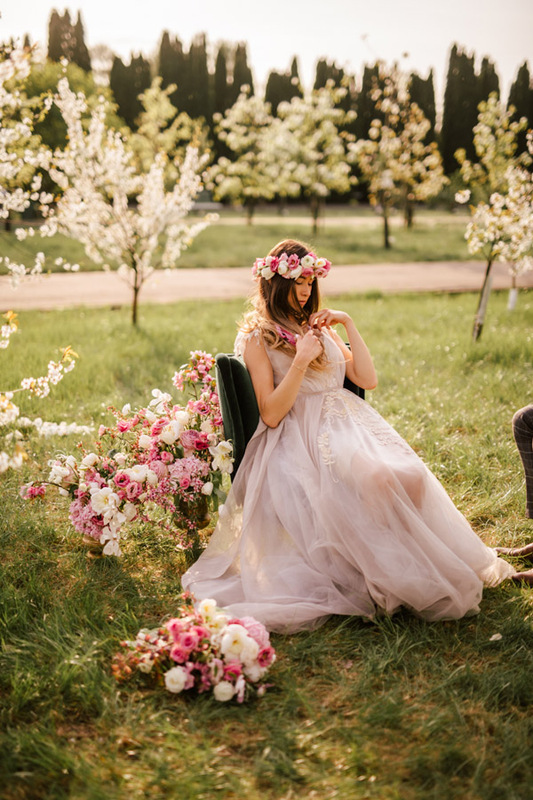 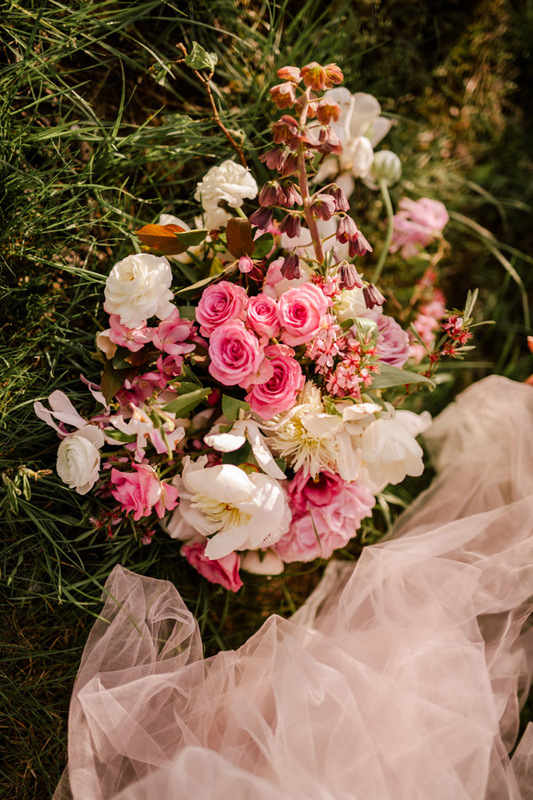 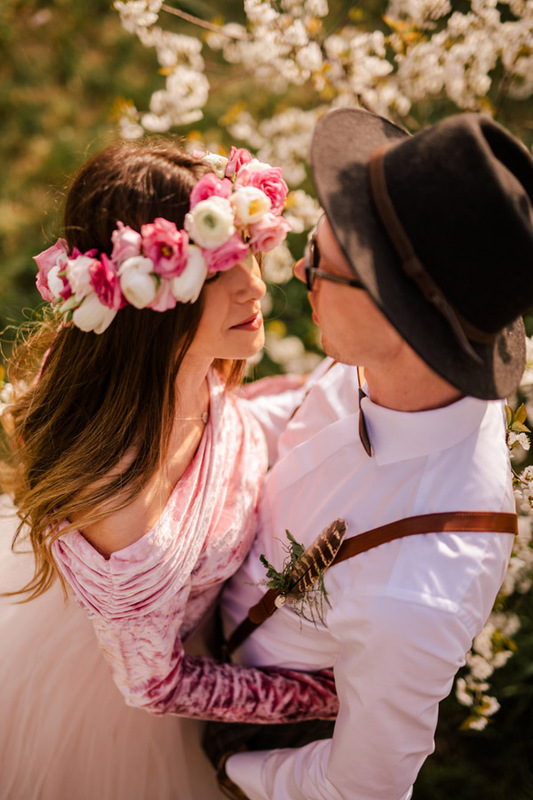 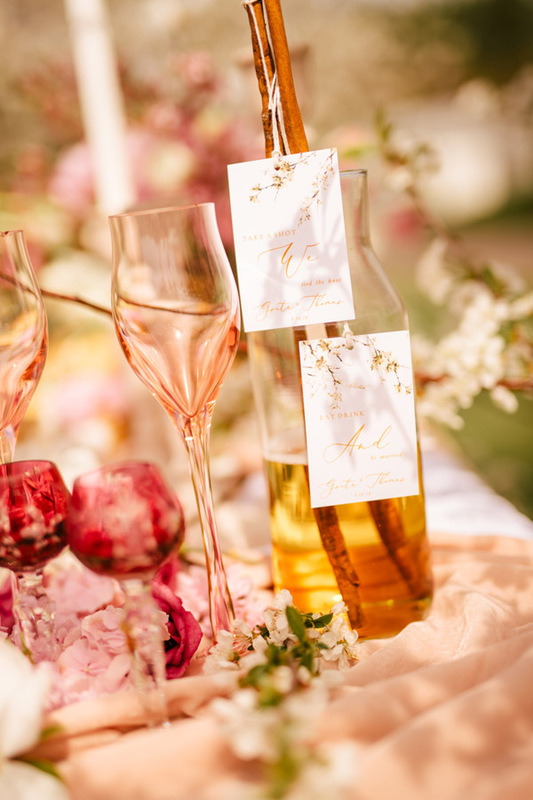 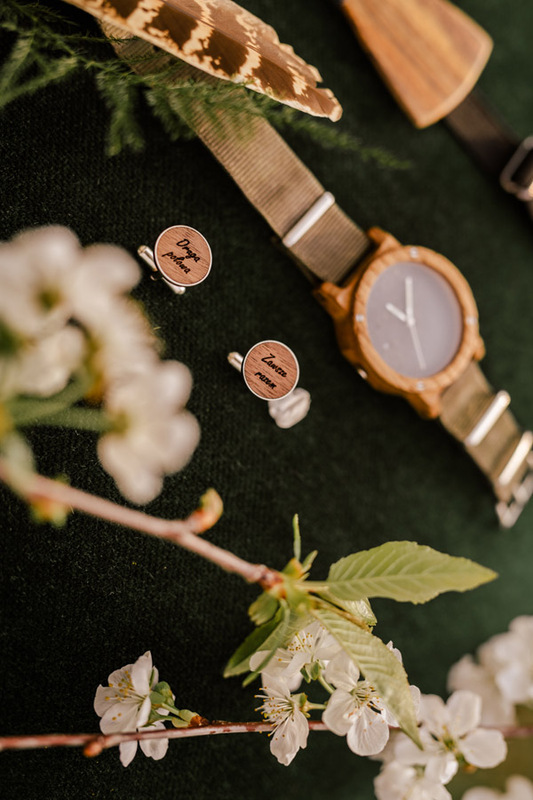 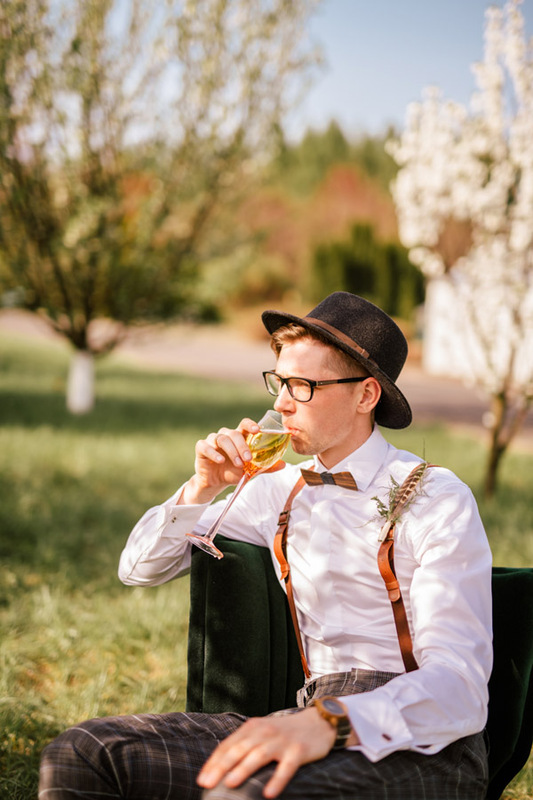 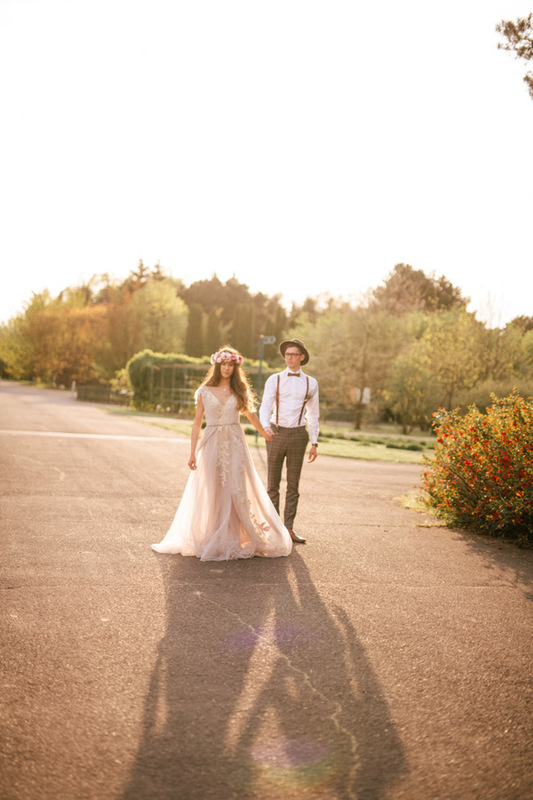 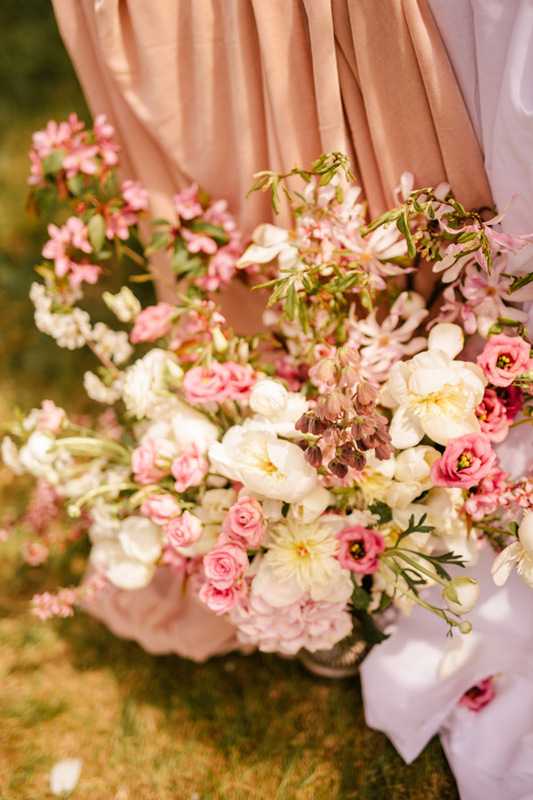 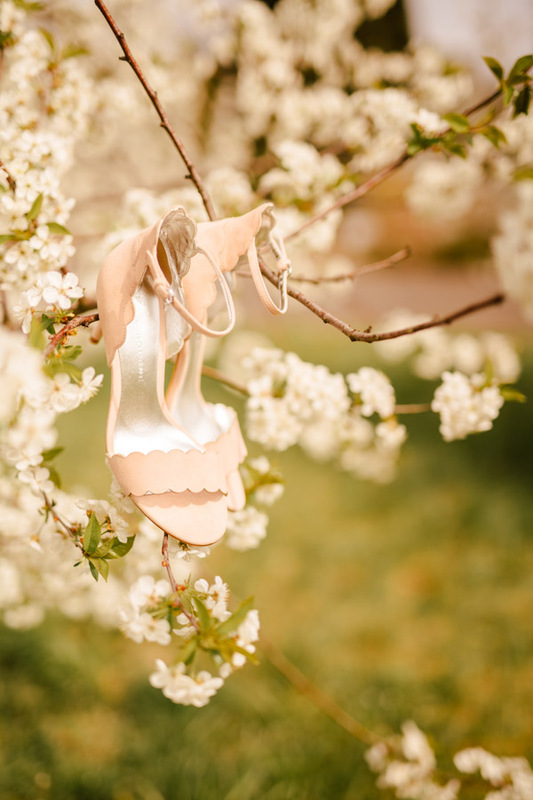 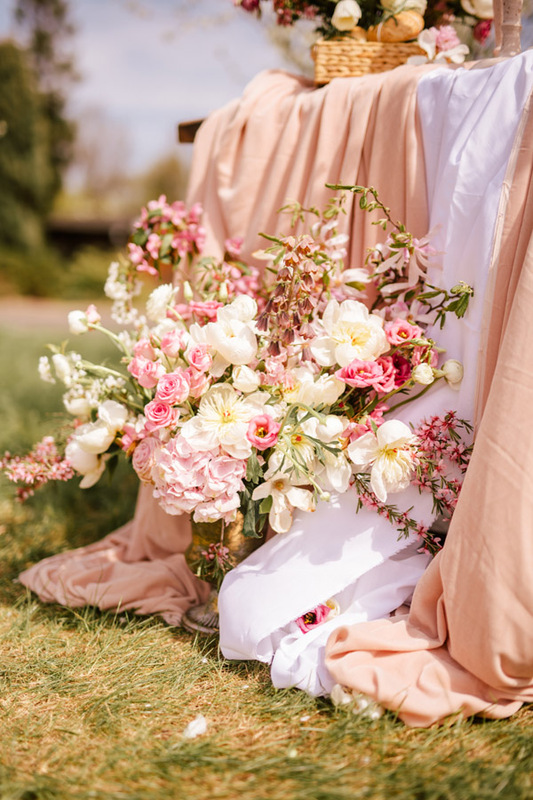 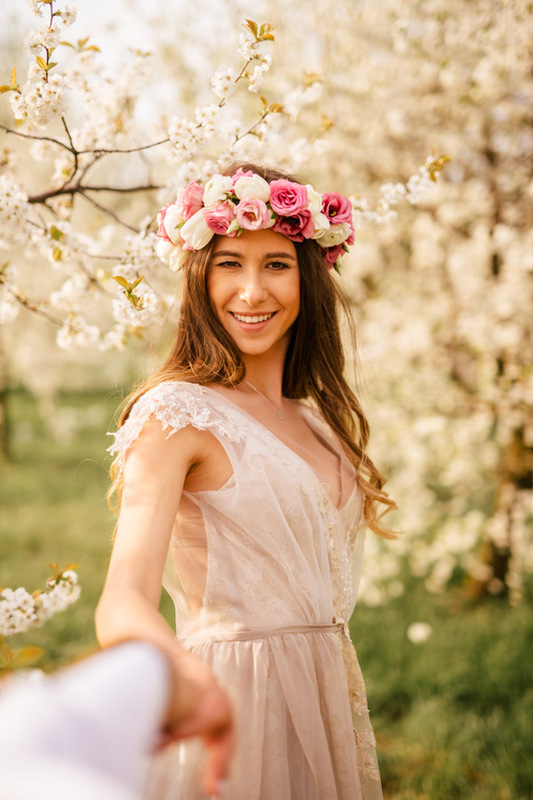 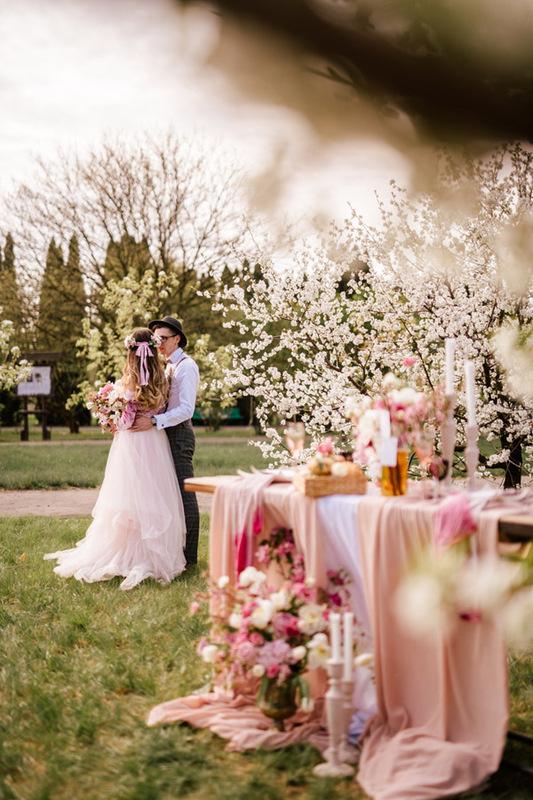 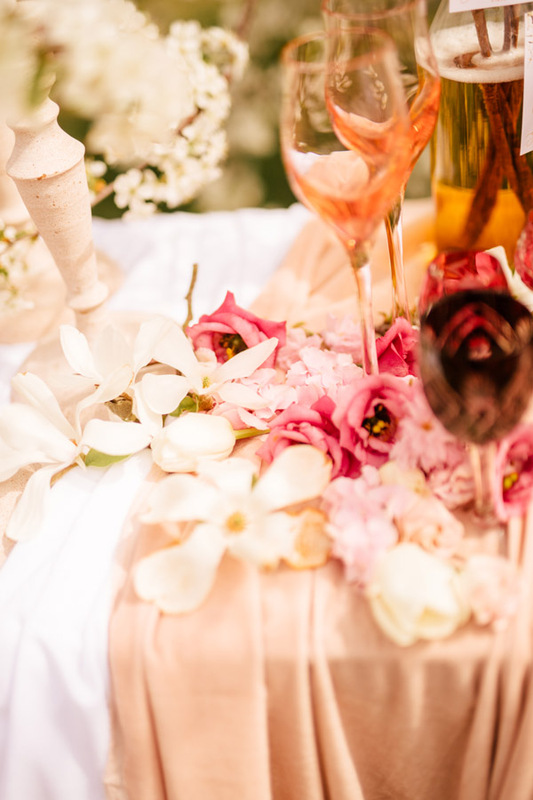 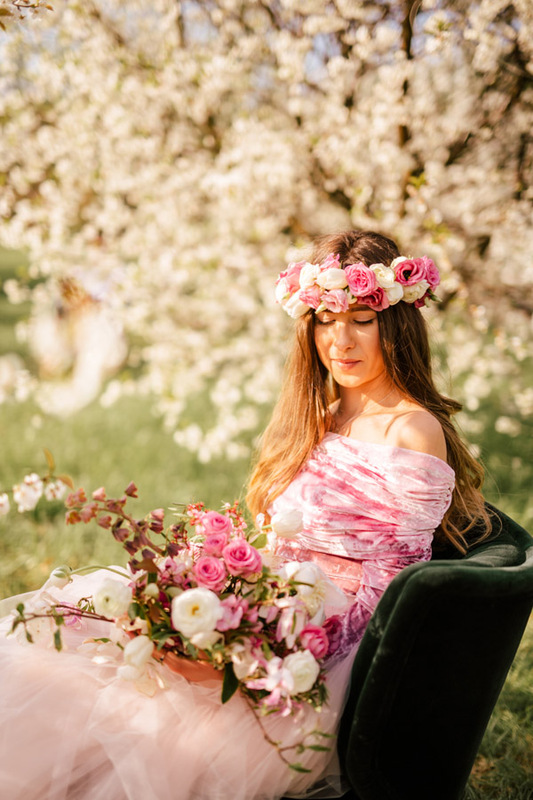 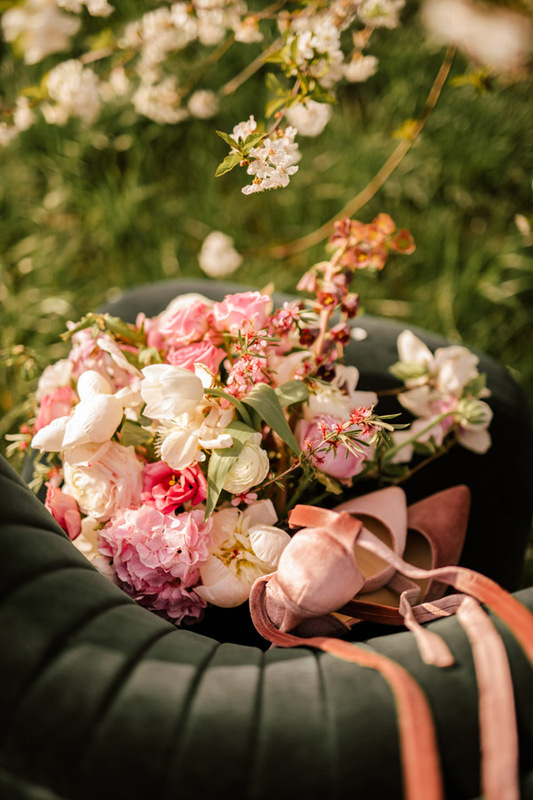 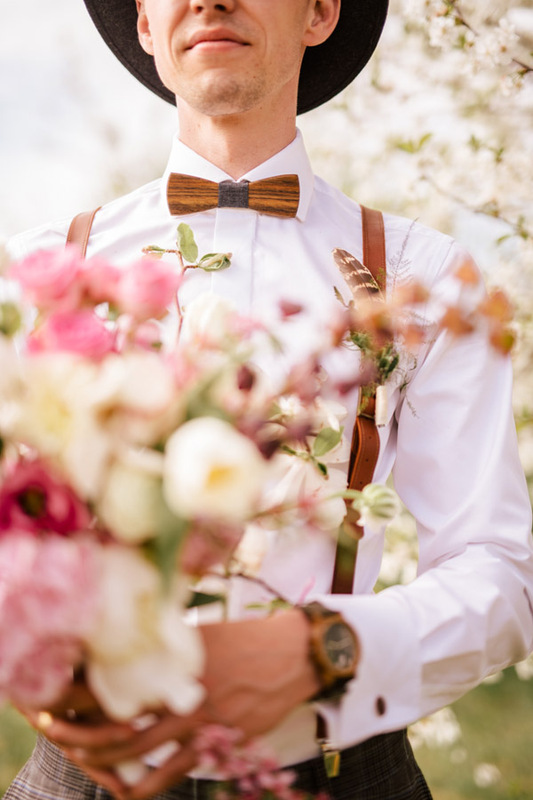 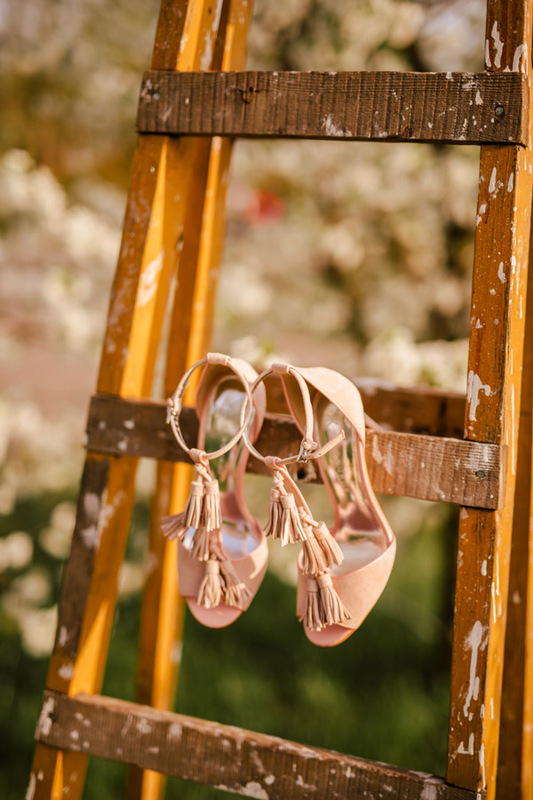 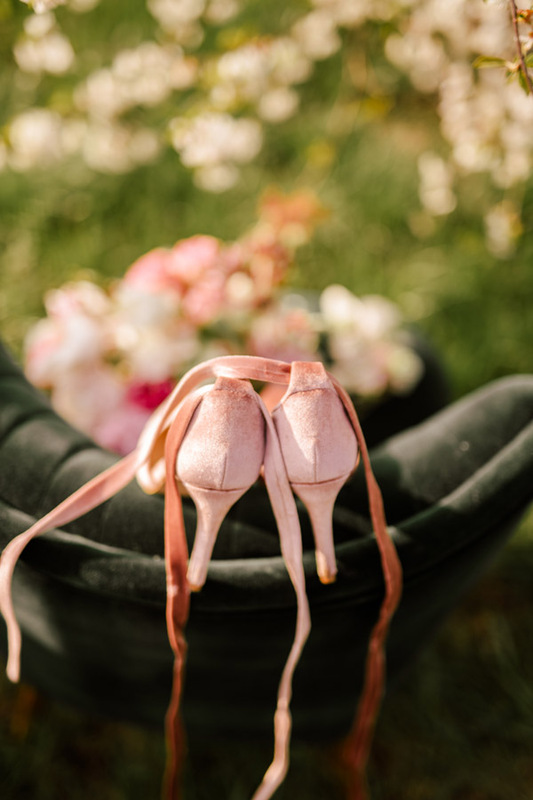 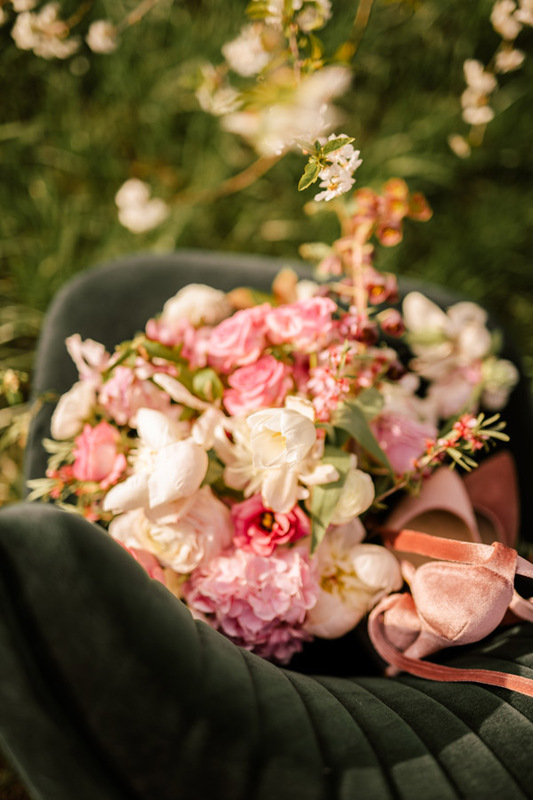 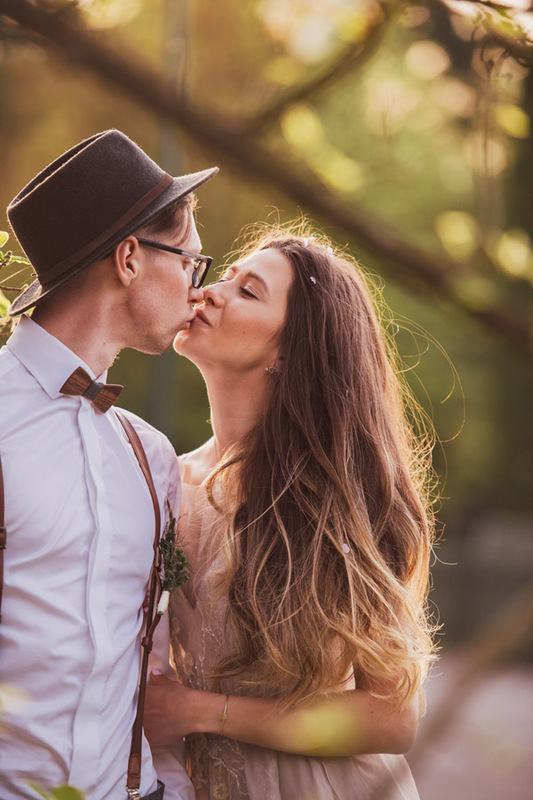 Wedding in the garden with blooming flowers is one of the hottest trend last years weddings. 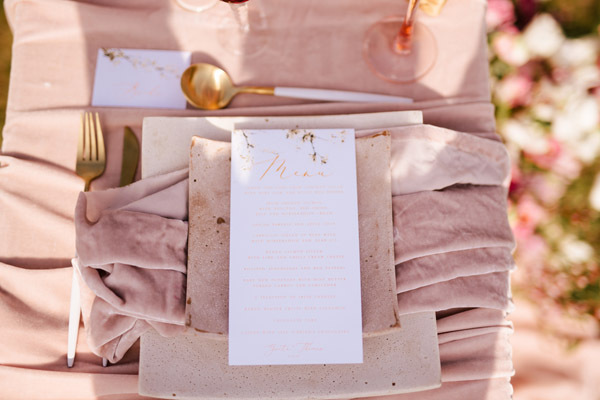 We decided for delicate pastel color scheme with accents of hot pink. 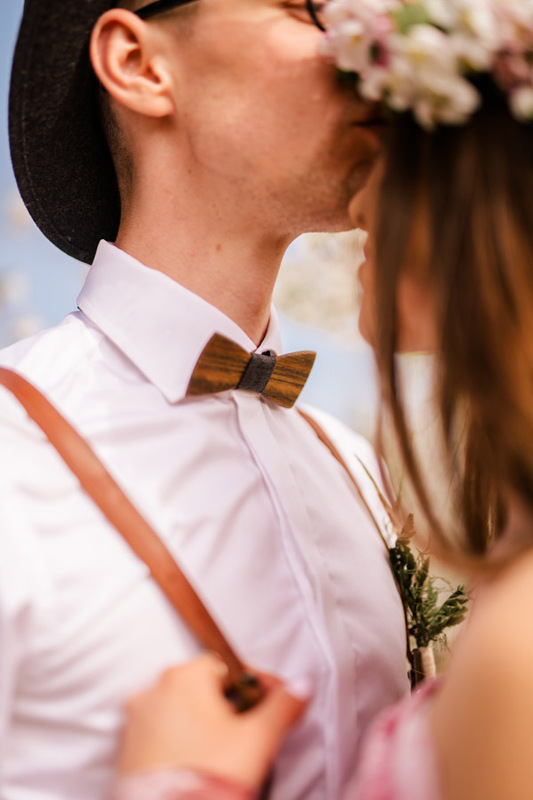 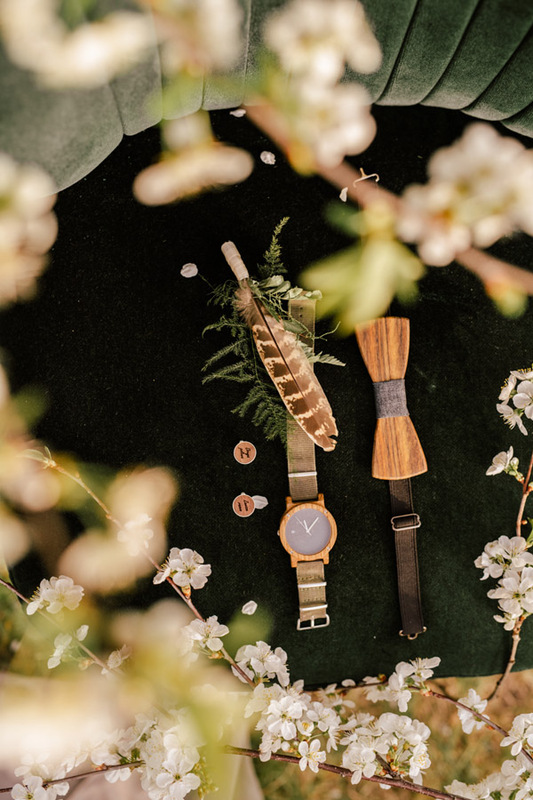 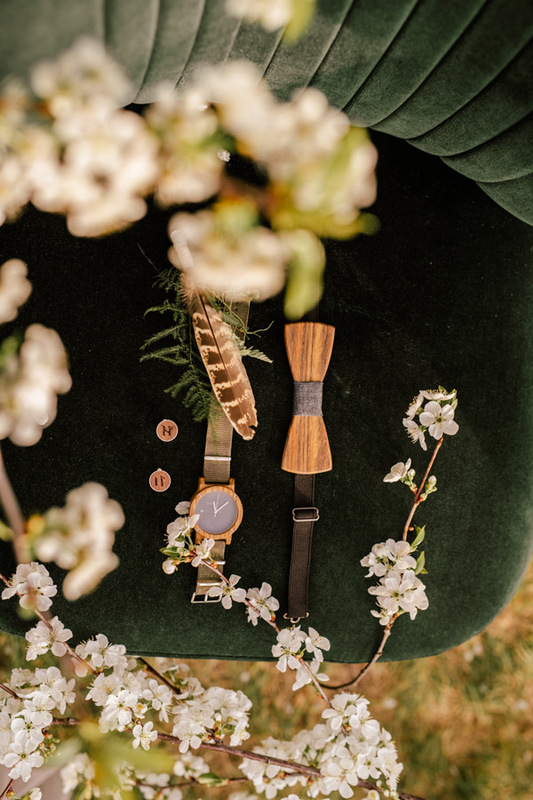 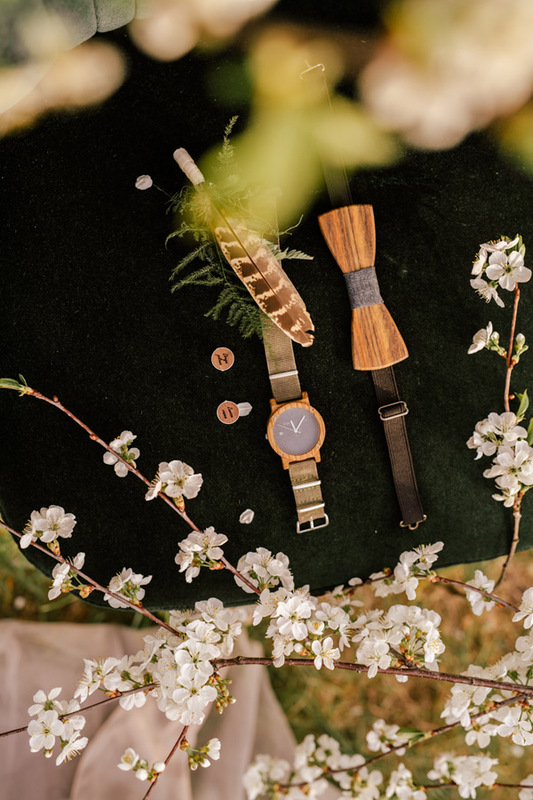 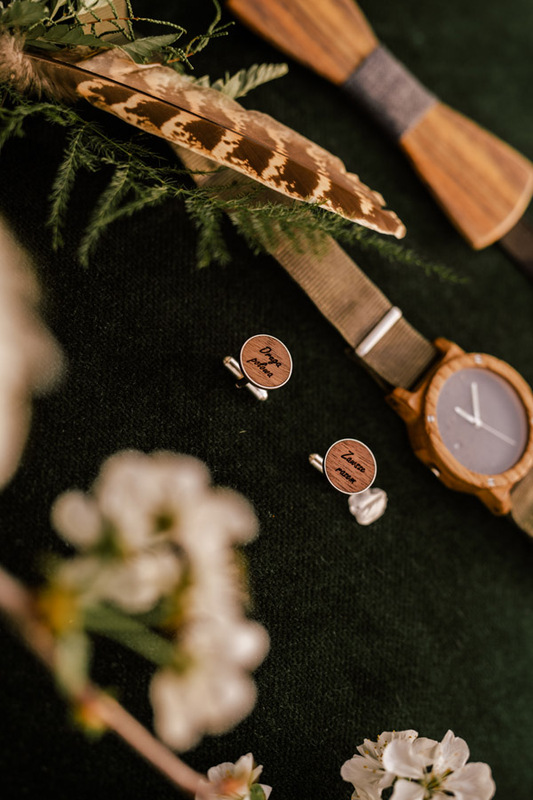 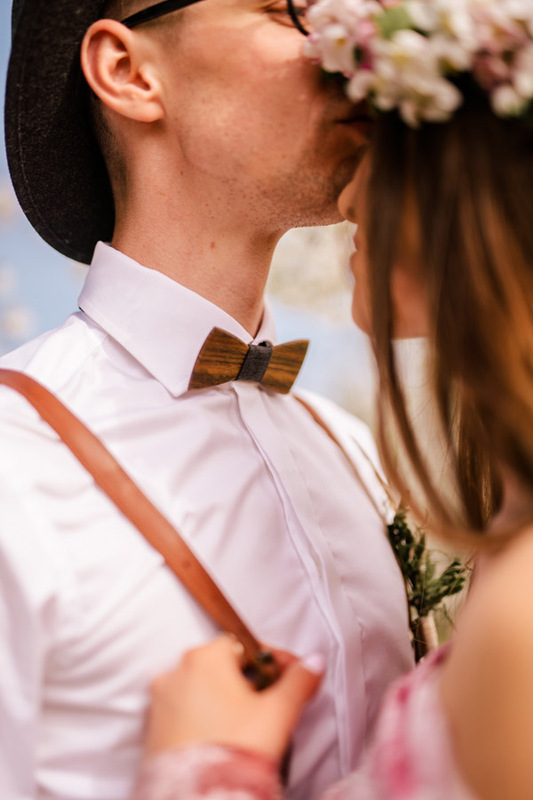 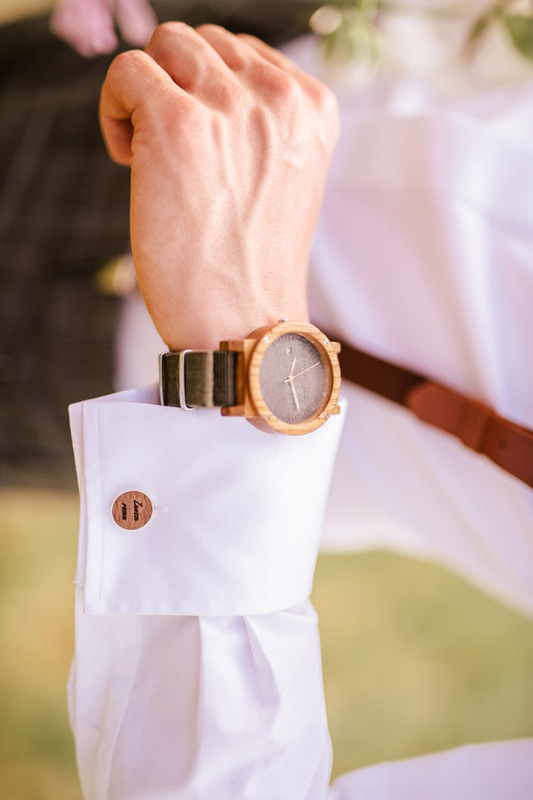 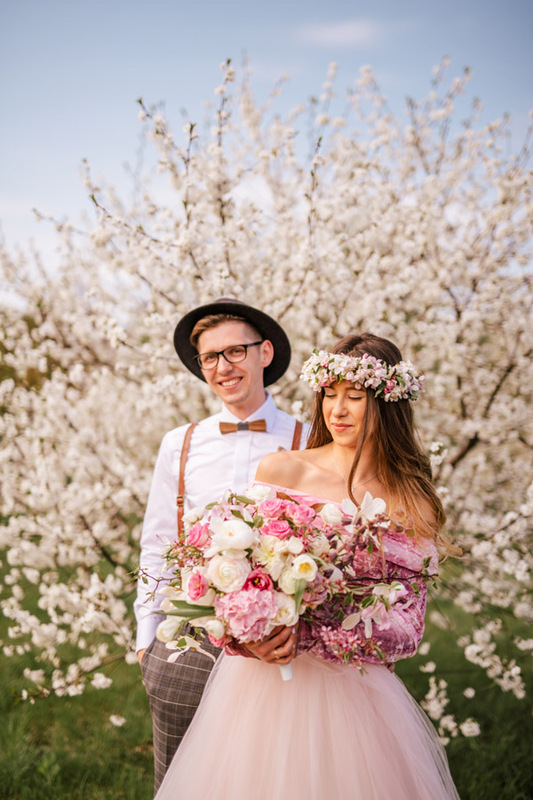 Just take a look at our charming couple! 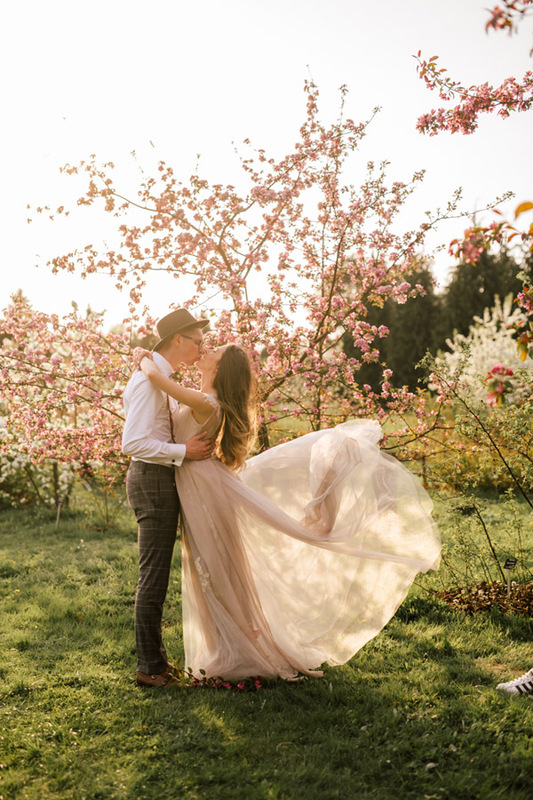 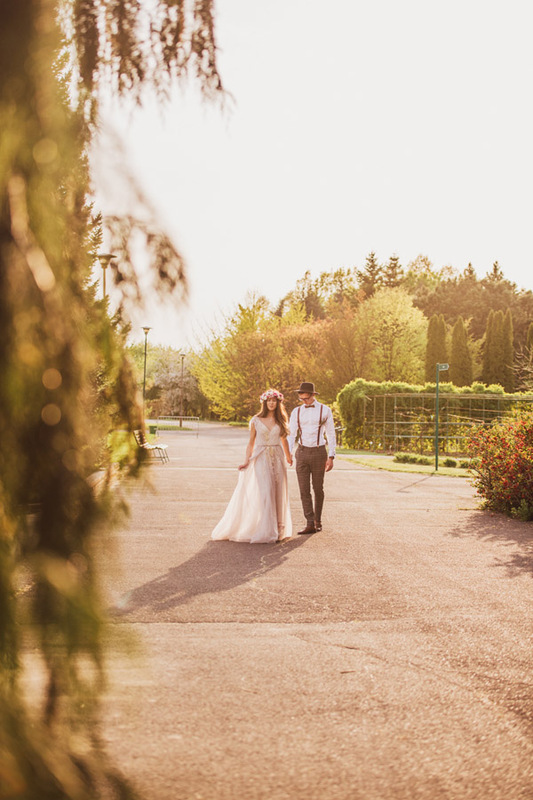 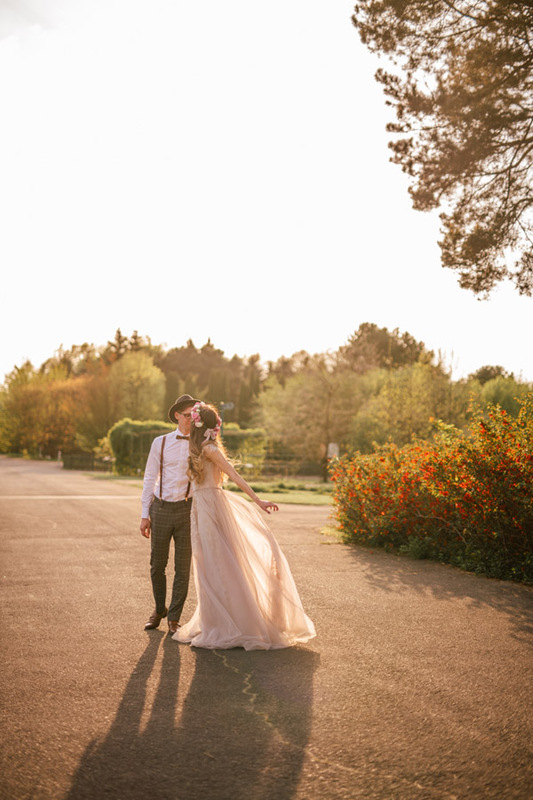 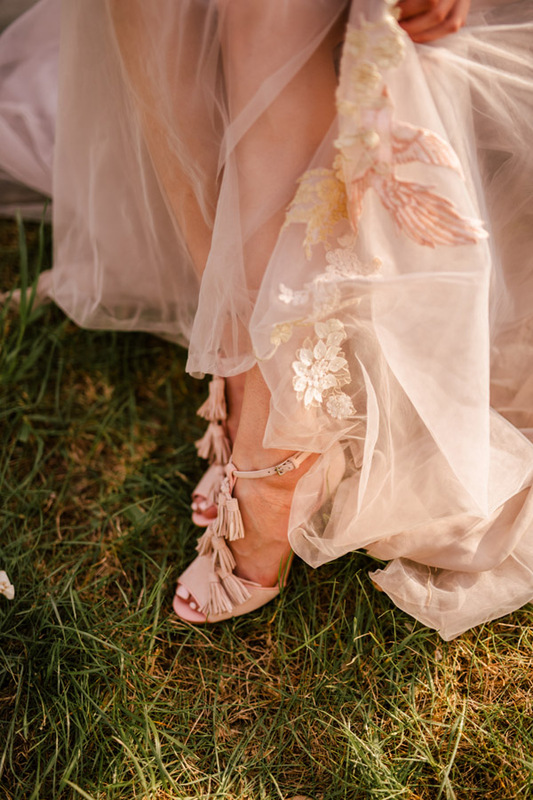 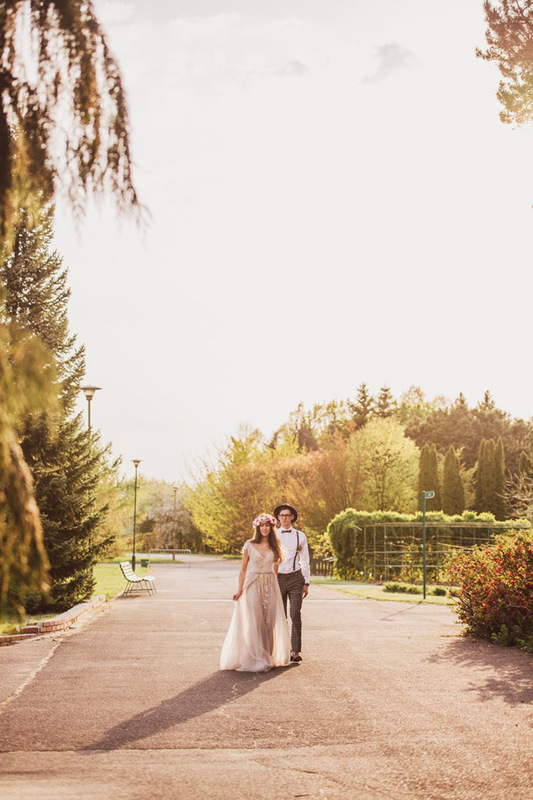 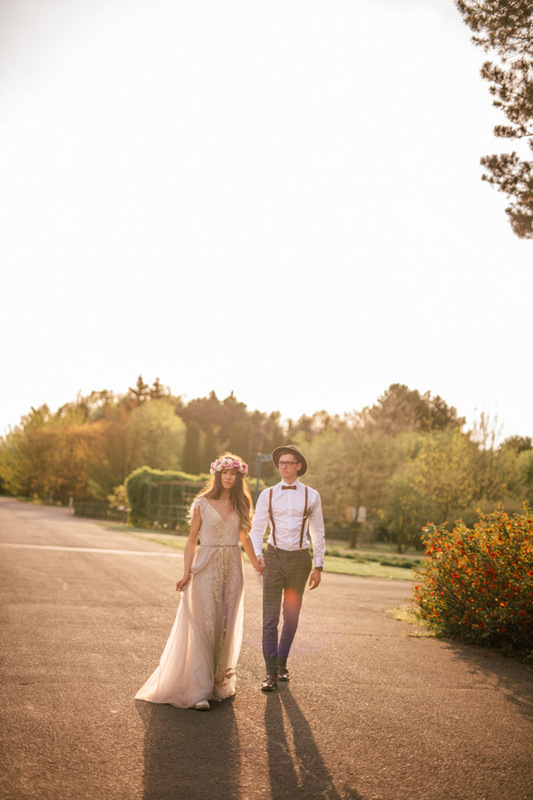 We couldn’t decide for one wedding dress, so our bride wore two stunning gowns! 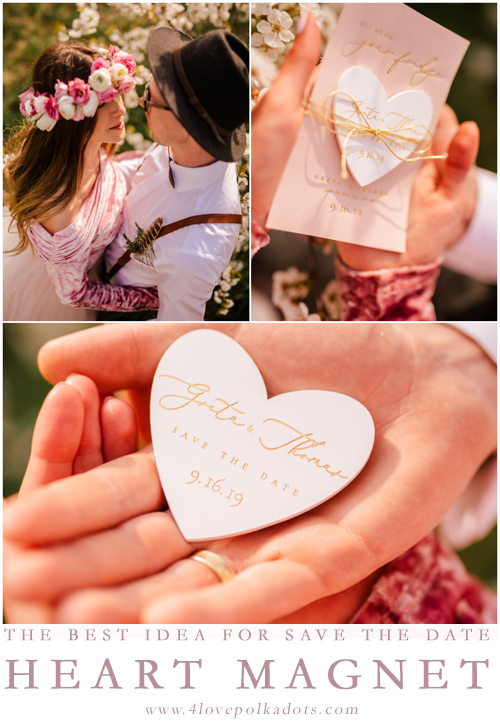 Delicate, blush velvet with pastel colors suits perfectly to our cherry blossom invitations and heart save the dates with pink printout. 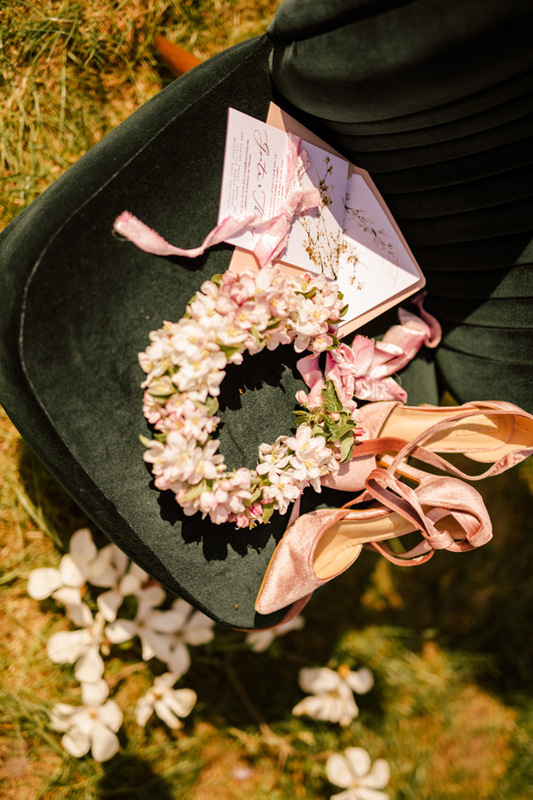 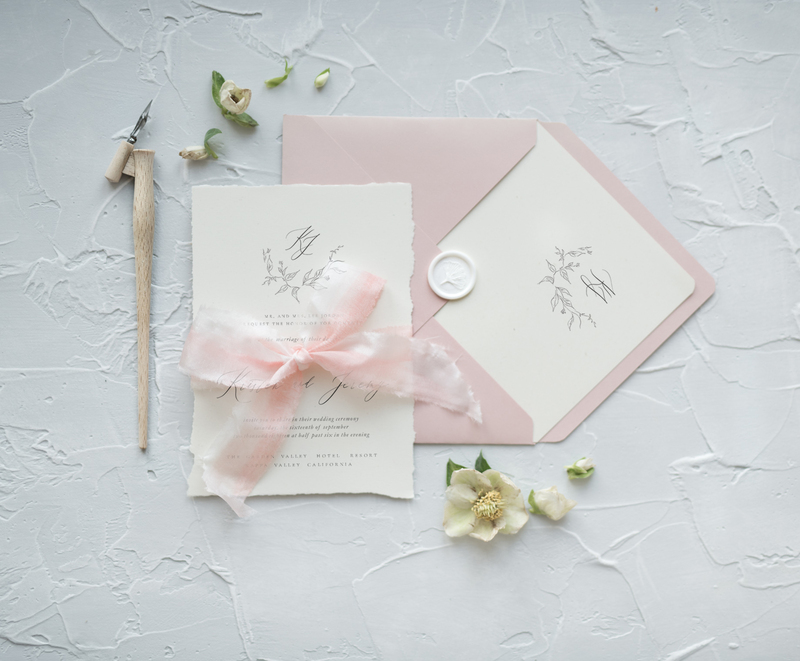 This design of wedding stationery is the hottest trend of last months – single cards, botanical design and hand dyed velvet ribbon makes fresh, romantic and modern look. 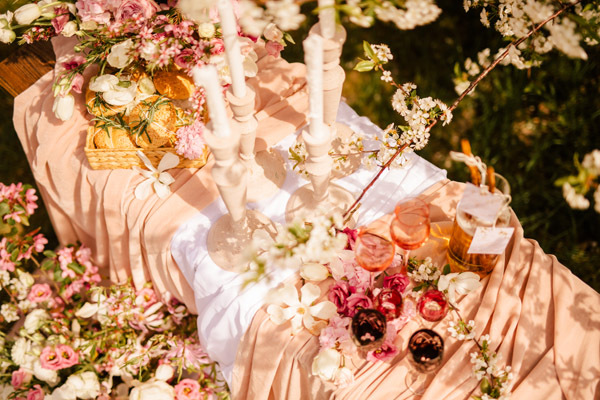 Wedding in garden with blooming flowers is one of the hottest trend last years weddings. 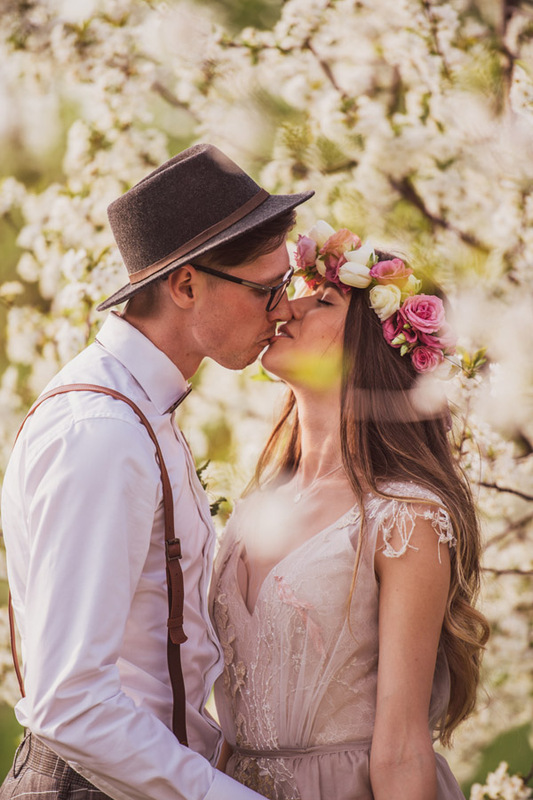 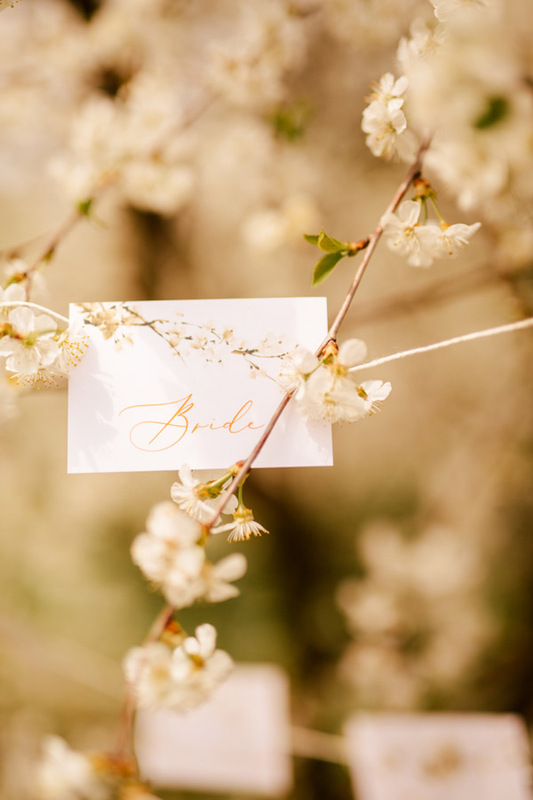 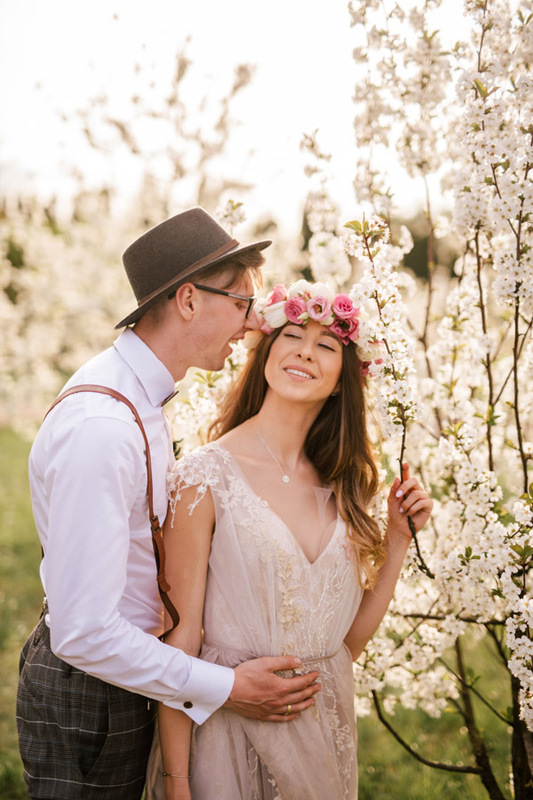 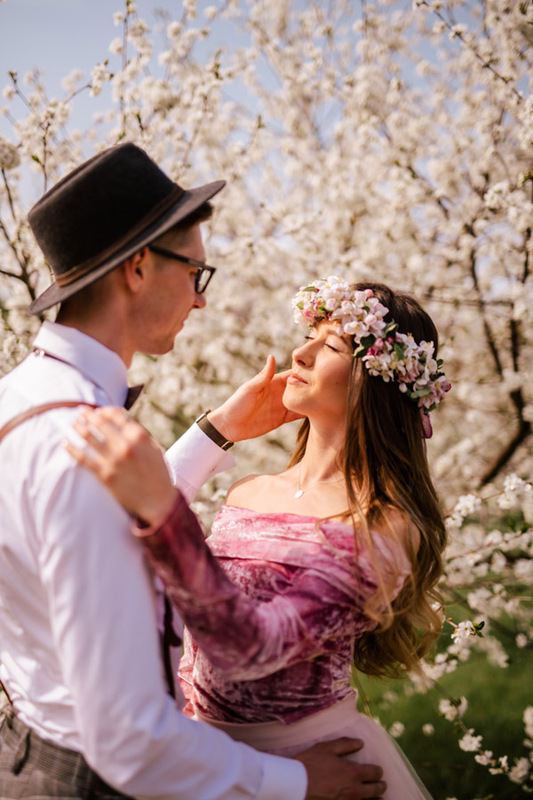 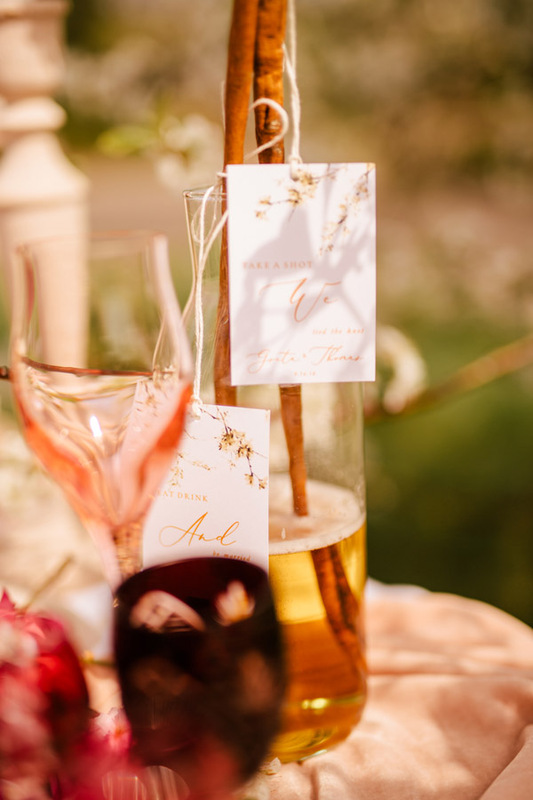 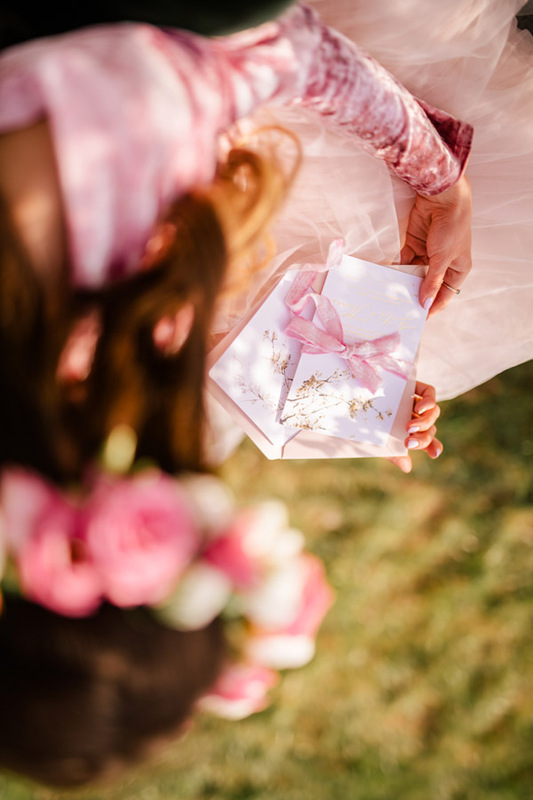 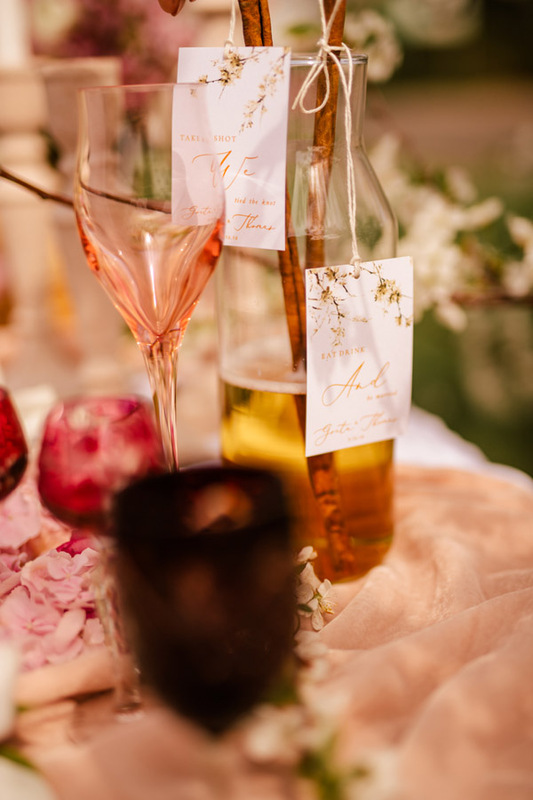 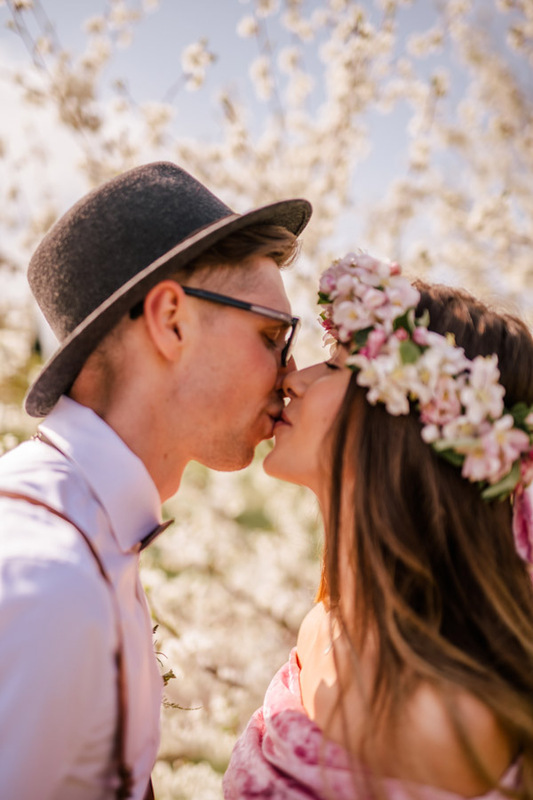 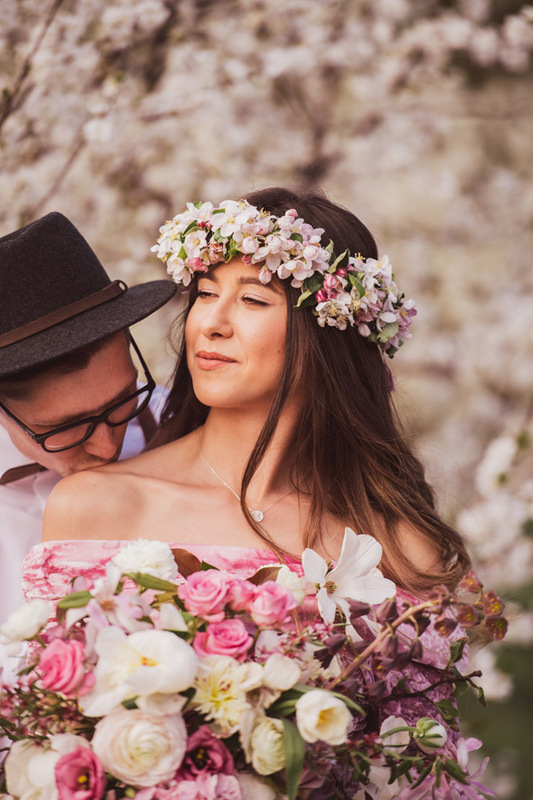 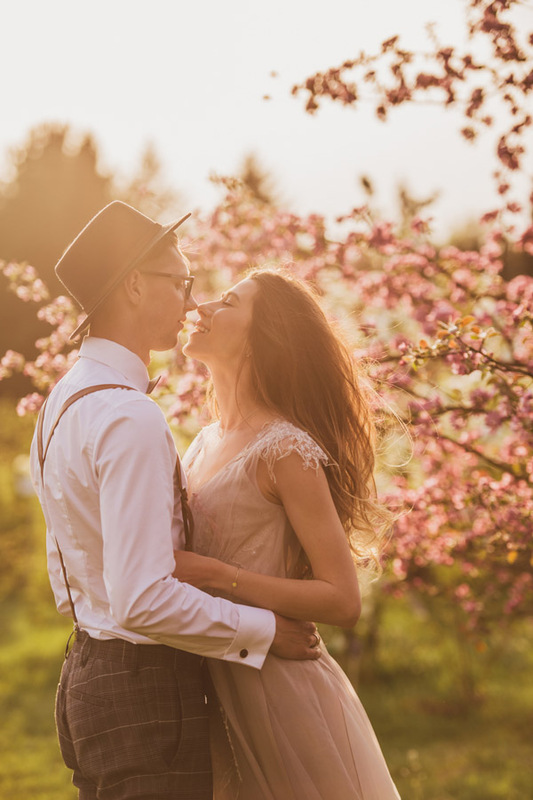 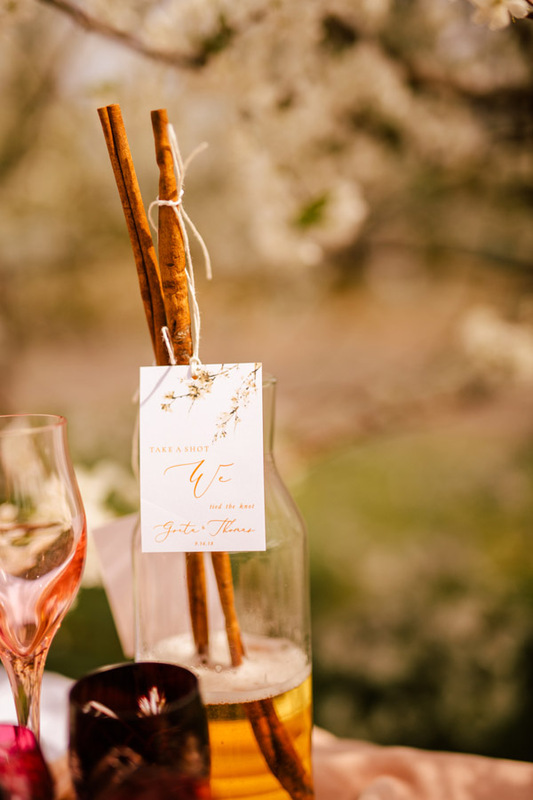 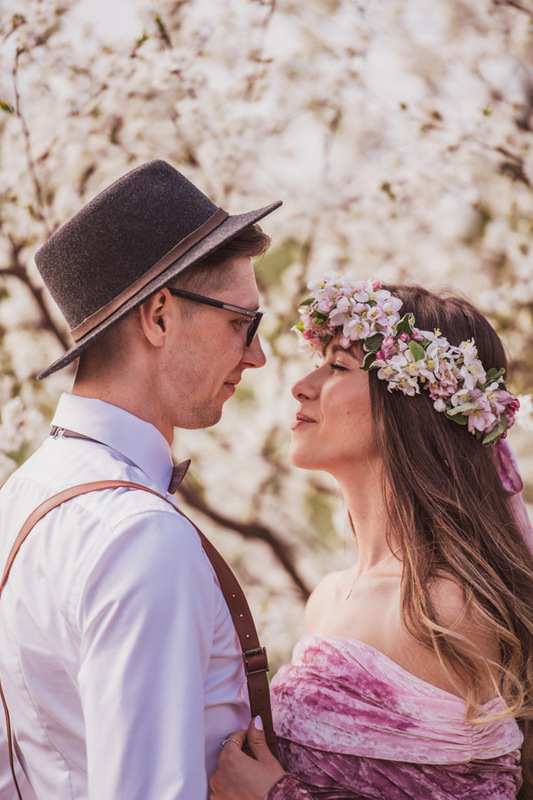 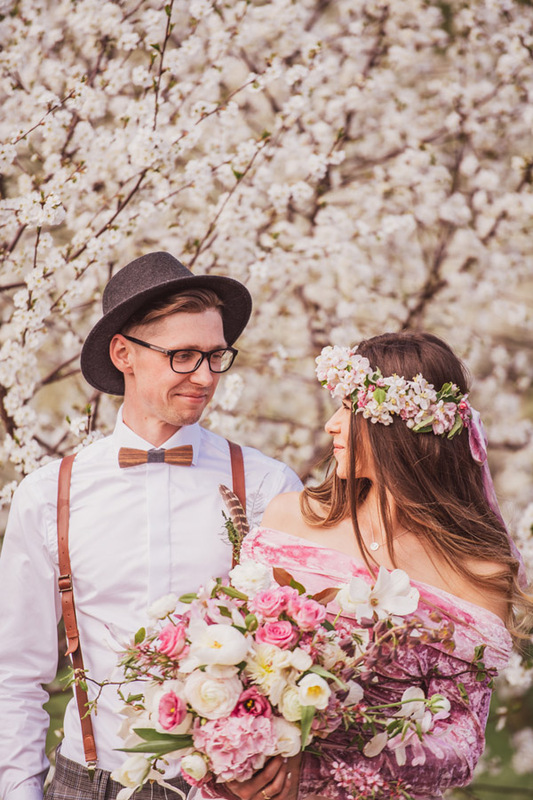 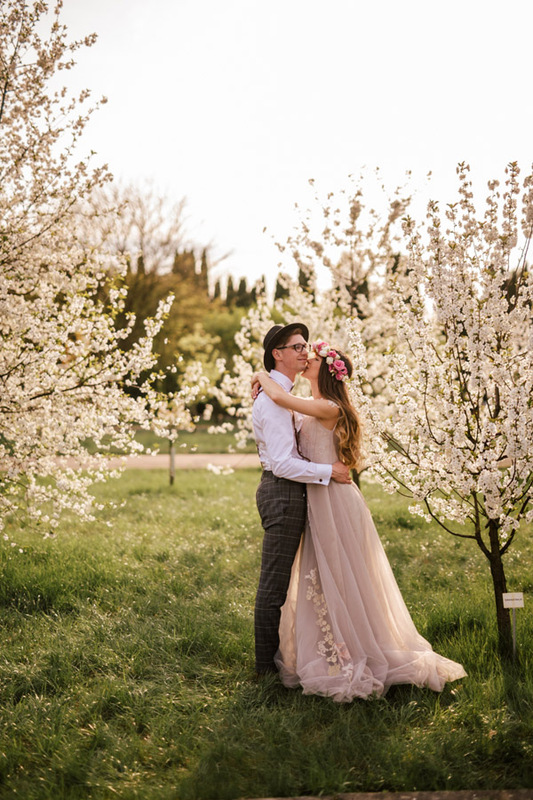 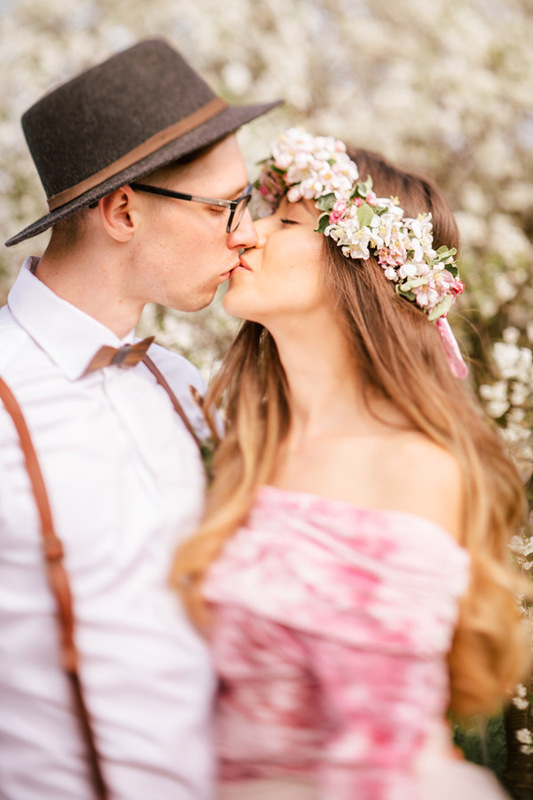 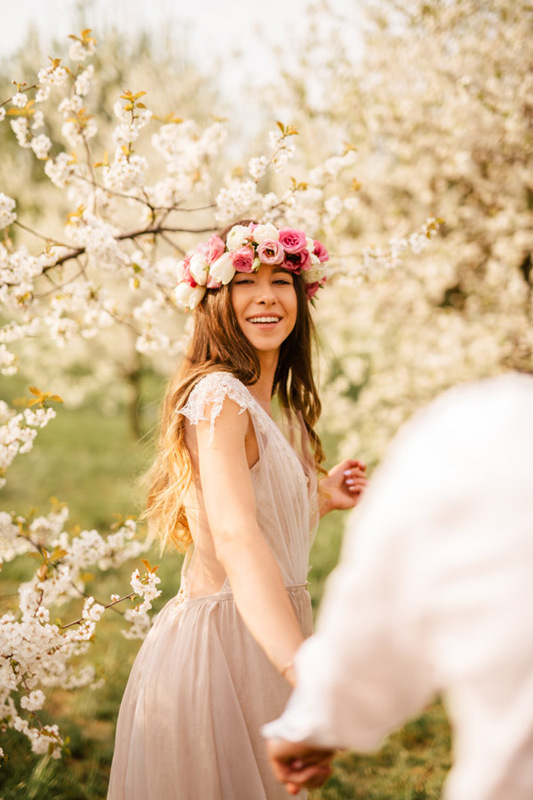 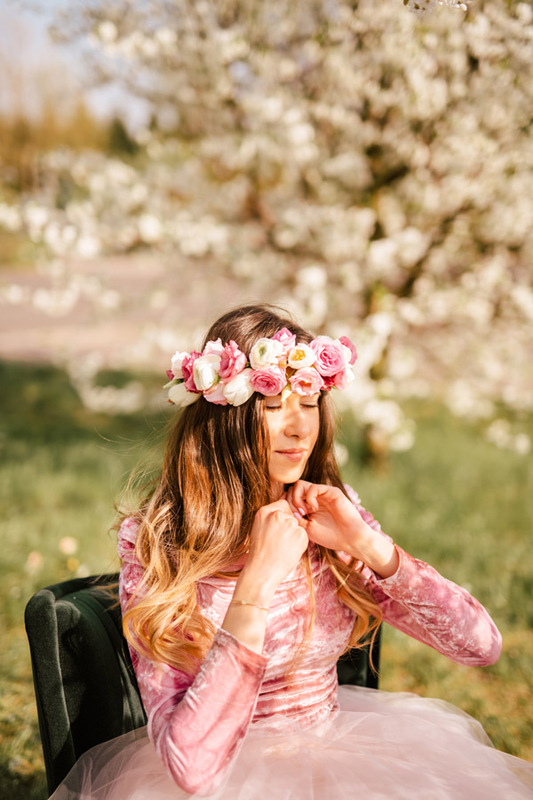 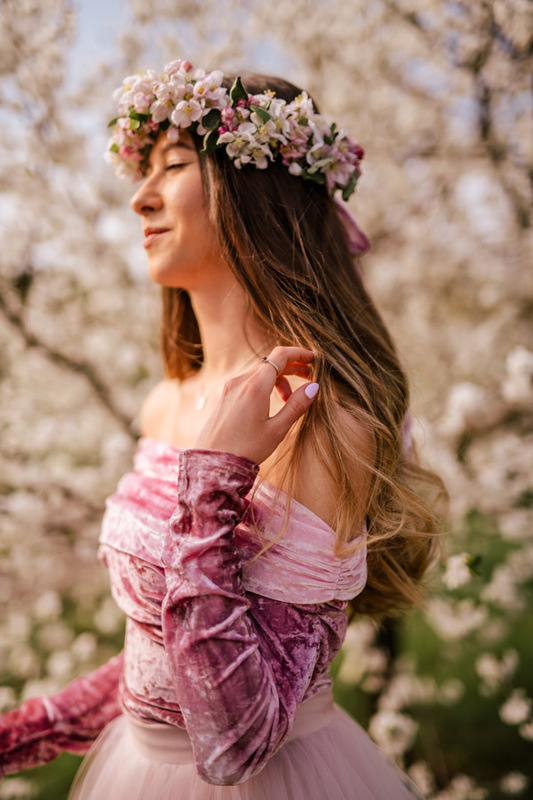 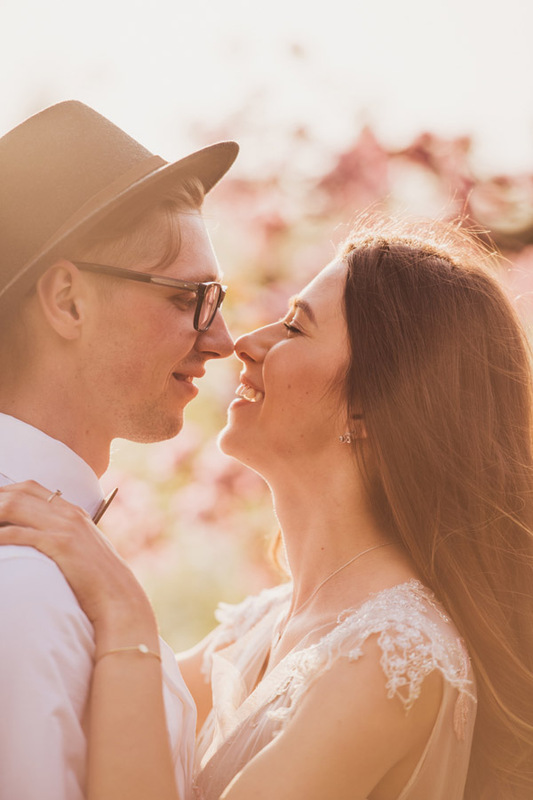 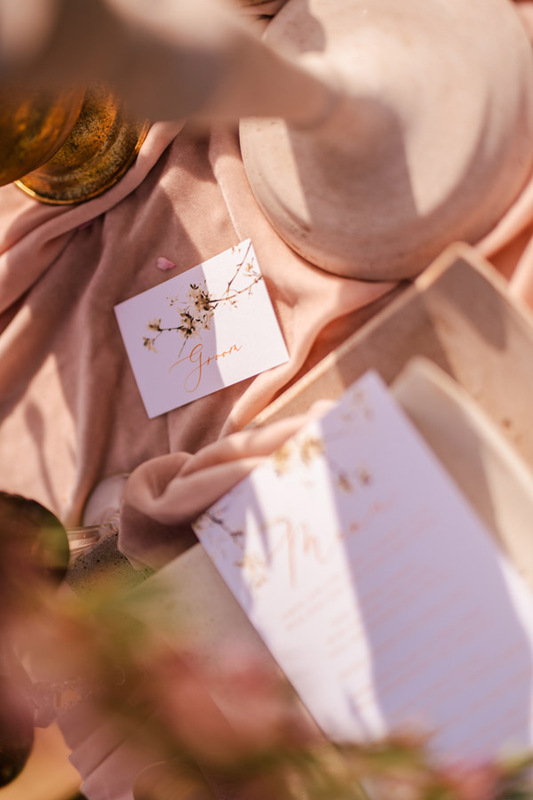 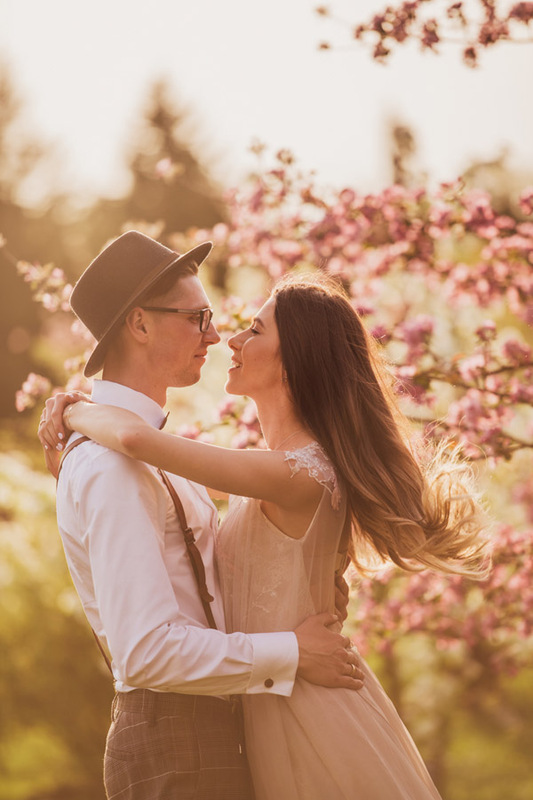 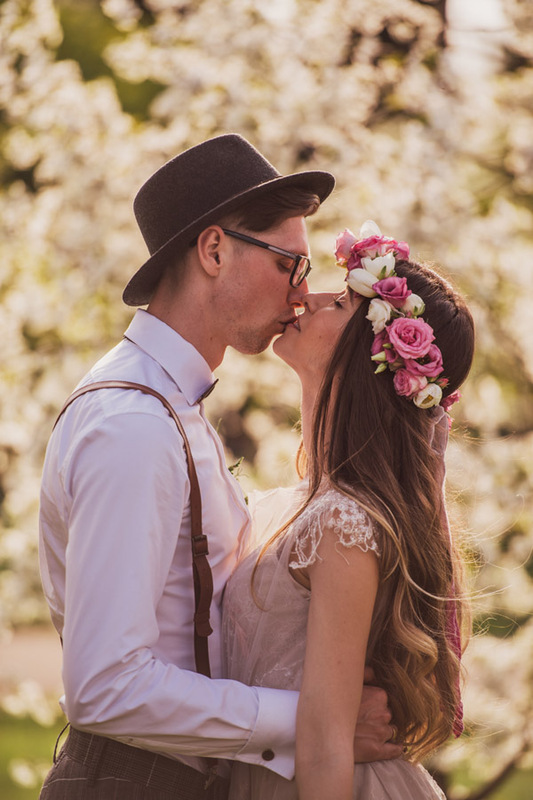 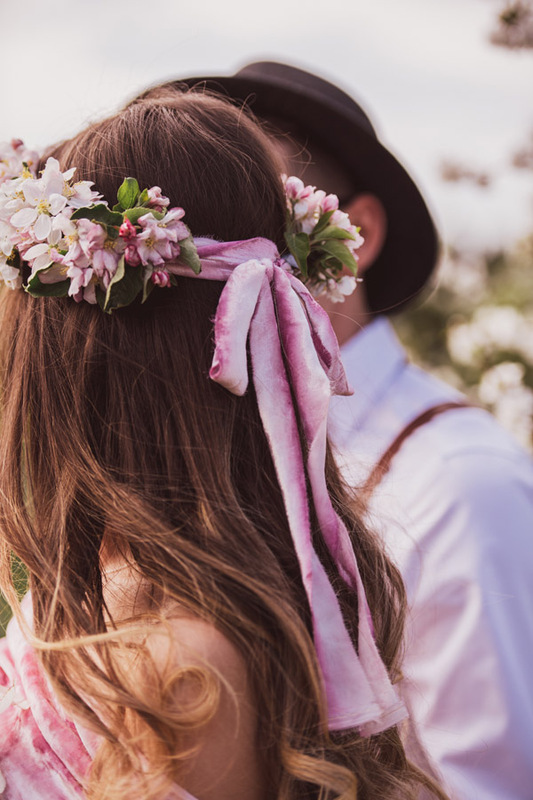 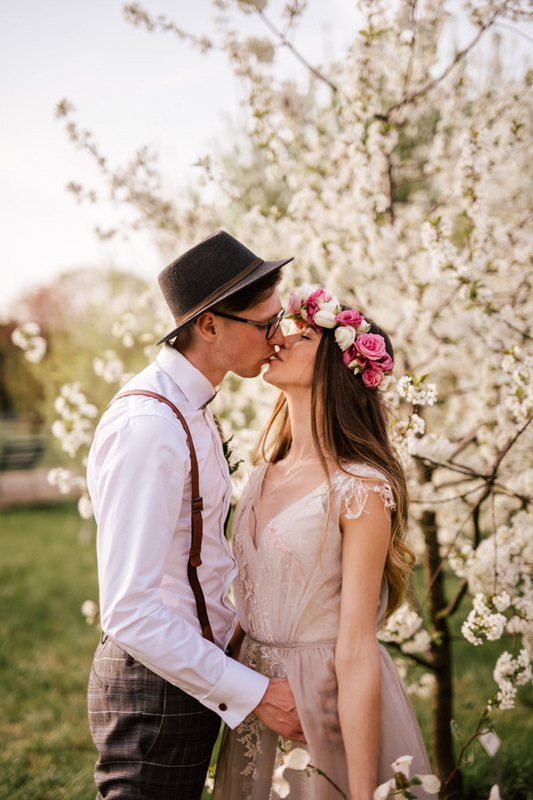 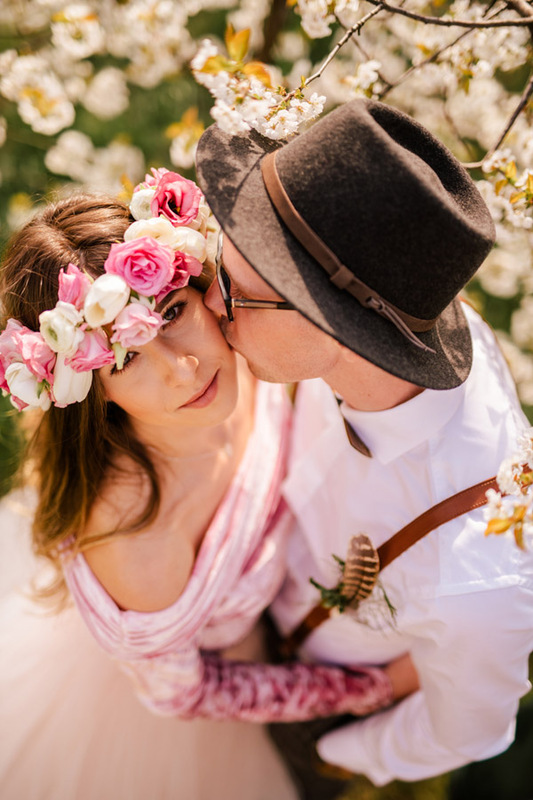 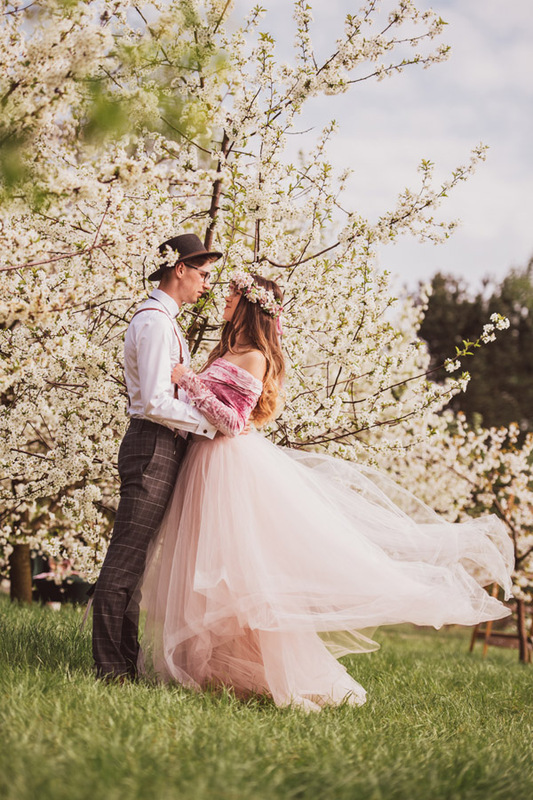 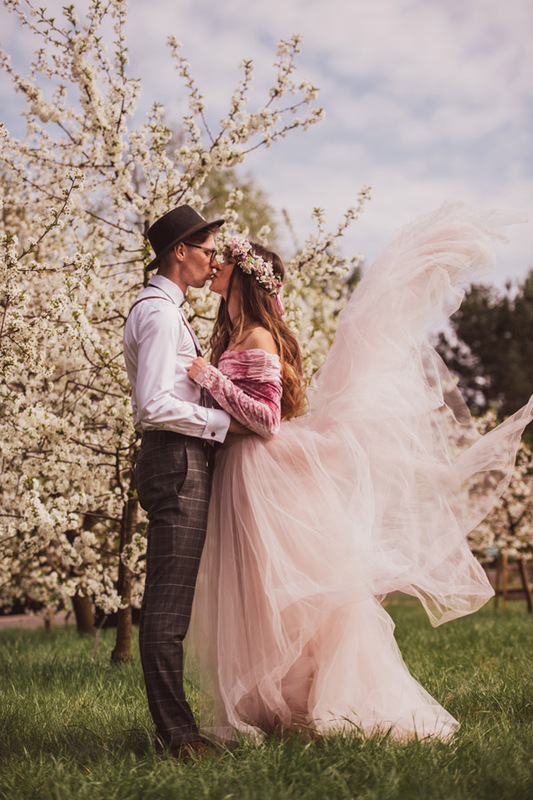 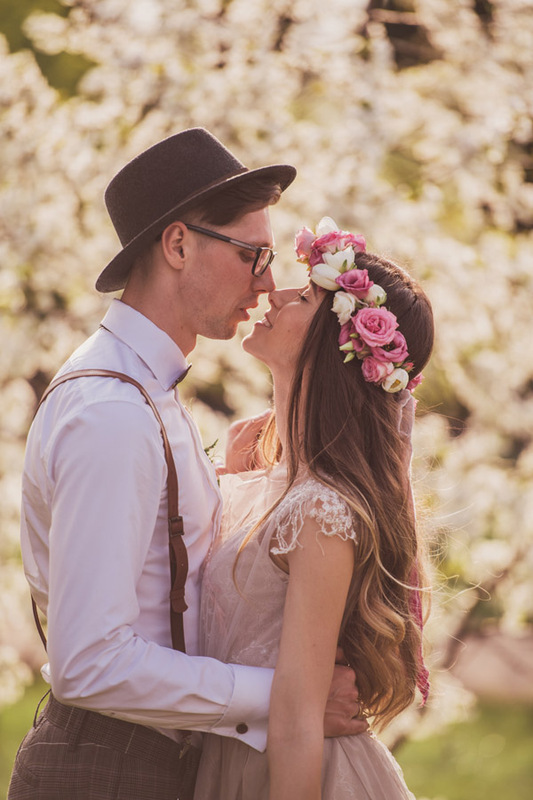 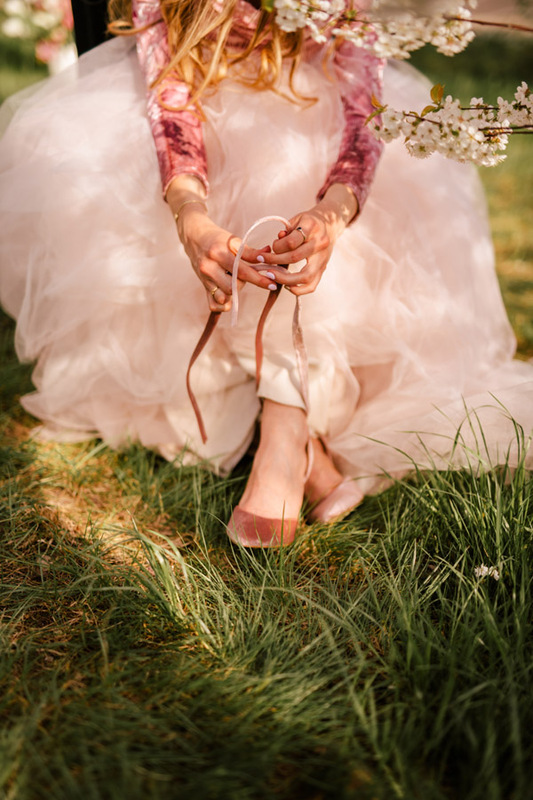 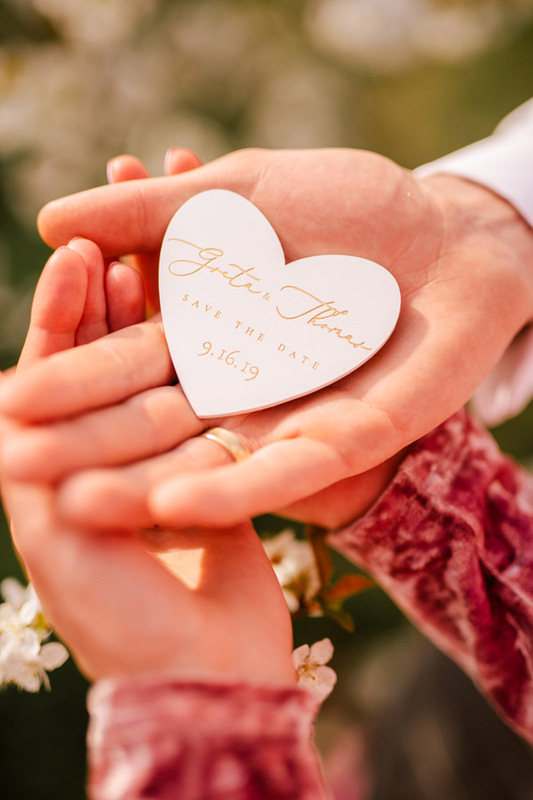 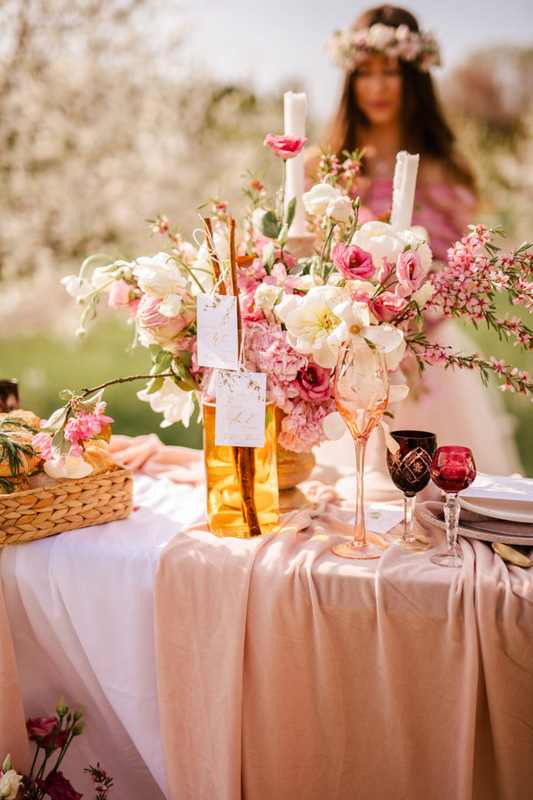 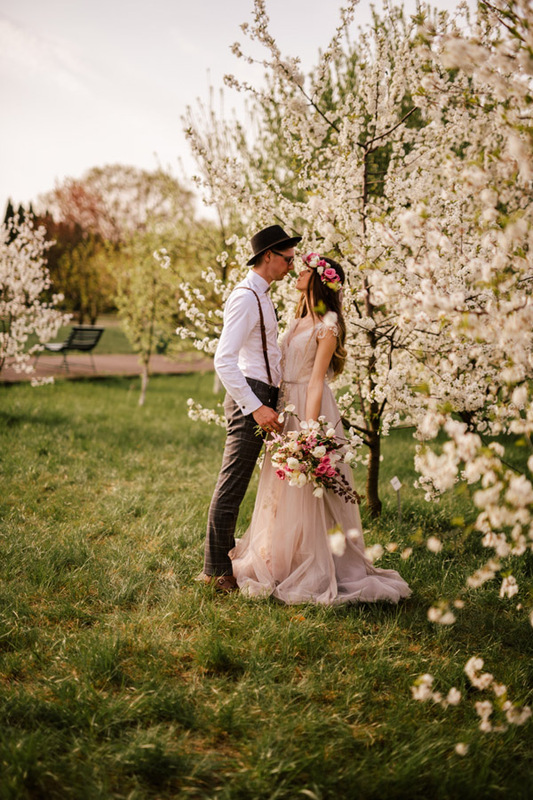 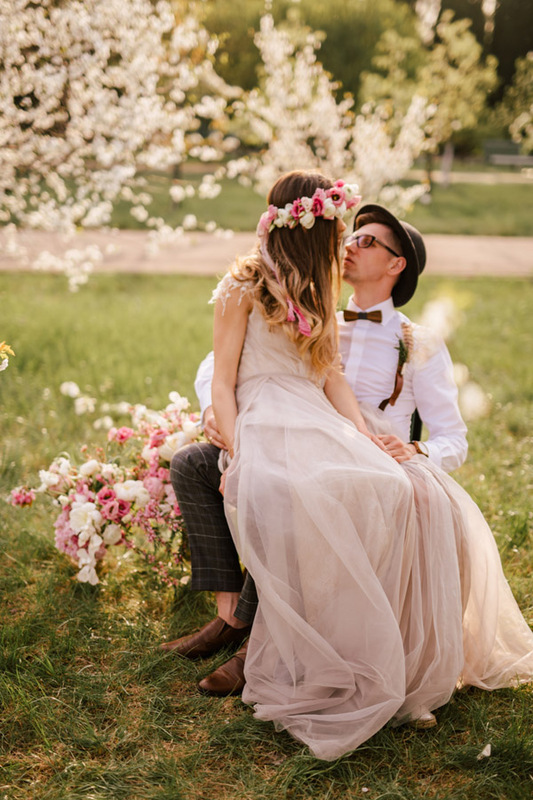 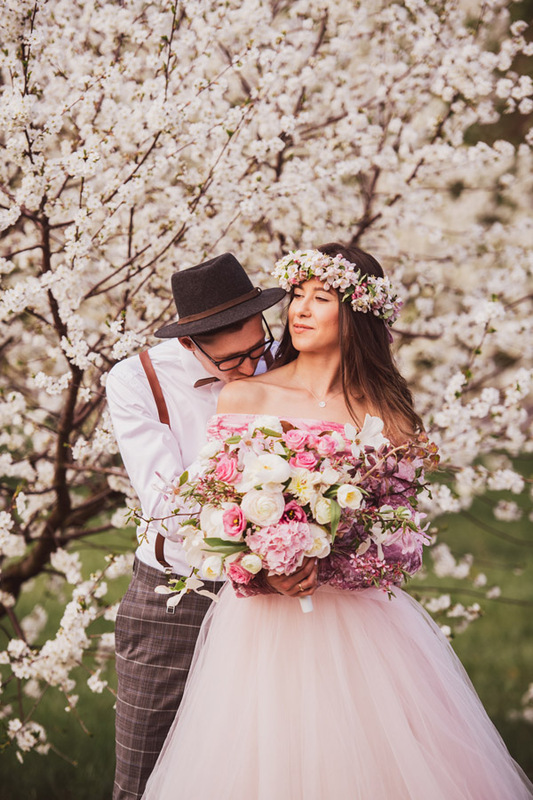 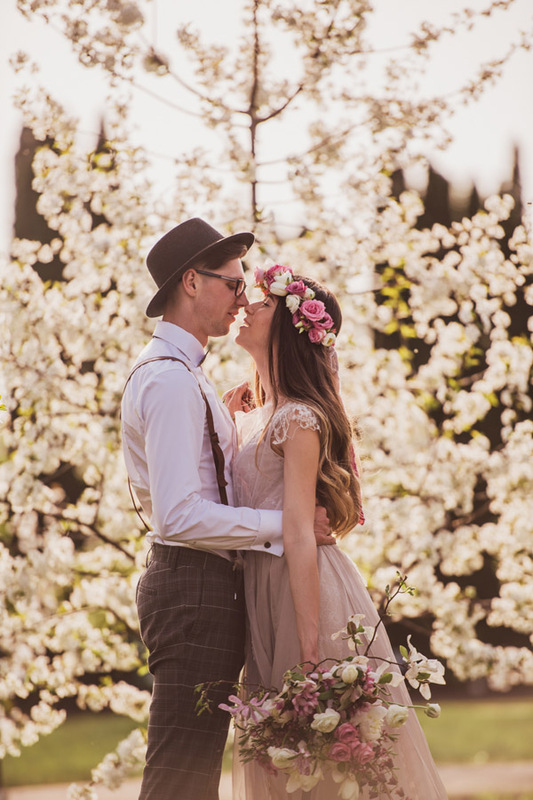 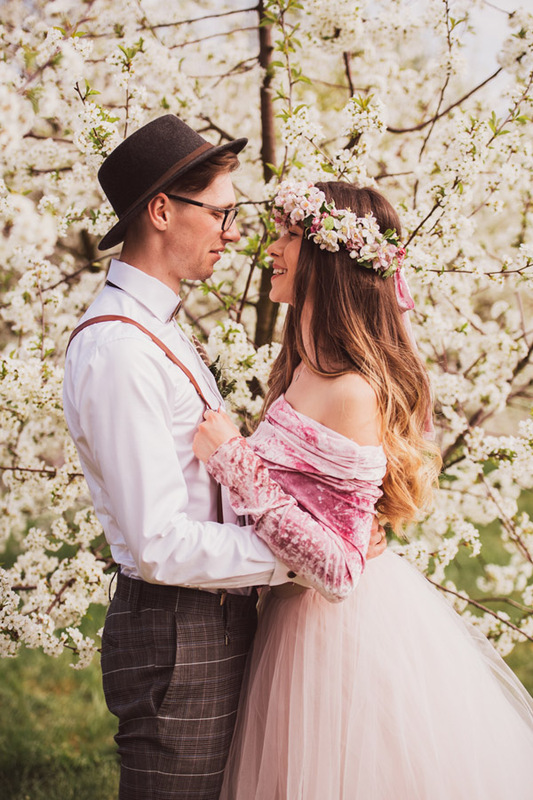 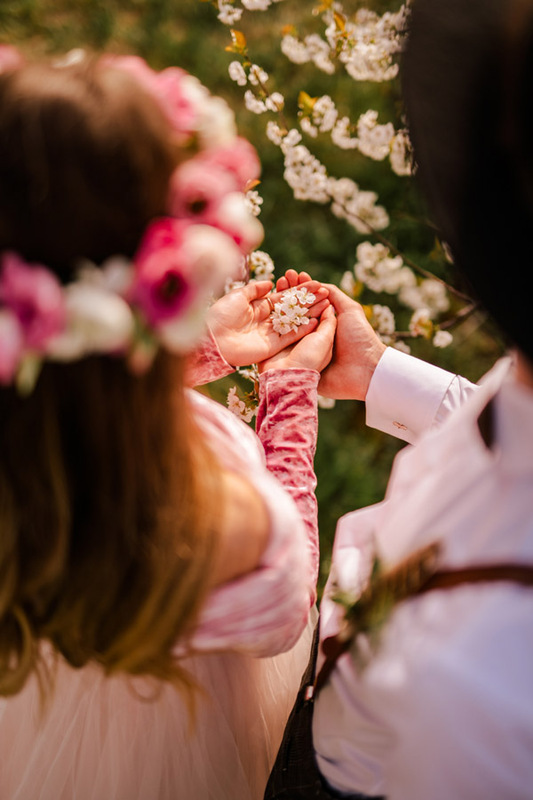 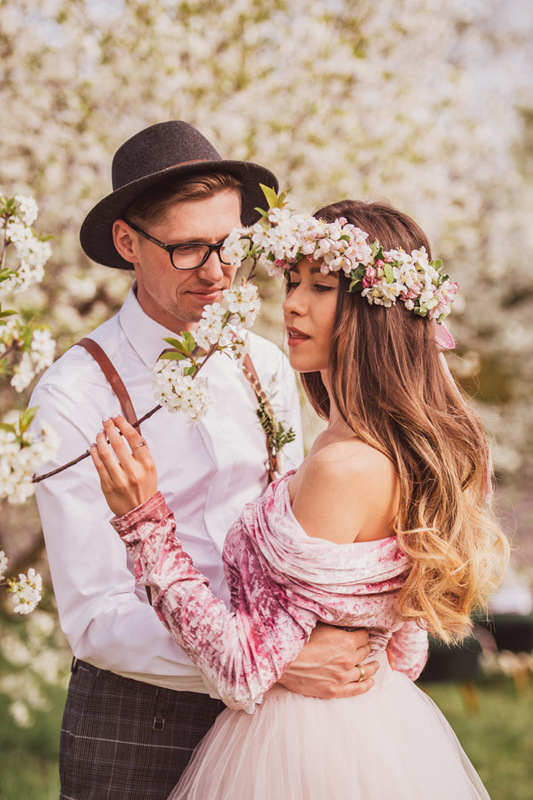 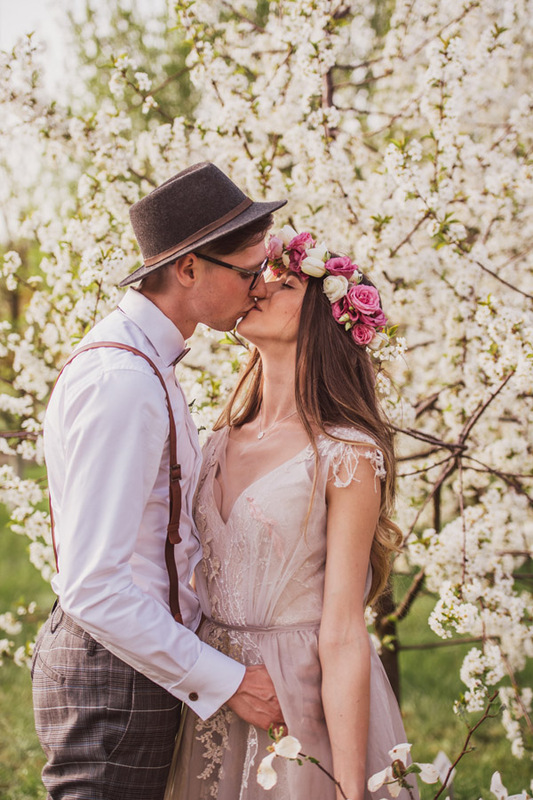 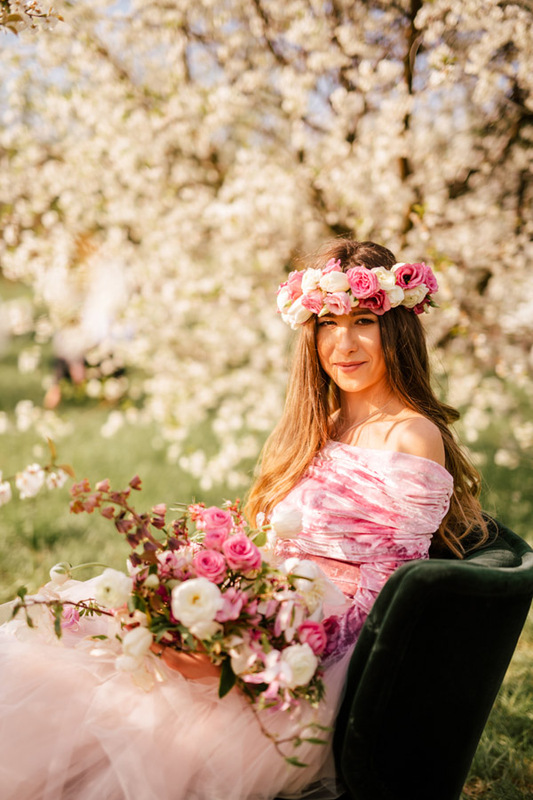 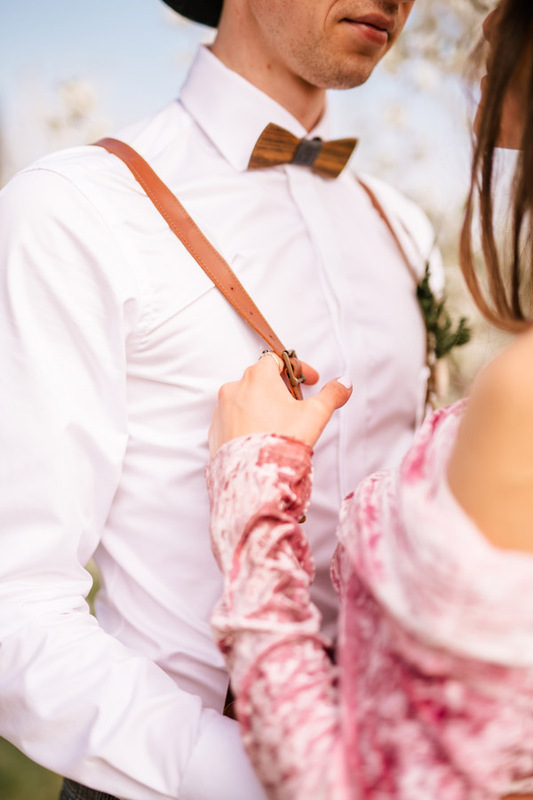 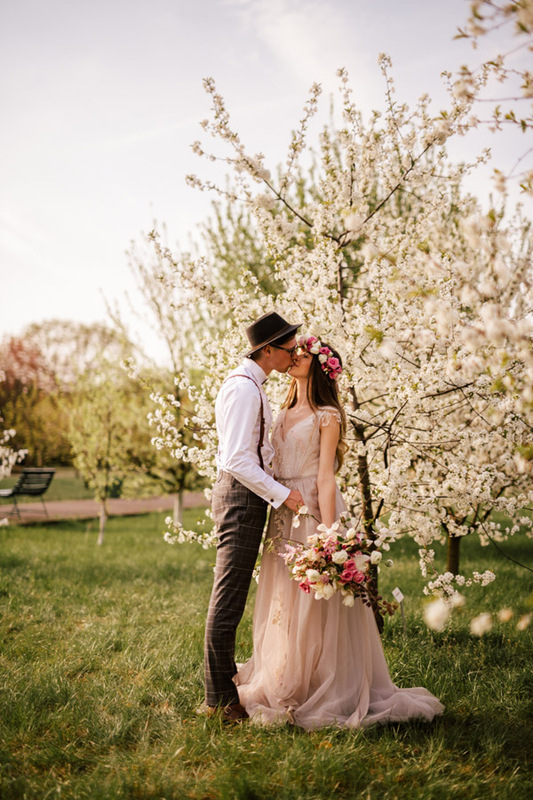 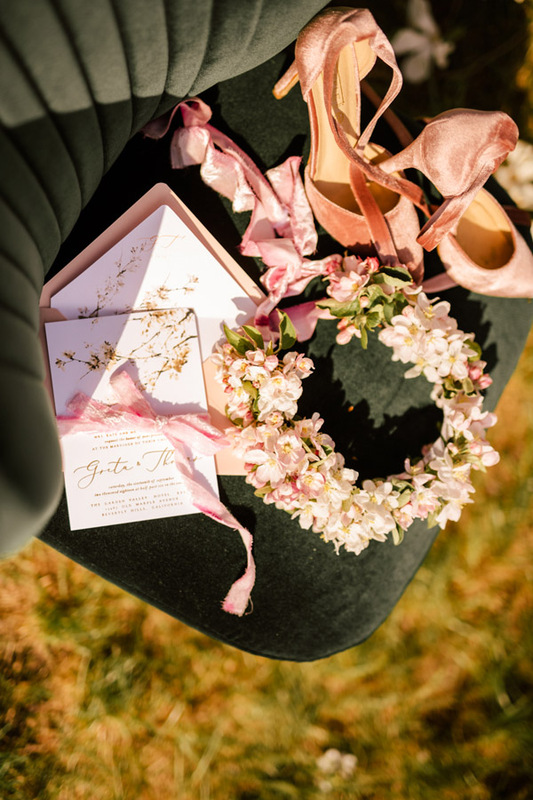 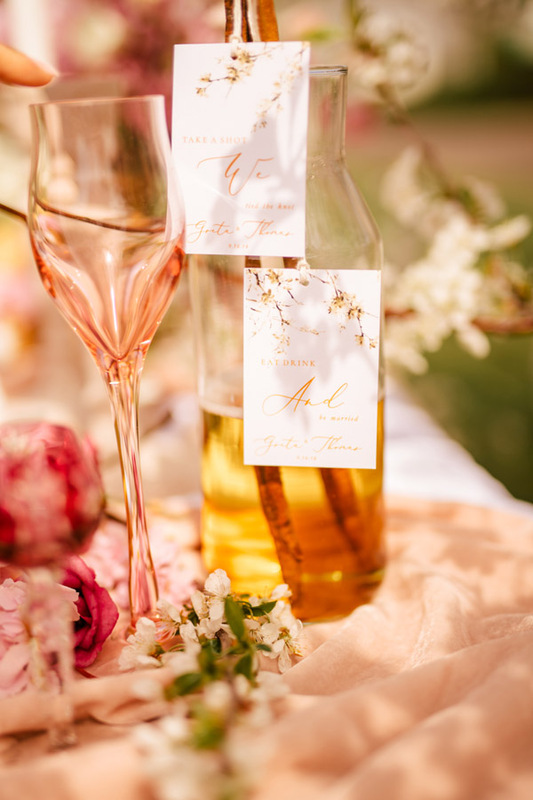 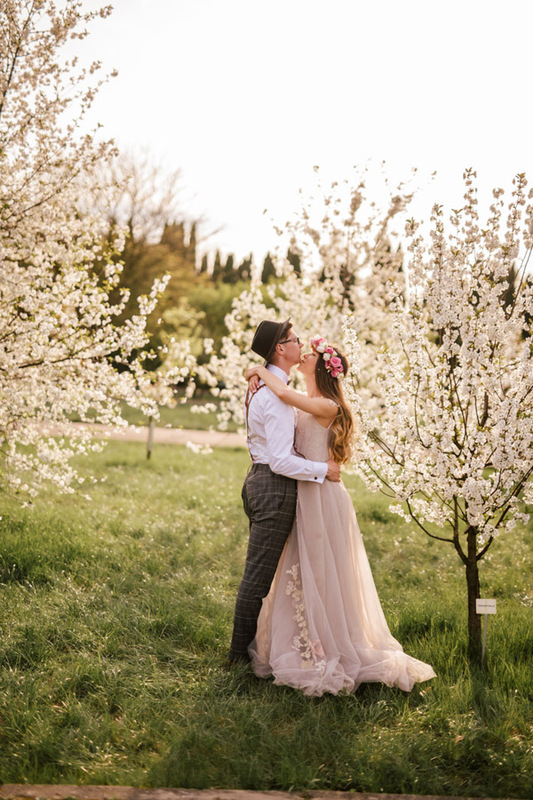 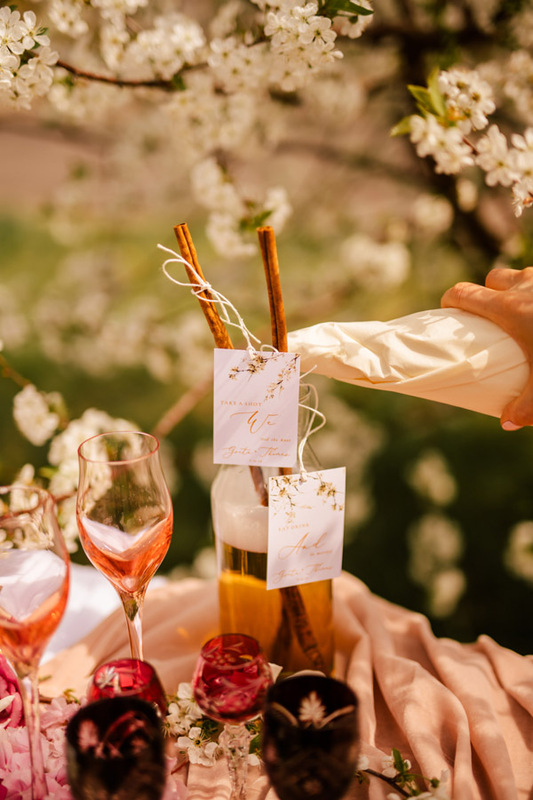 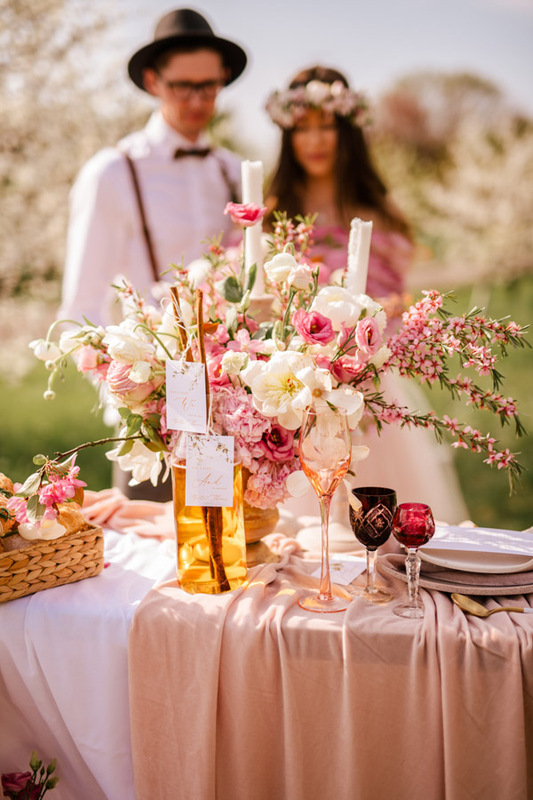 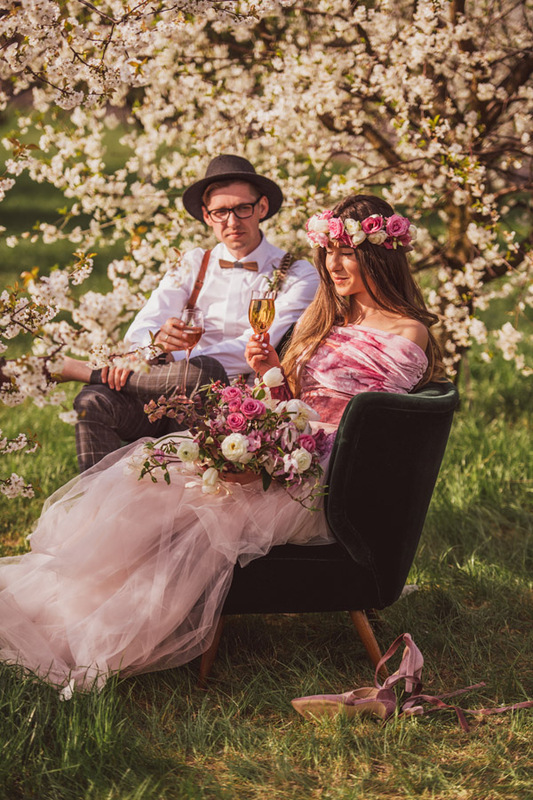 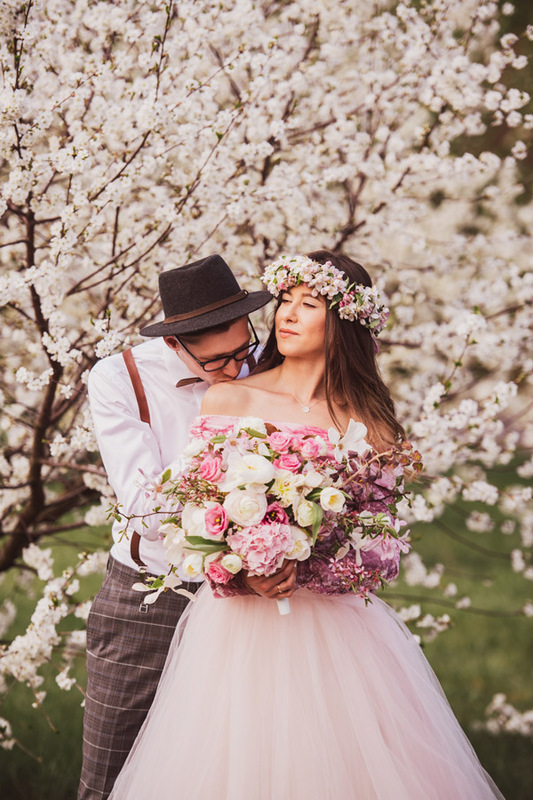 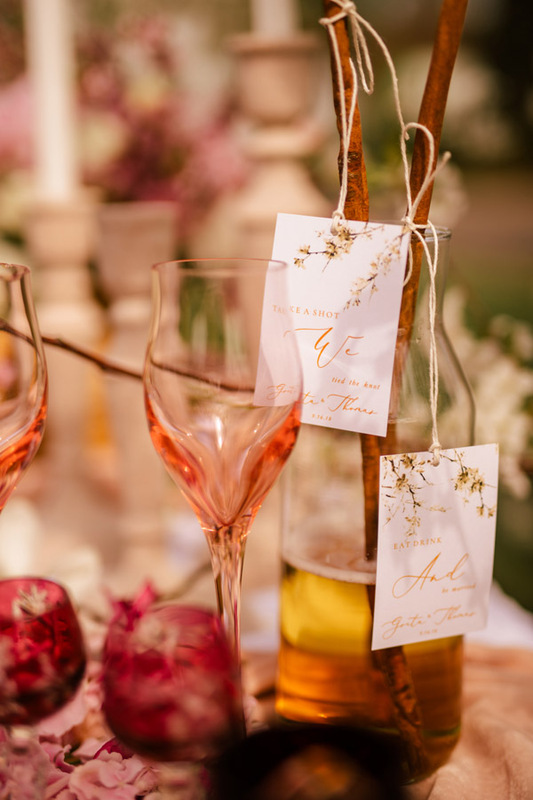 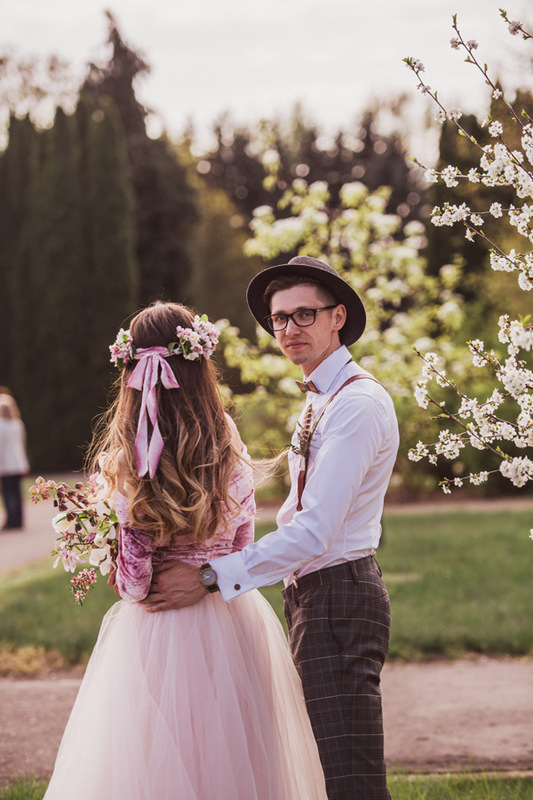 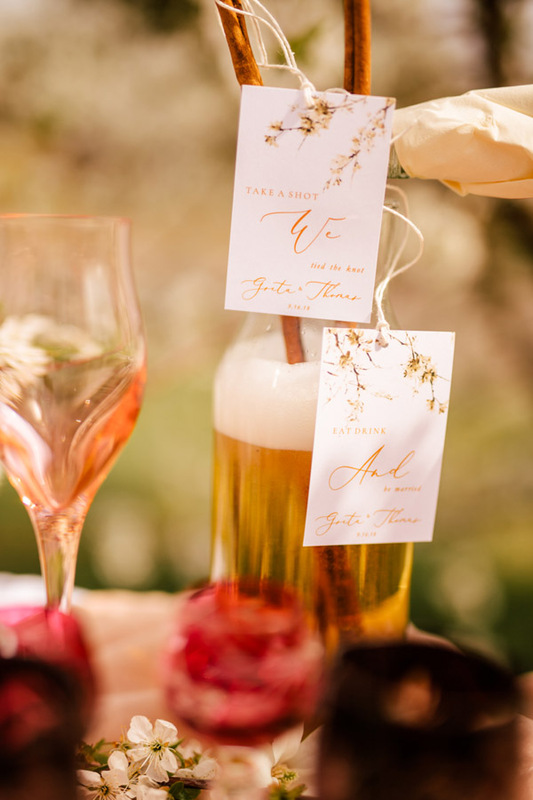 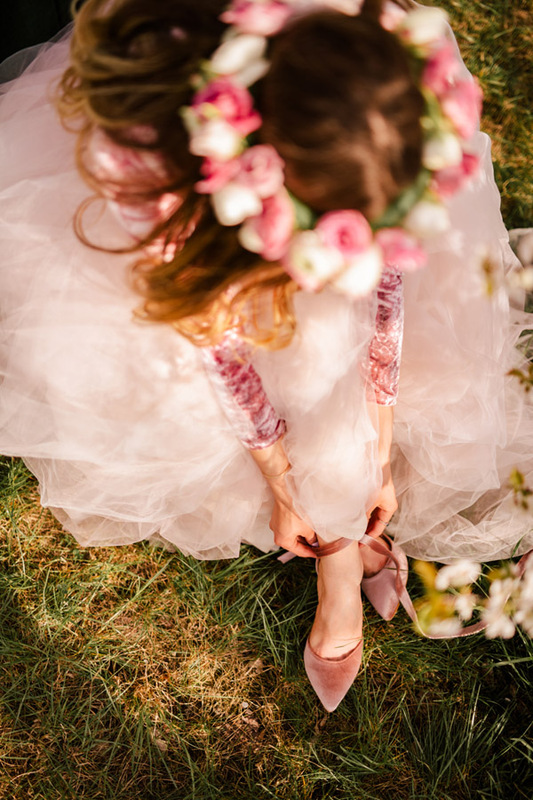 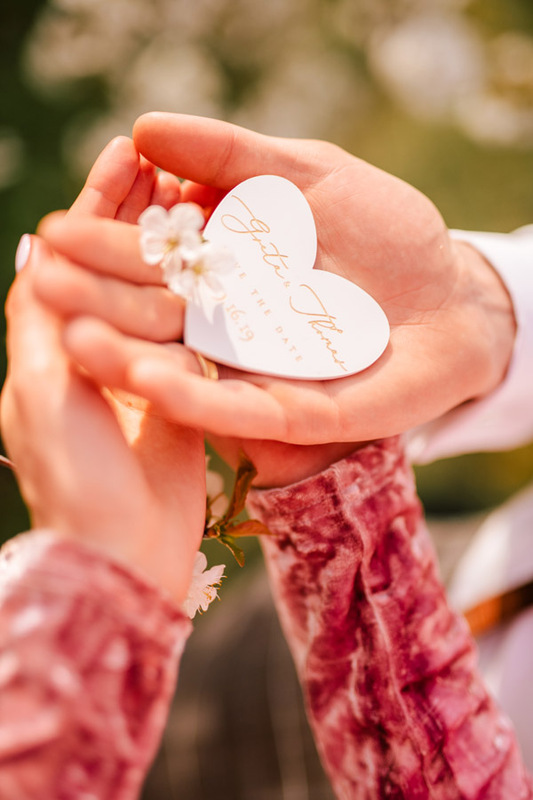 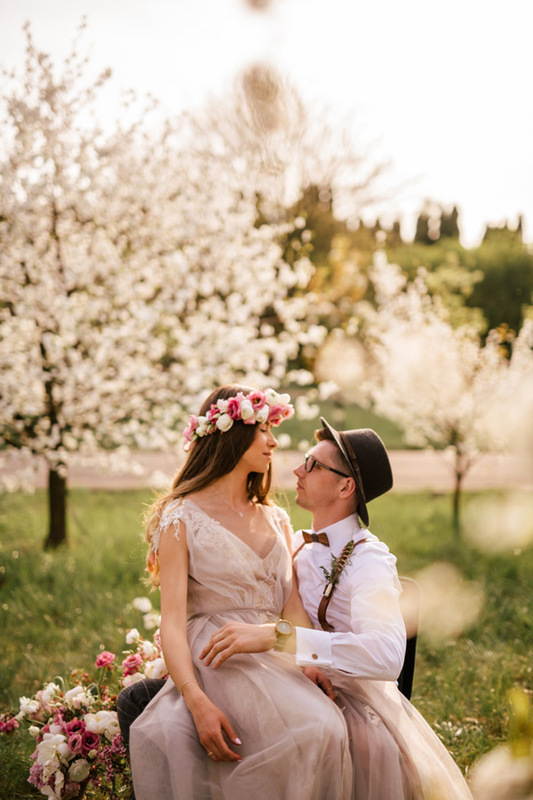 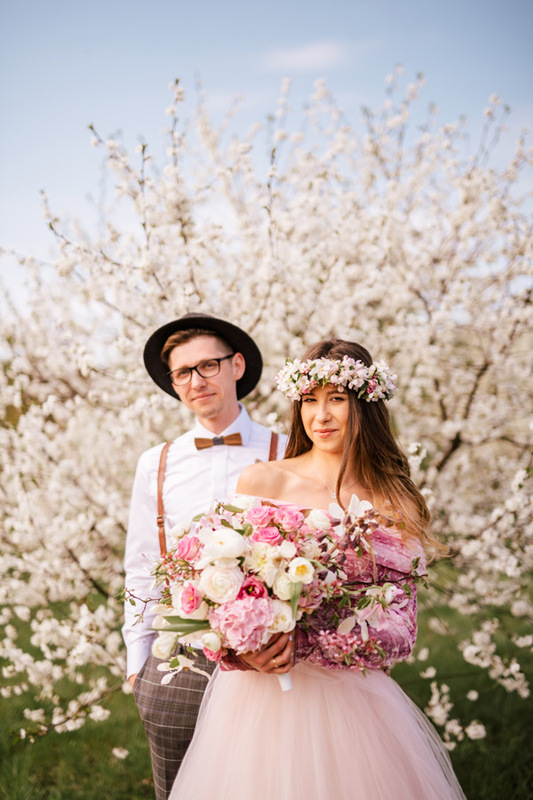 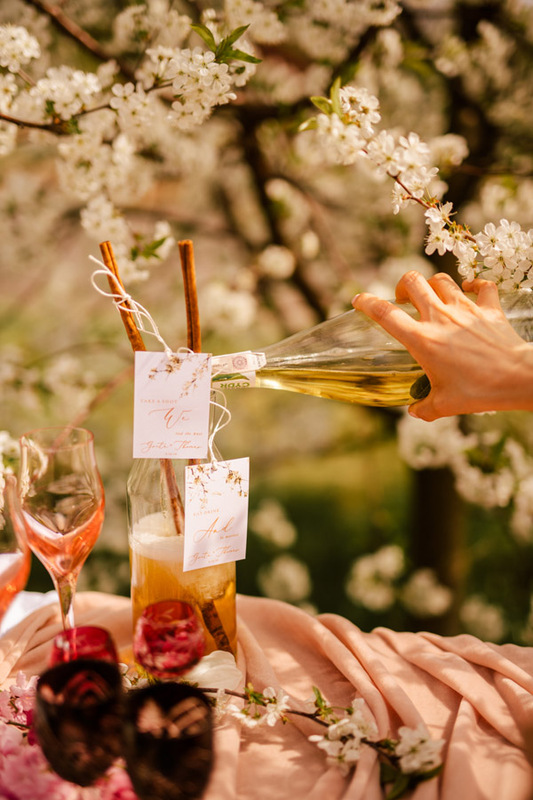 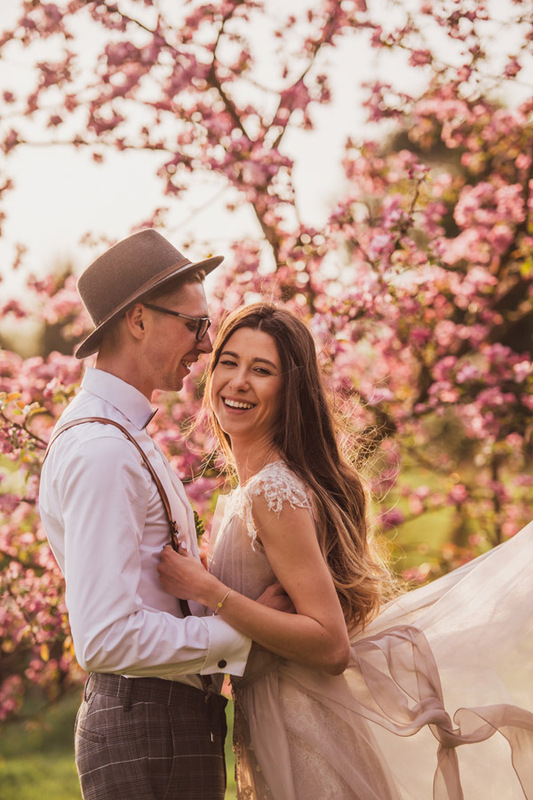 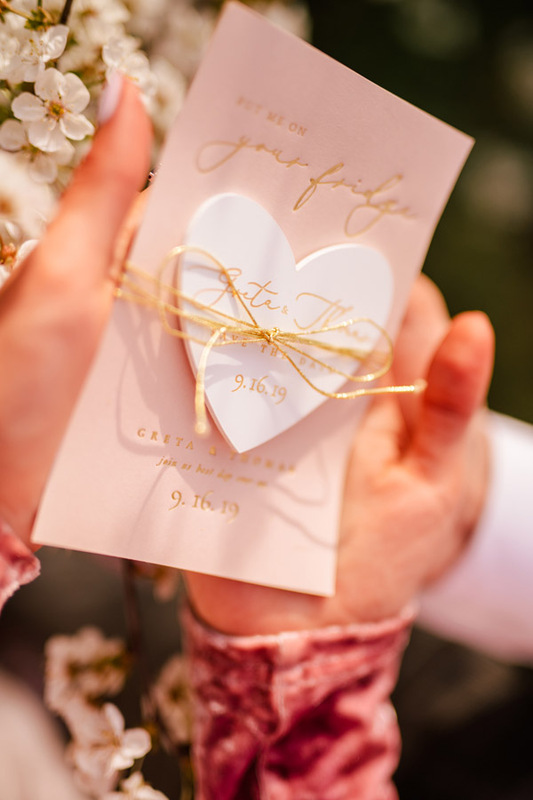 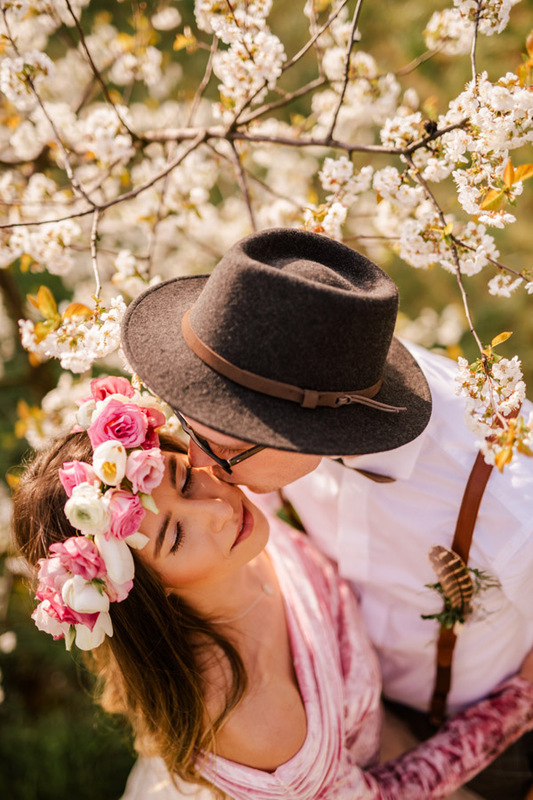 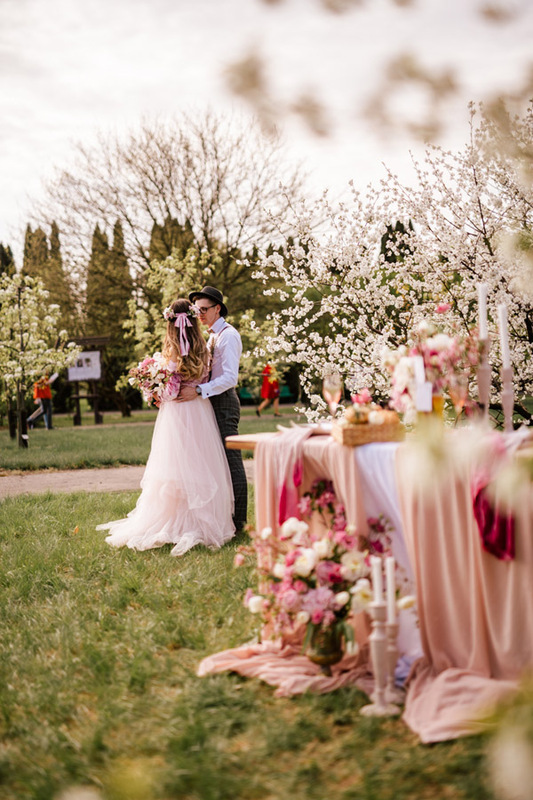 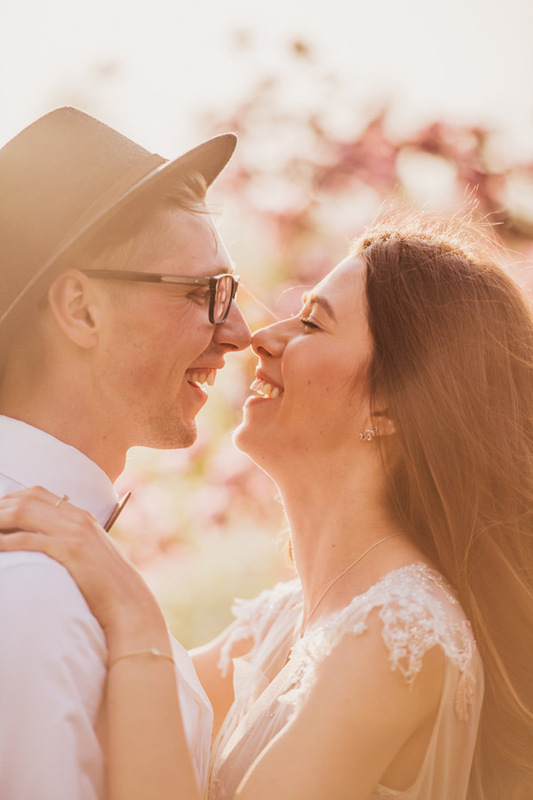 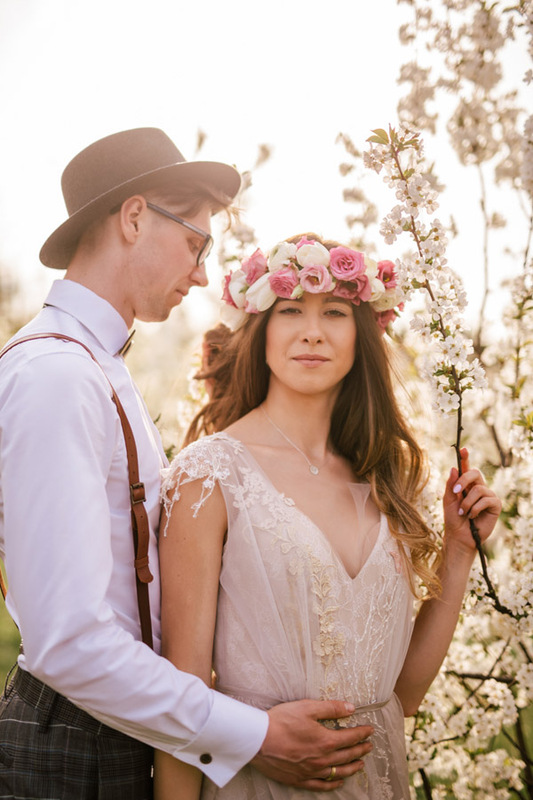 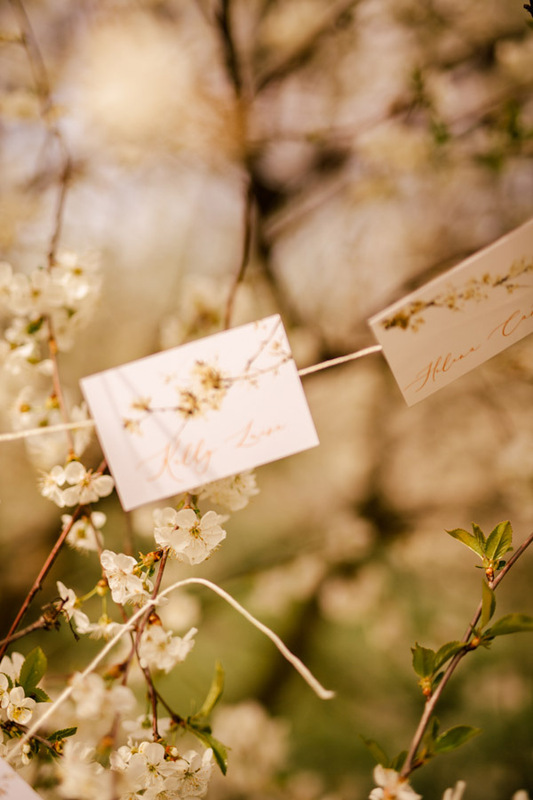 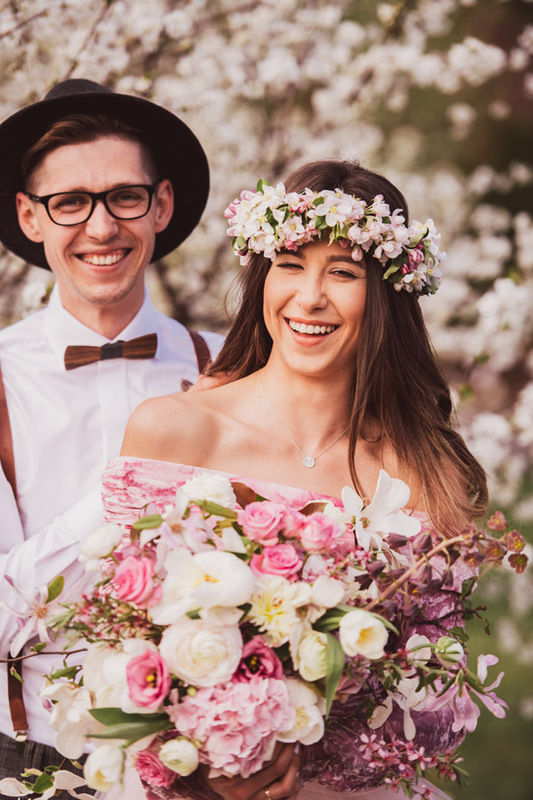 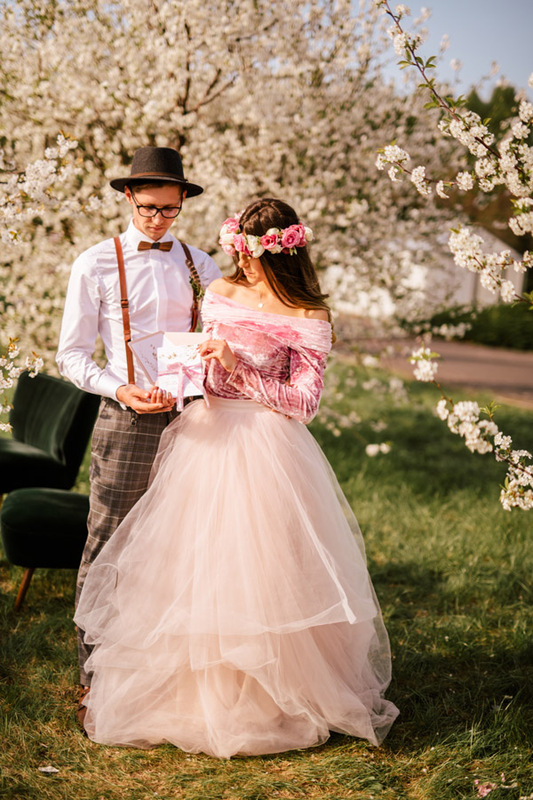 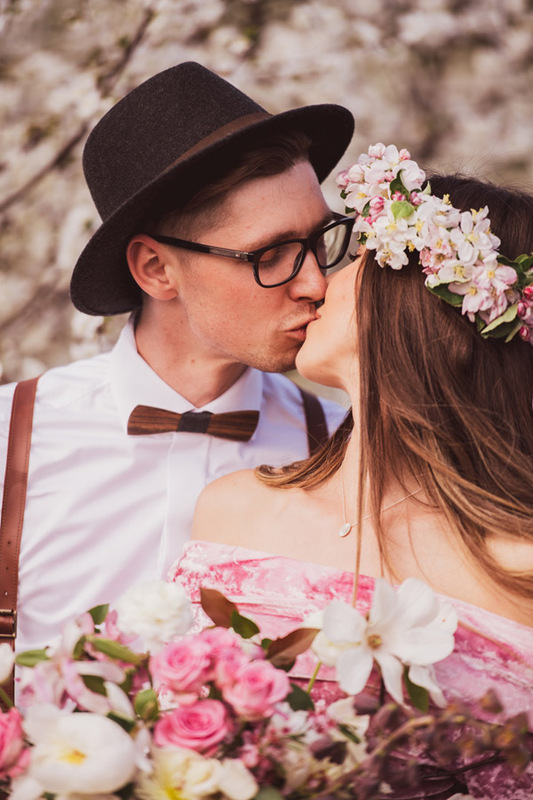 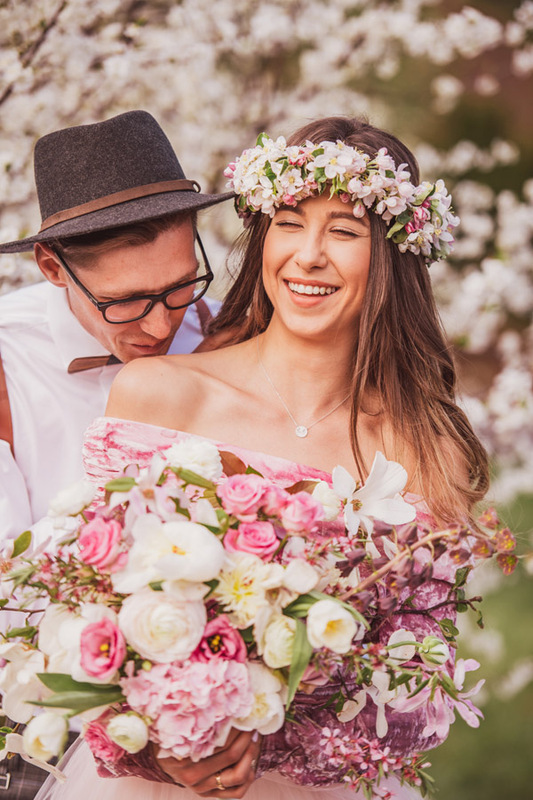 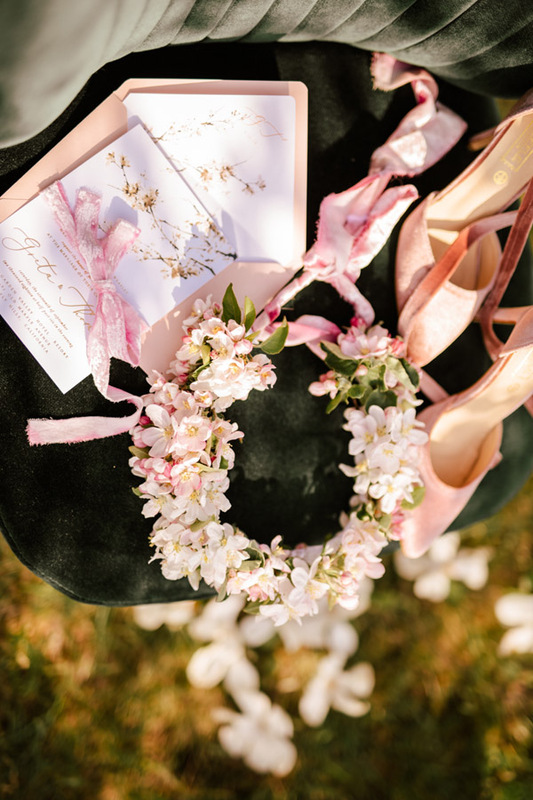 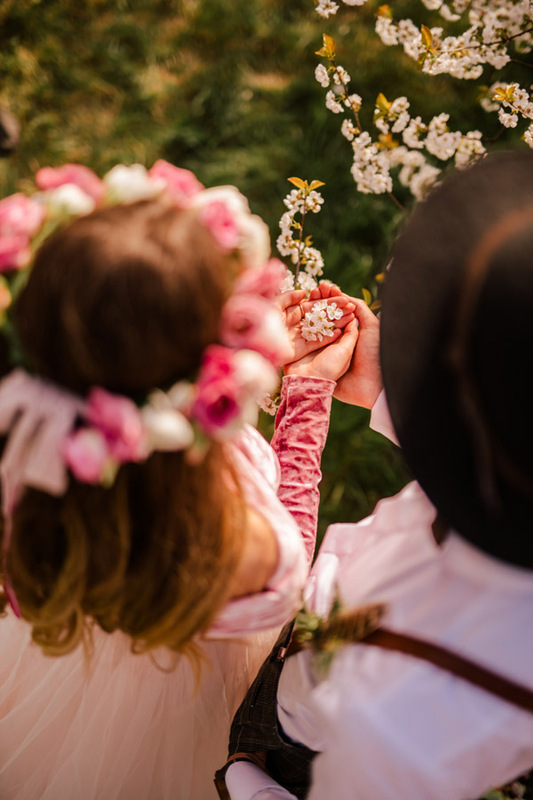 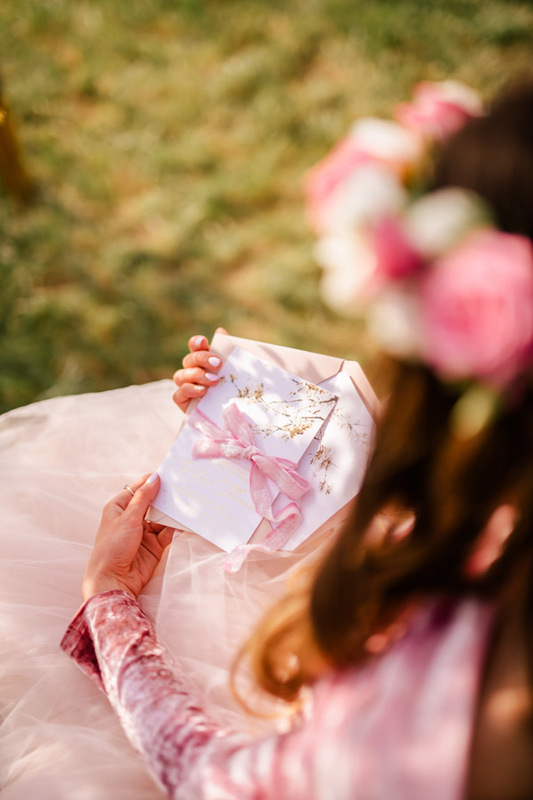 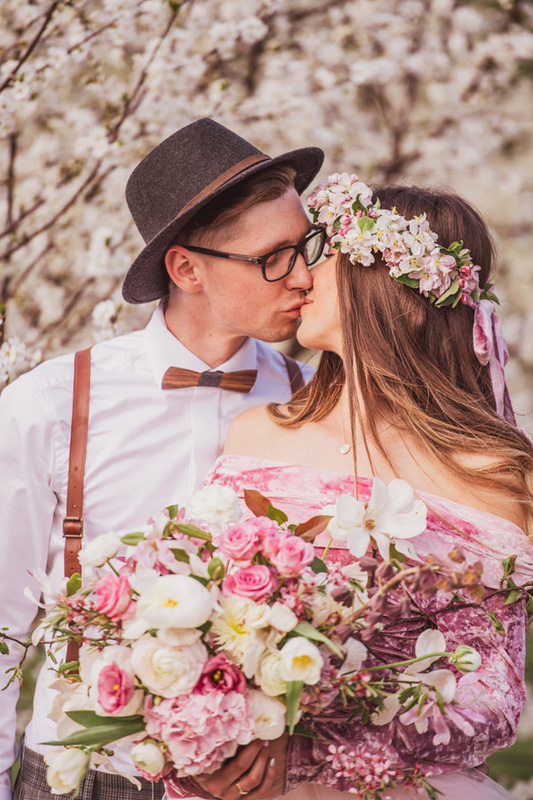 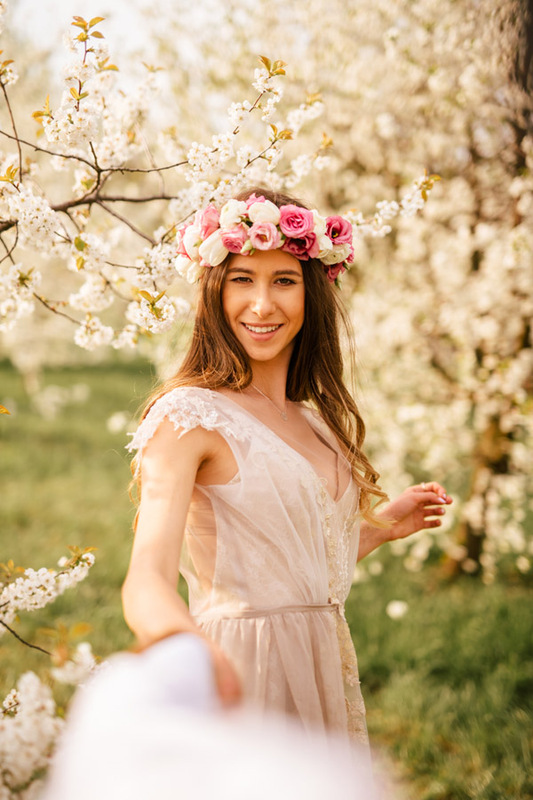 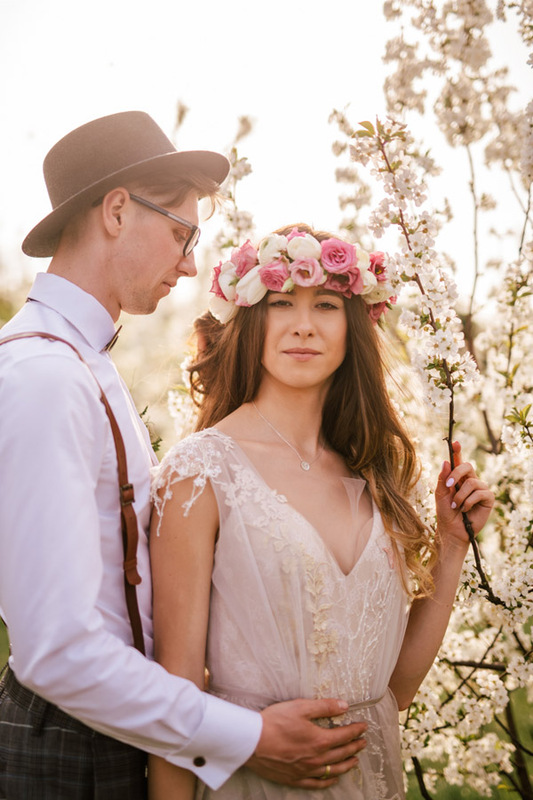 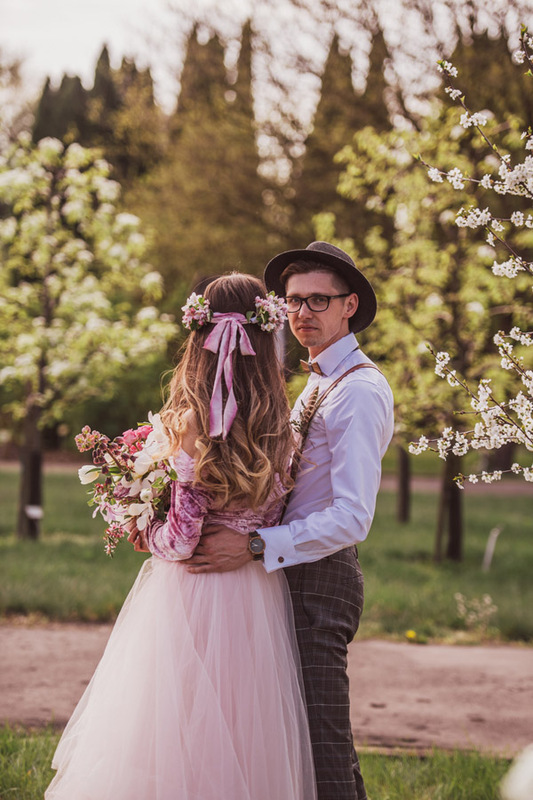 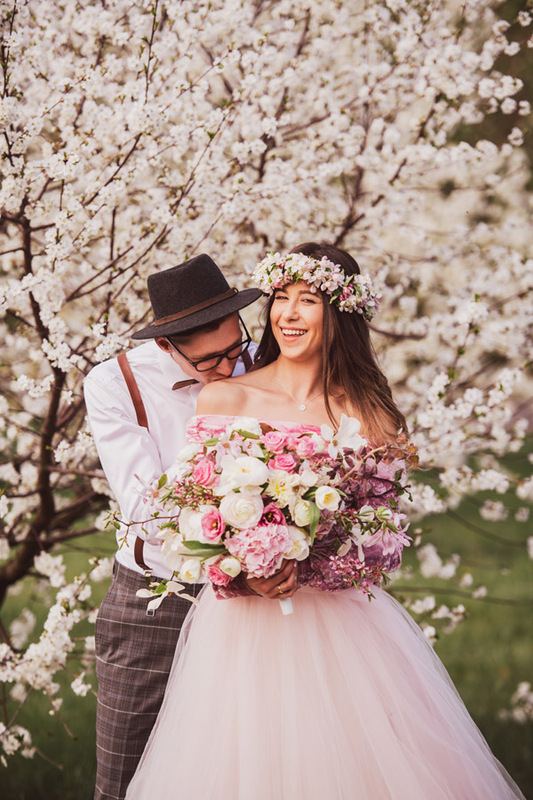 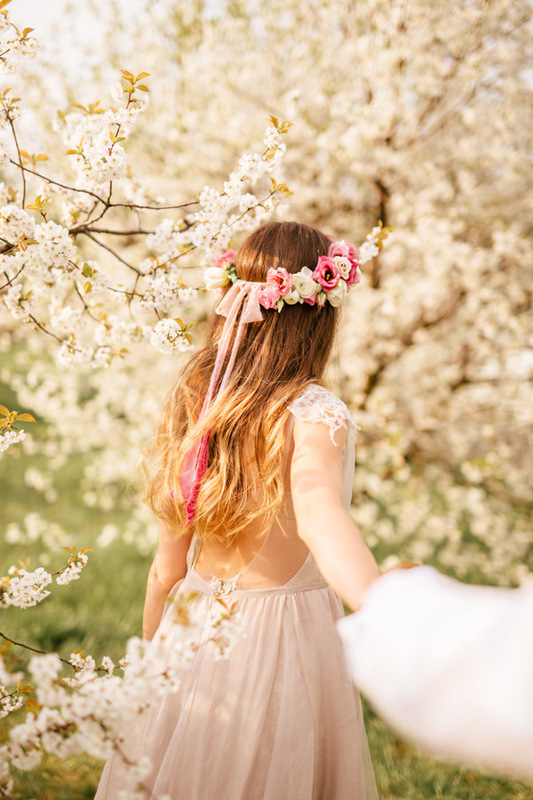 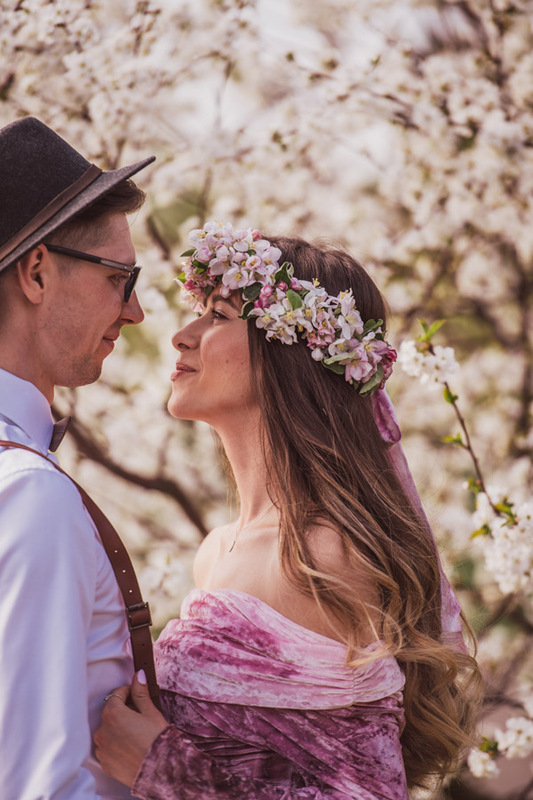 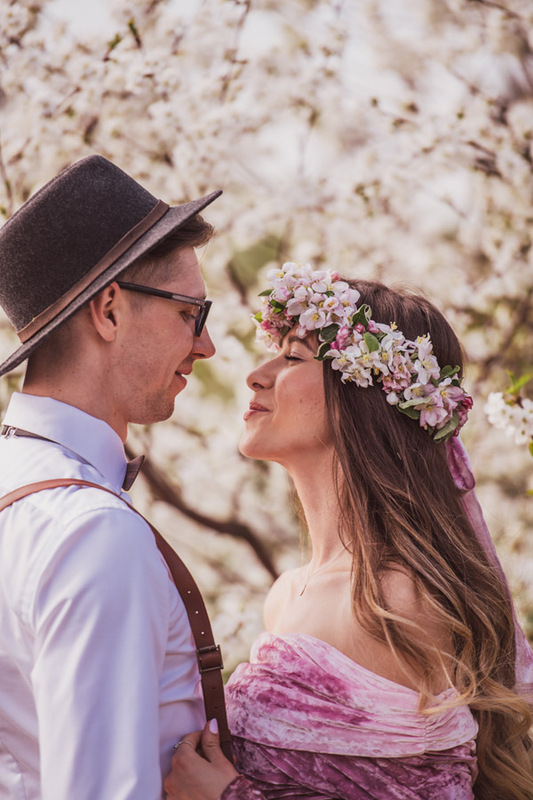 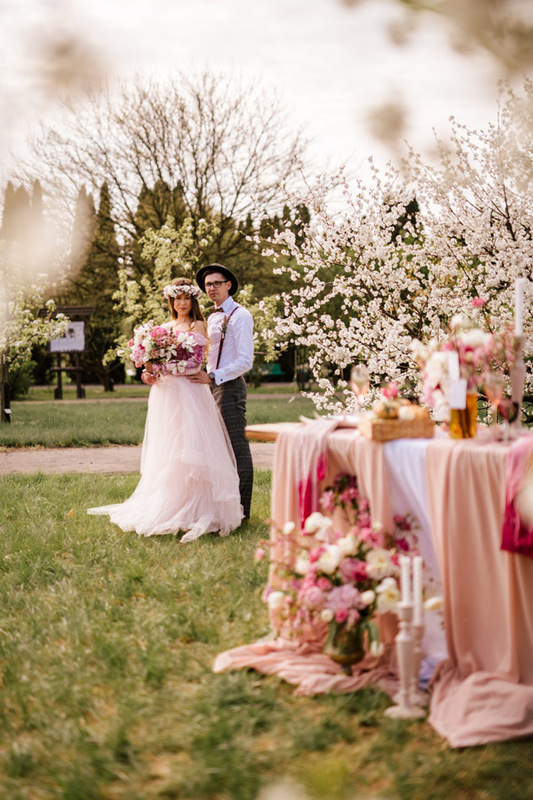 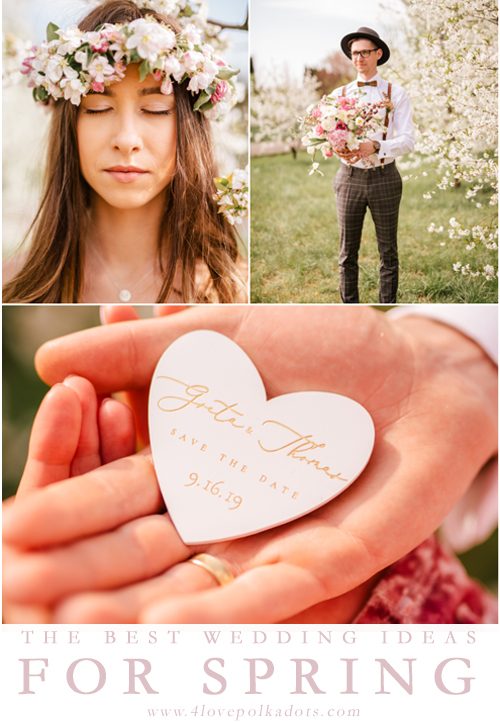 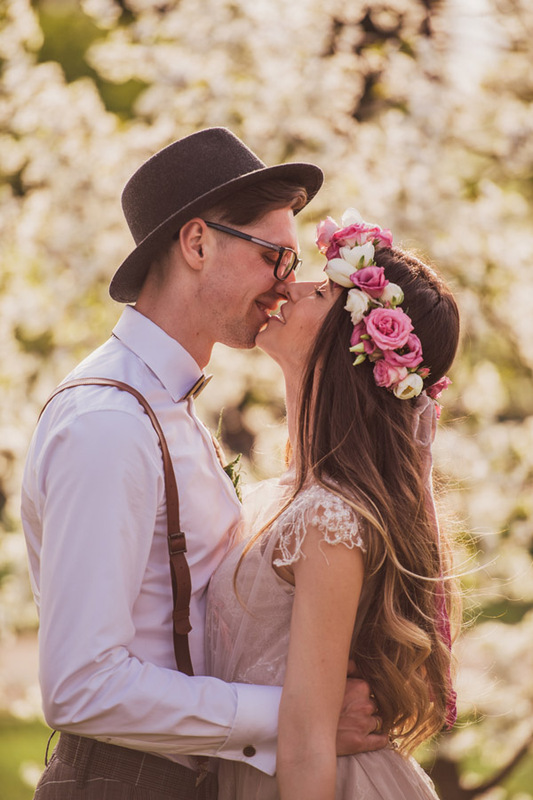 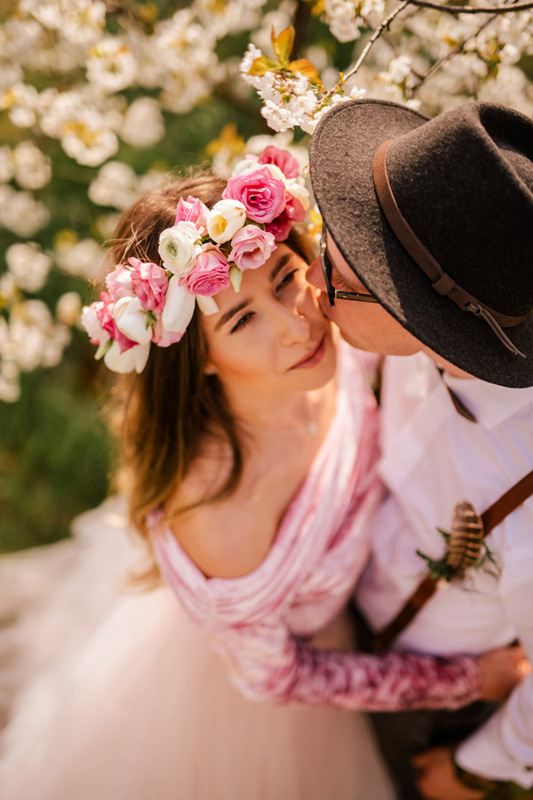 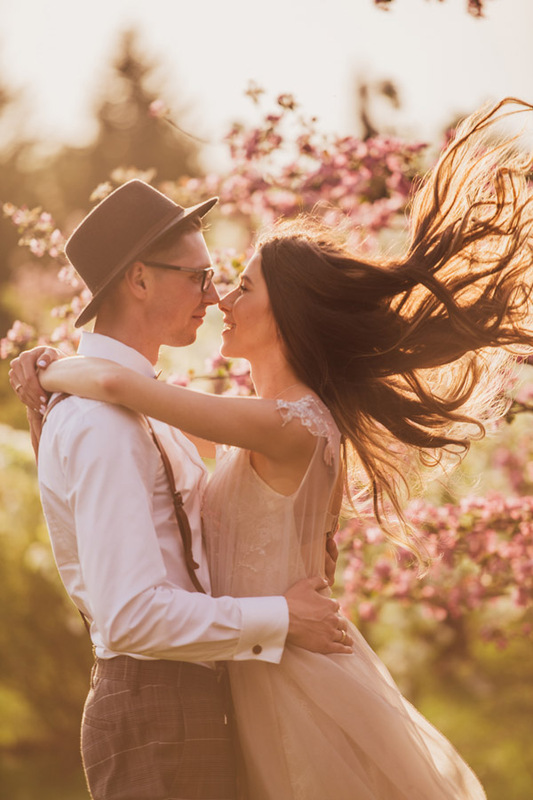 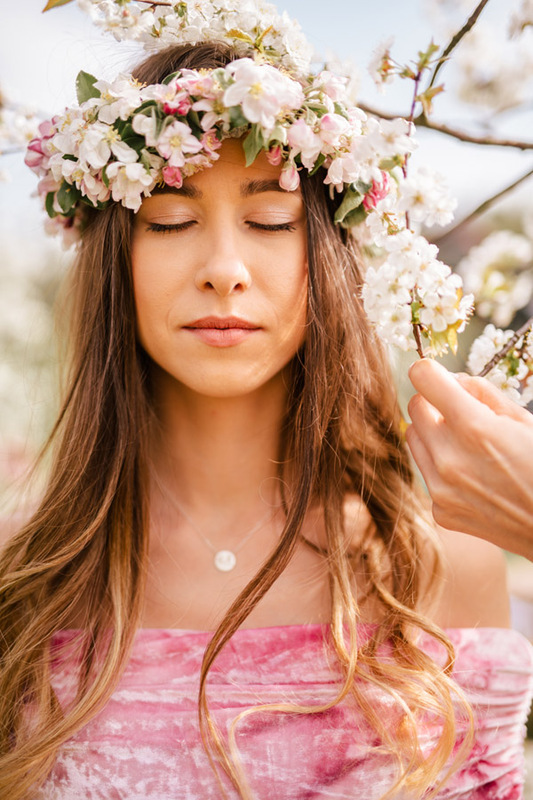 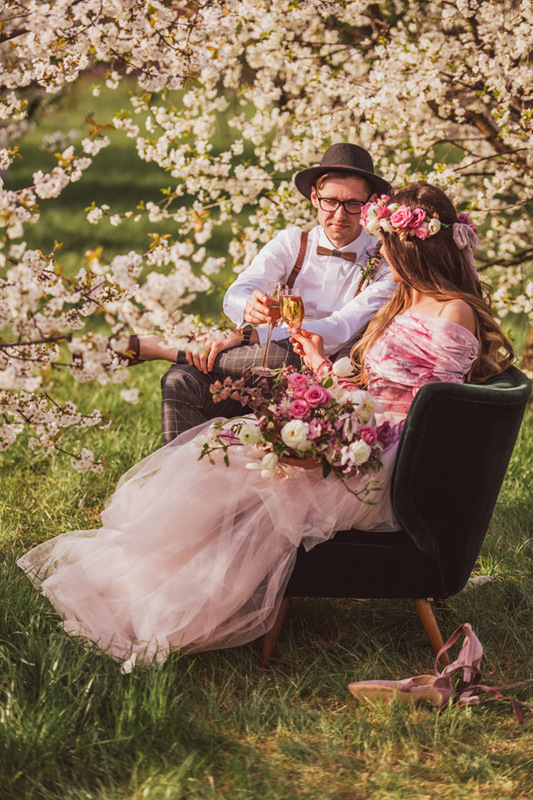 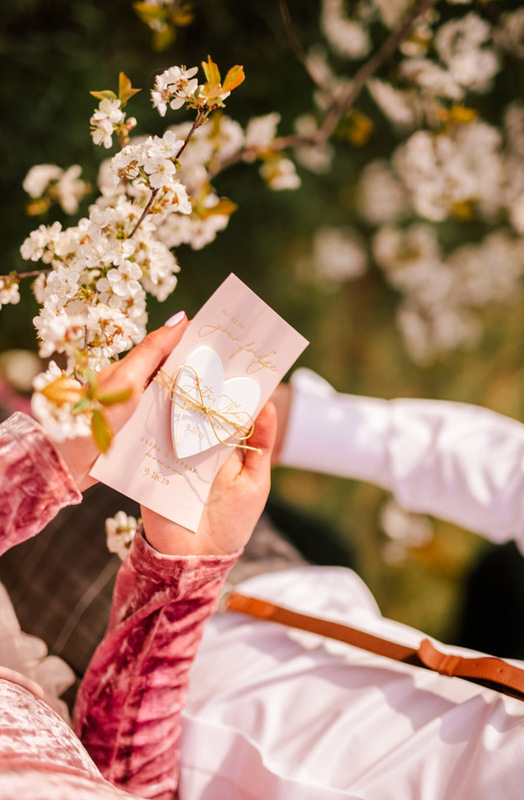 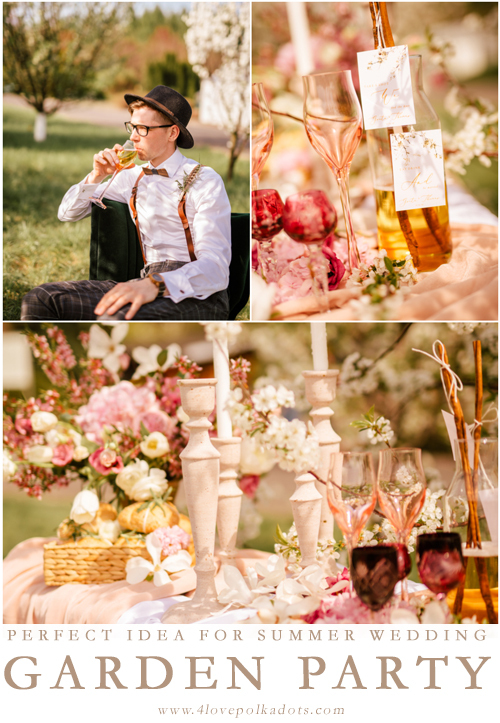 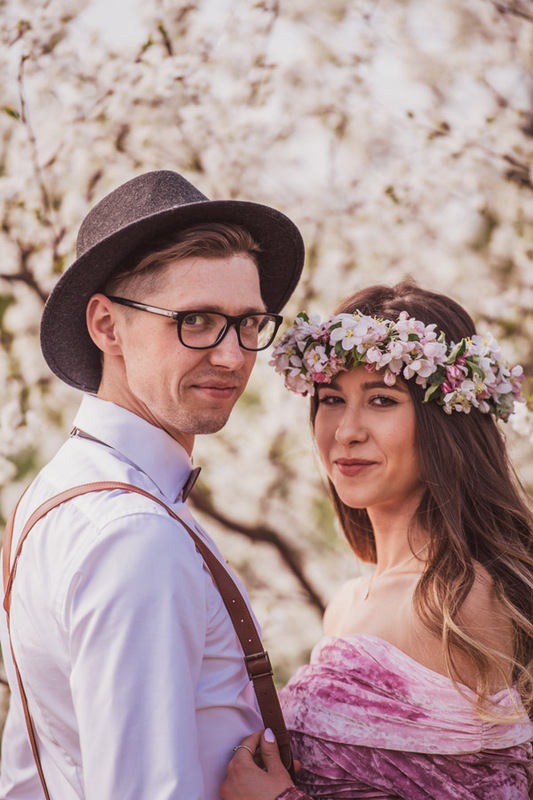 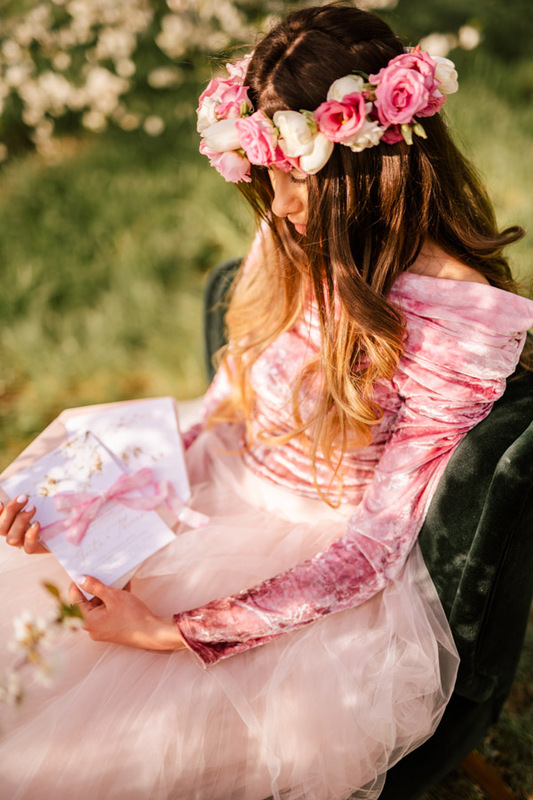 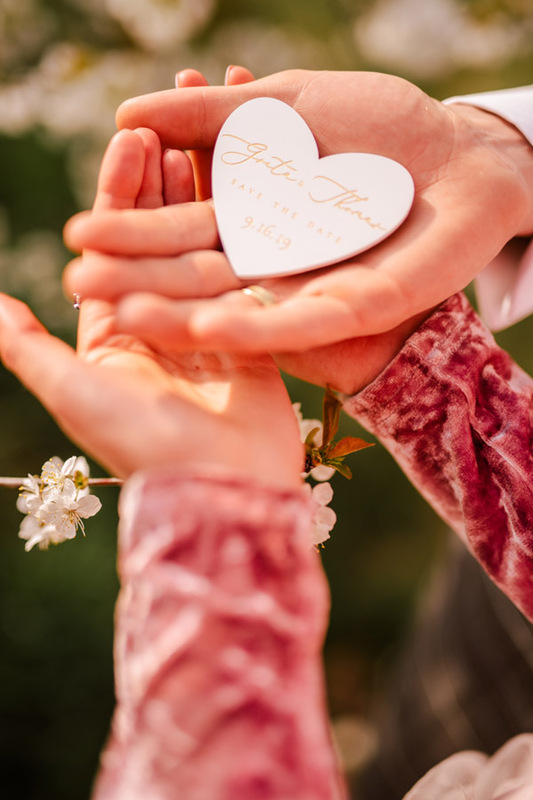 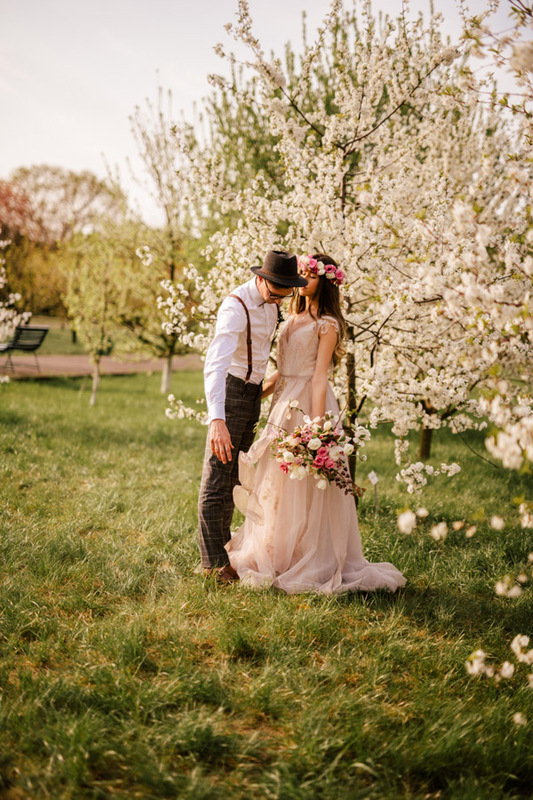 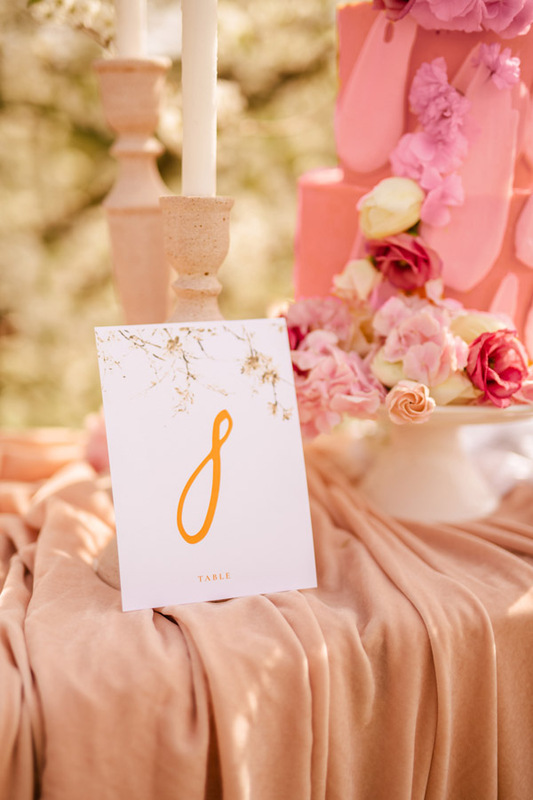 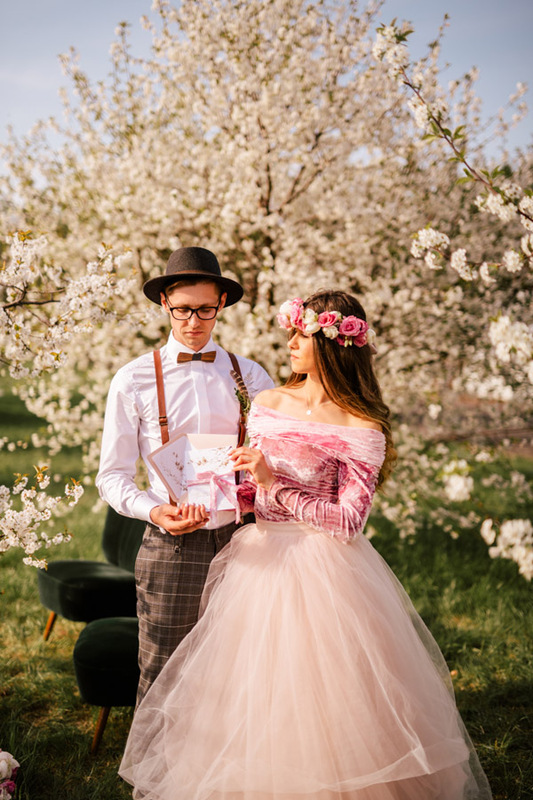 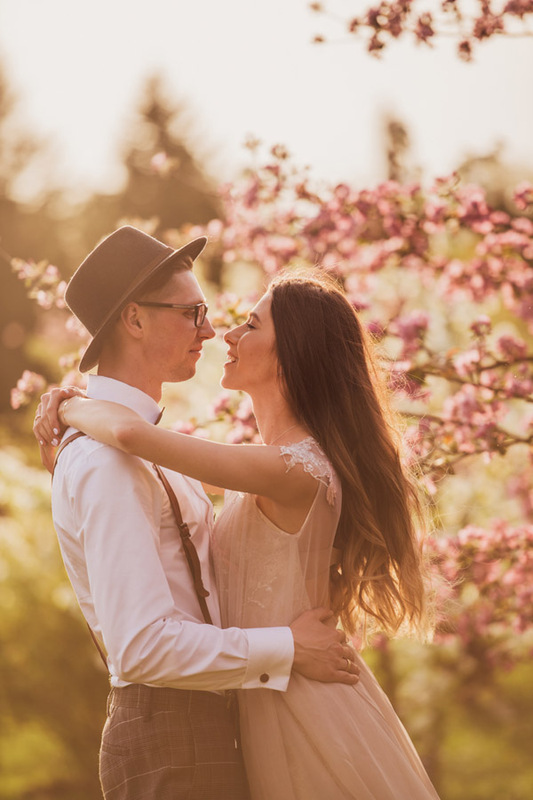 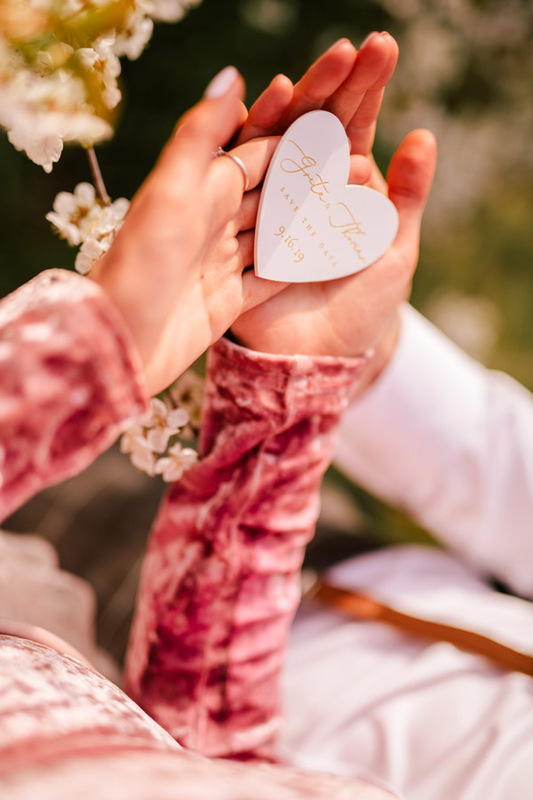 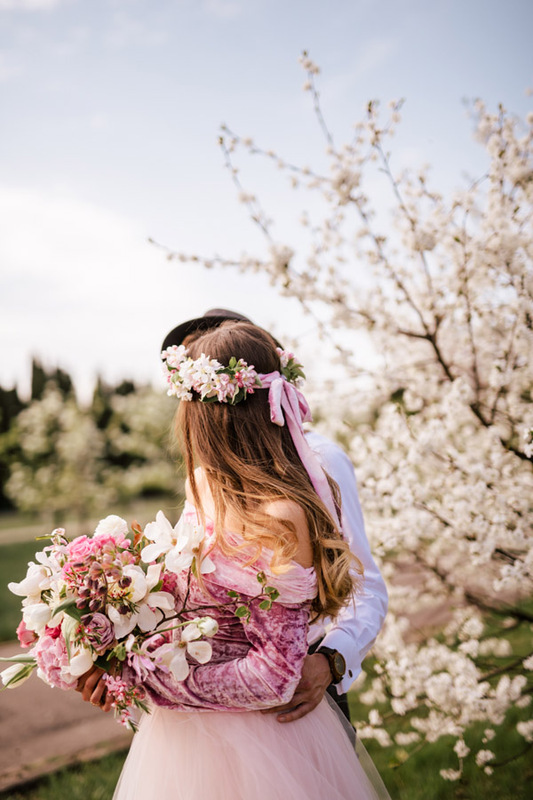 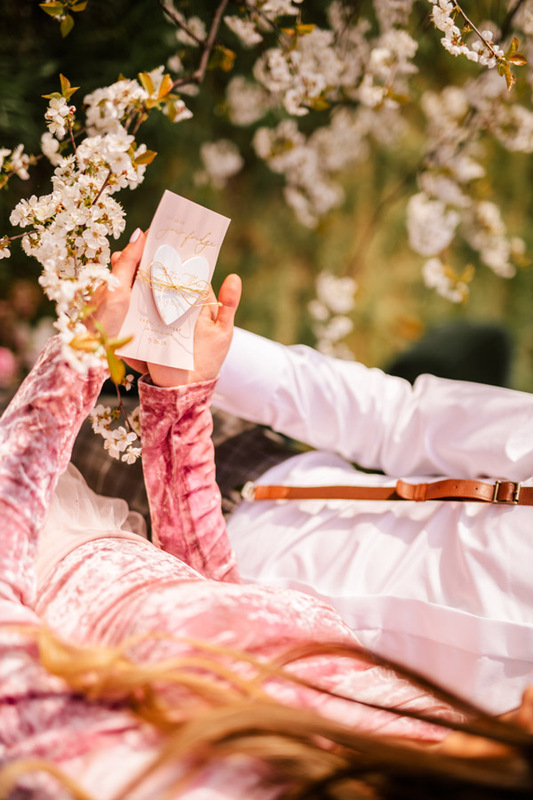 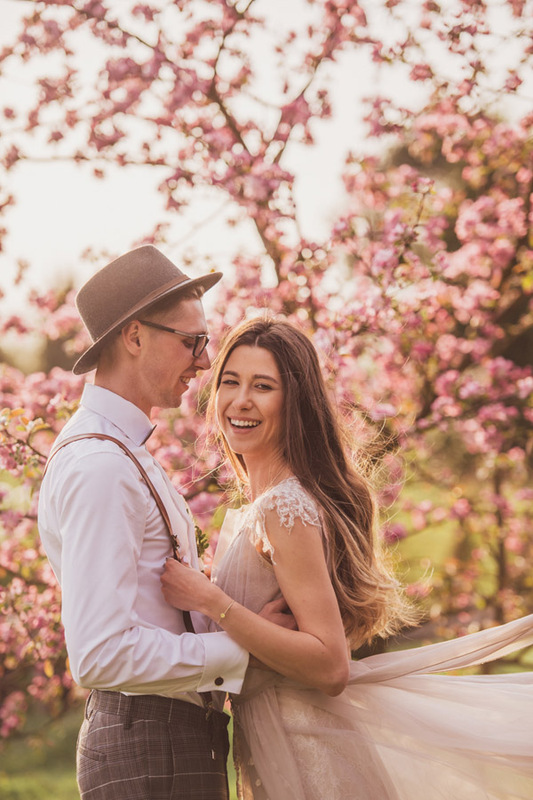 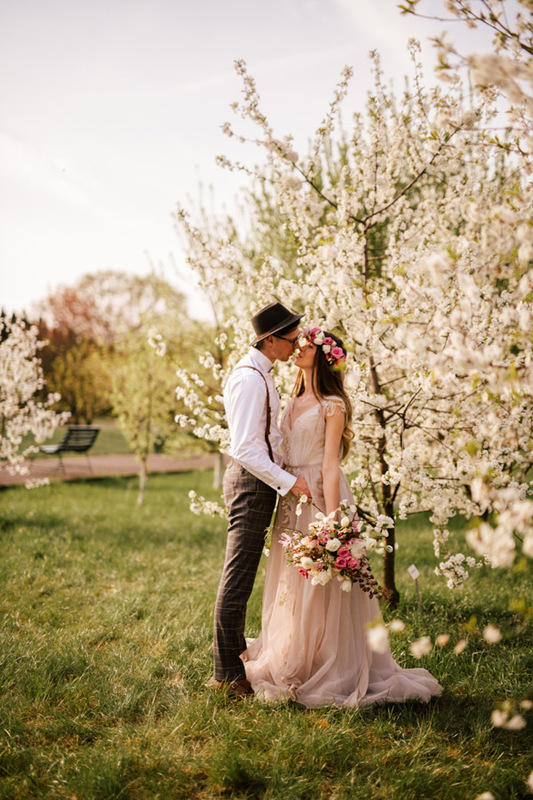 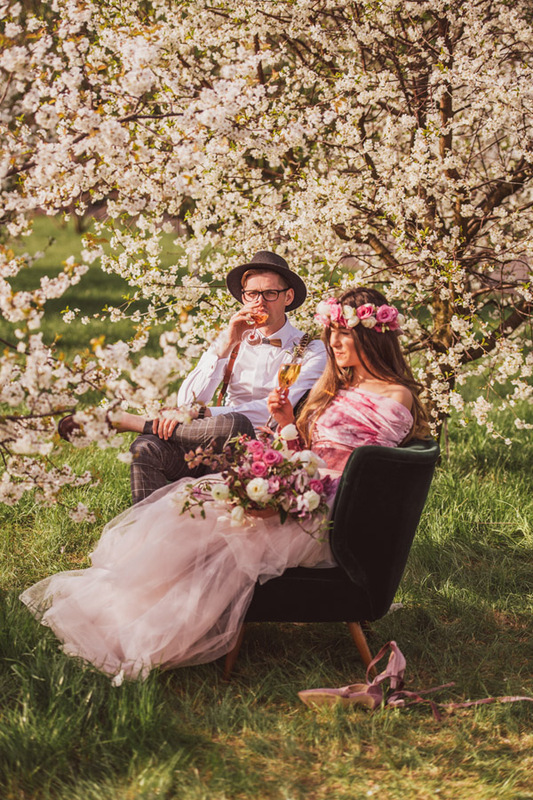 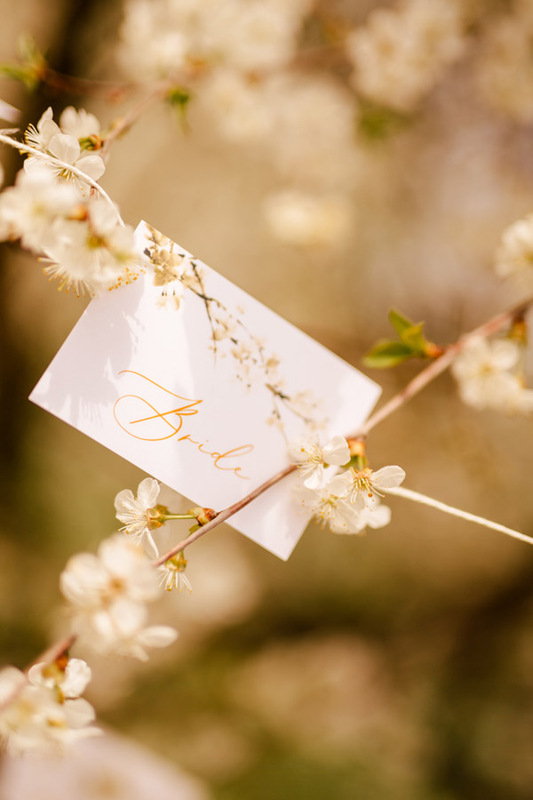 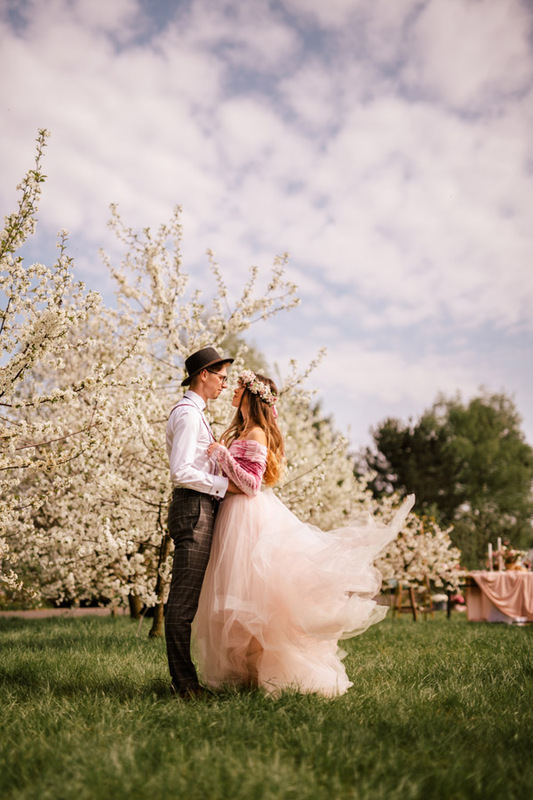 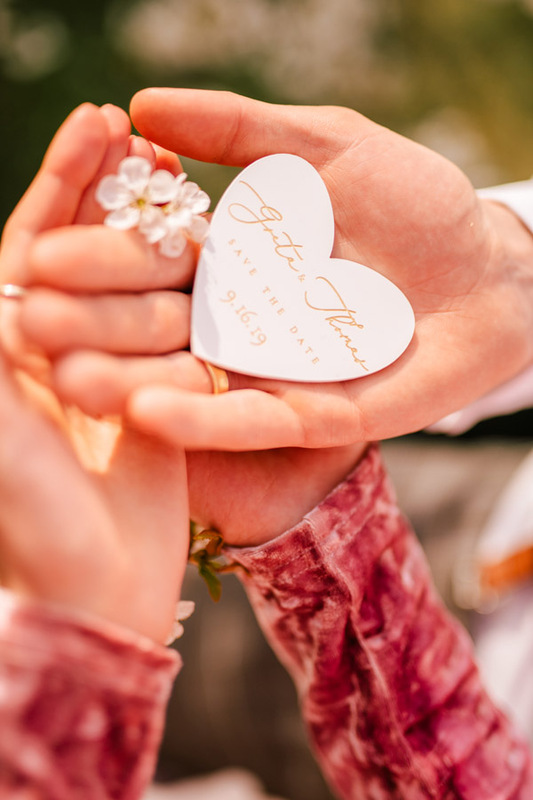 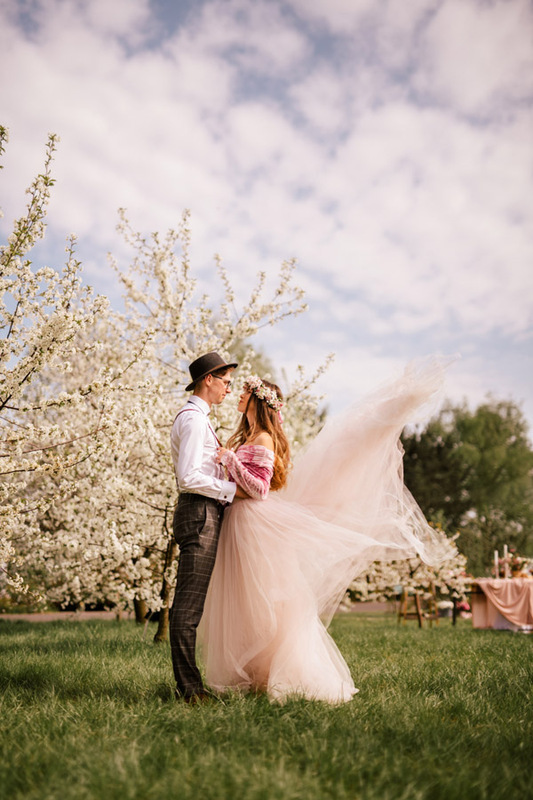 Take a look for our new designs with blossom invitations and romantic colors and let us inspire you for perfect, blossom wedding from your dreams! 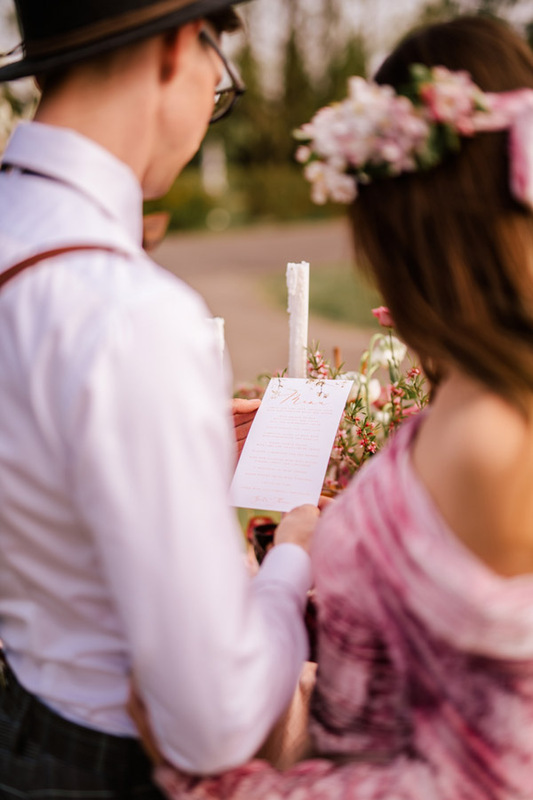 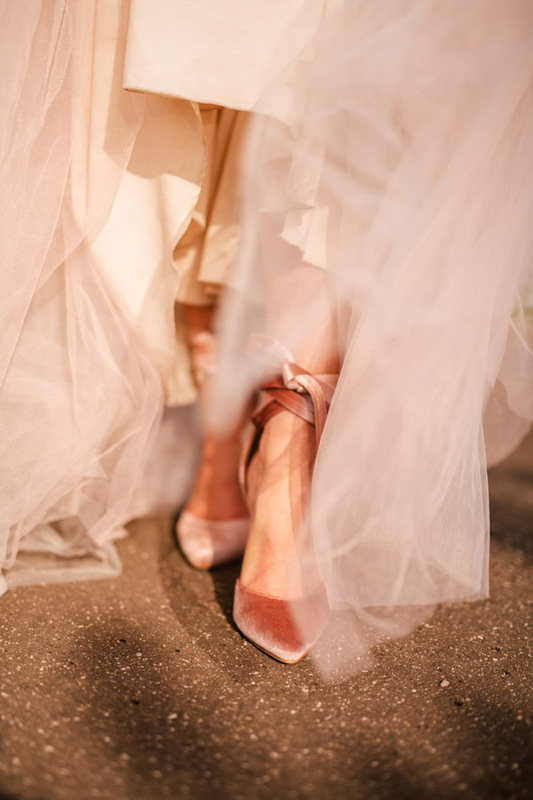 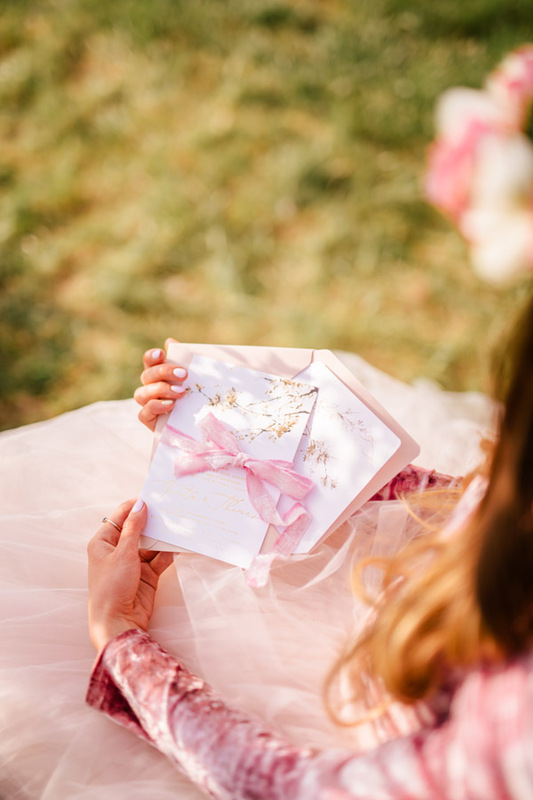 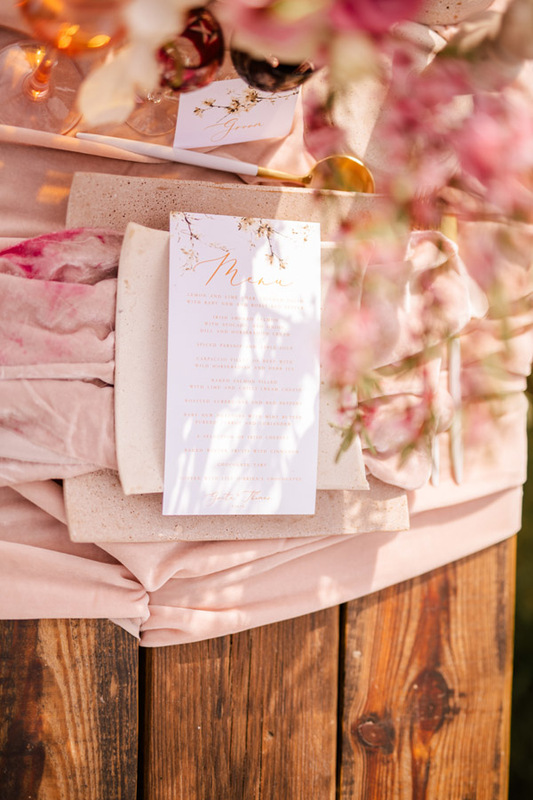 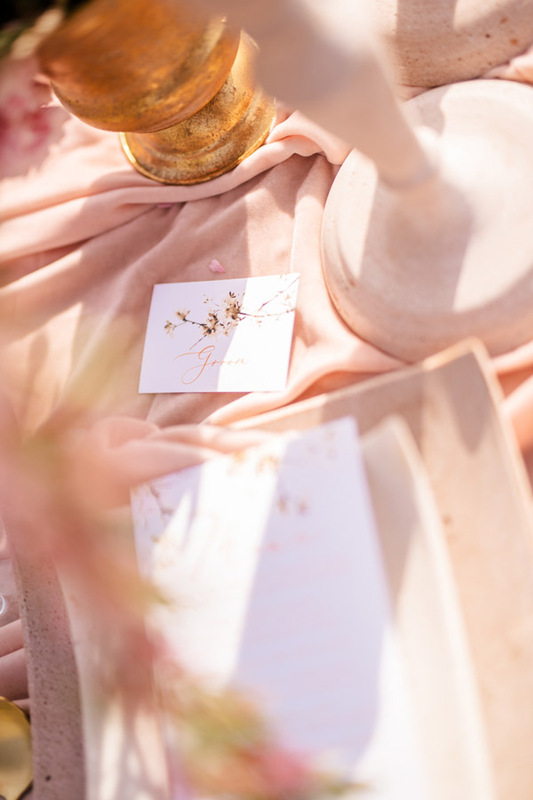 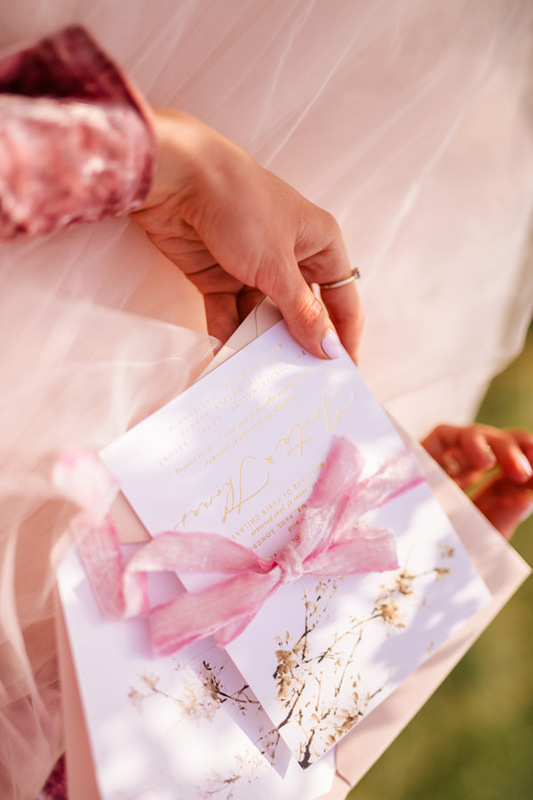 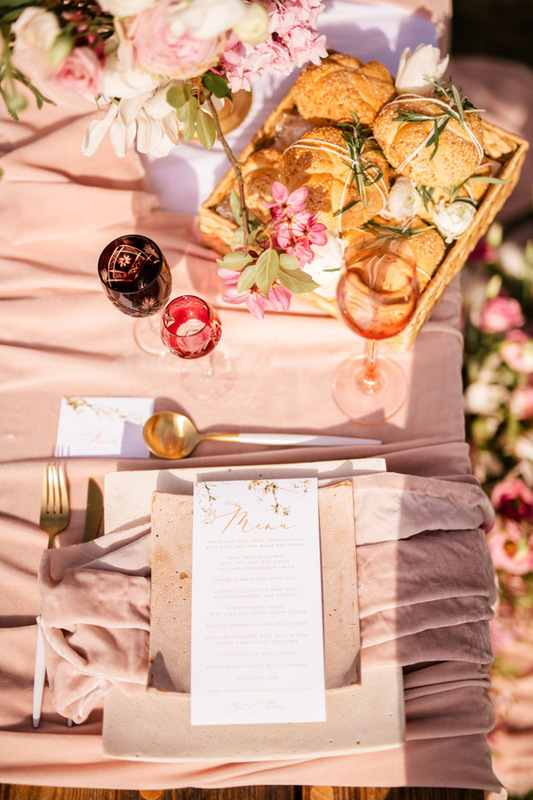 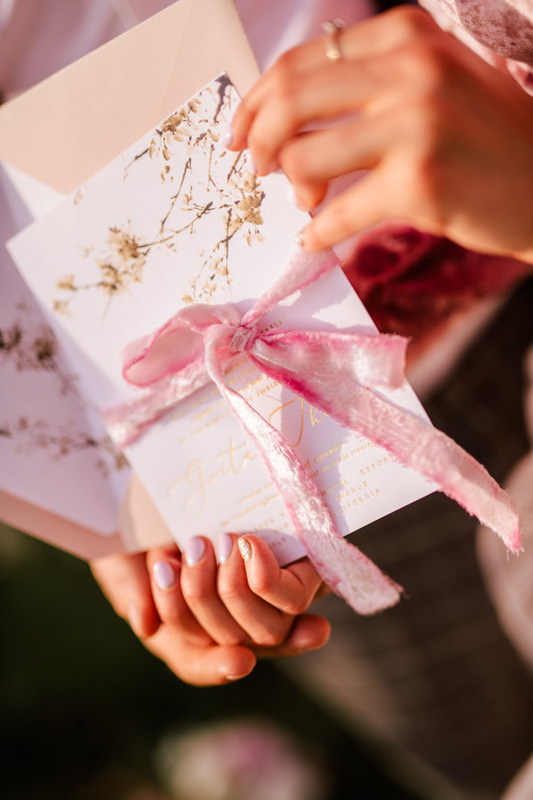 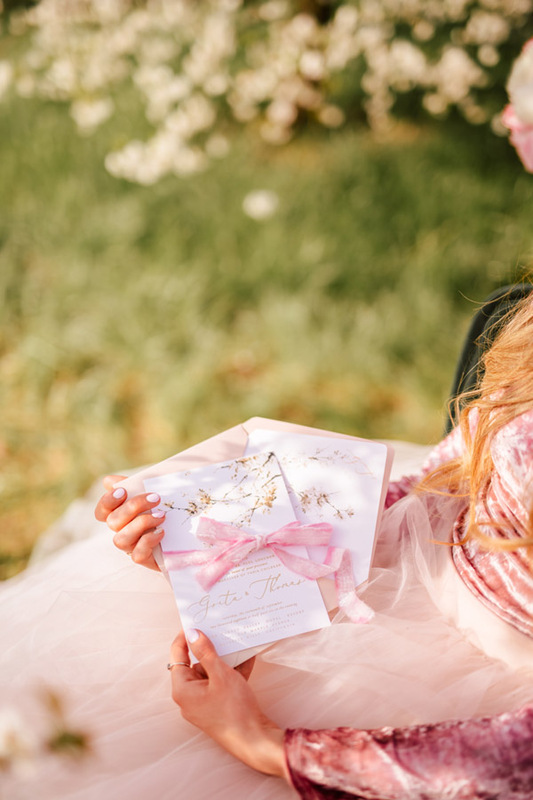 The Best Pastel pink ideas for wedding invitations you will fall in love with!